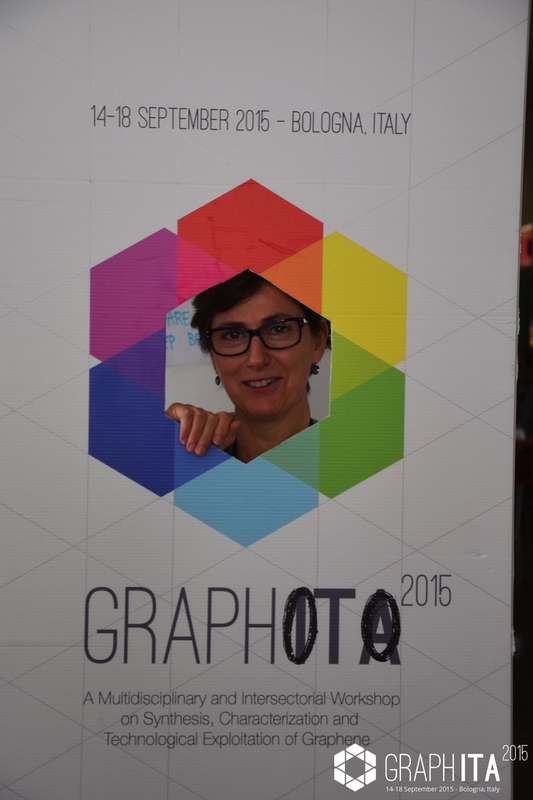 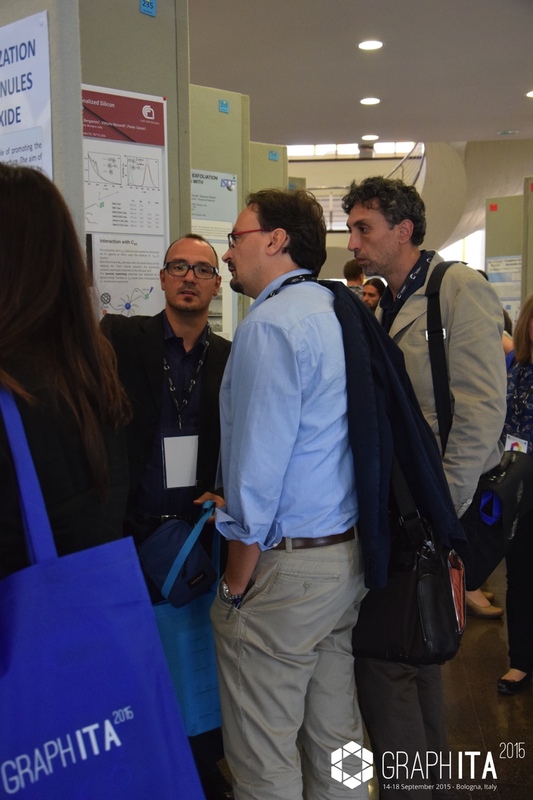 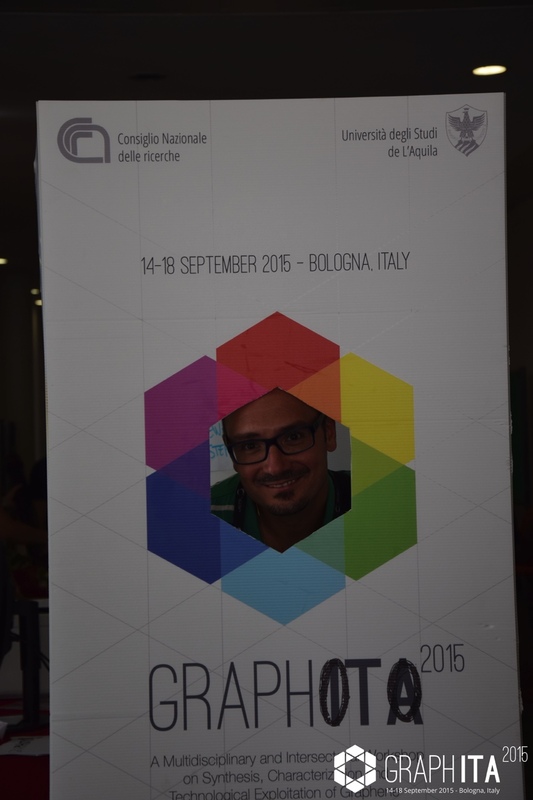 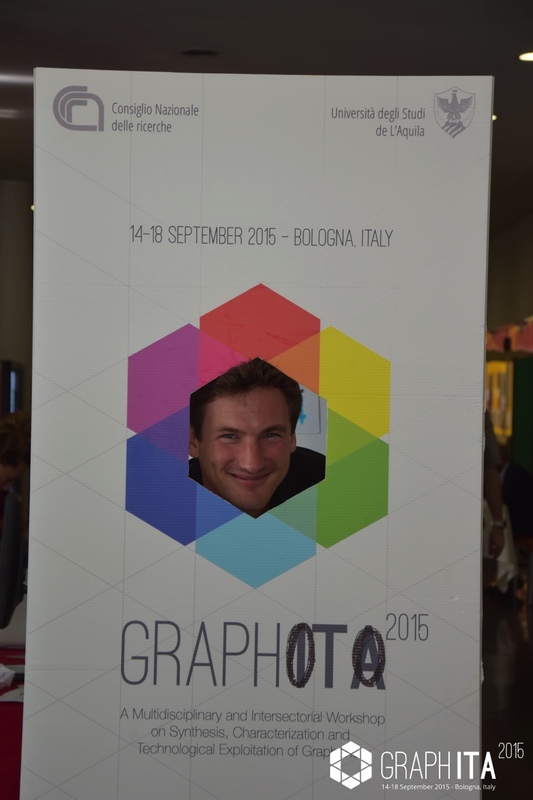 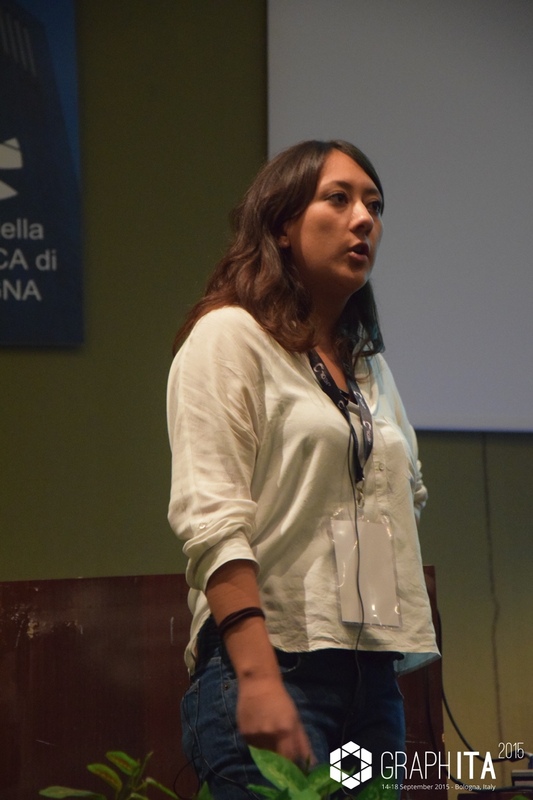 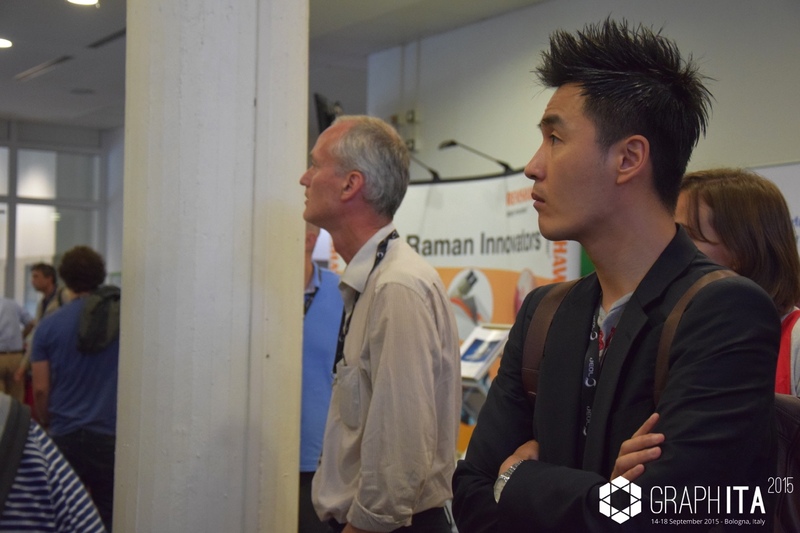 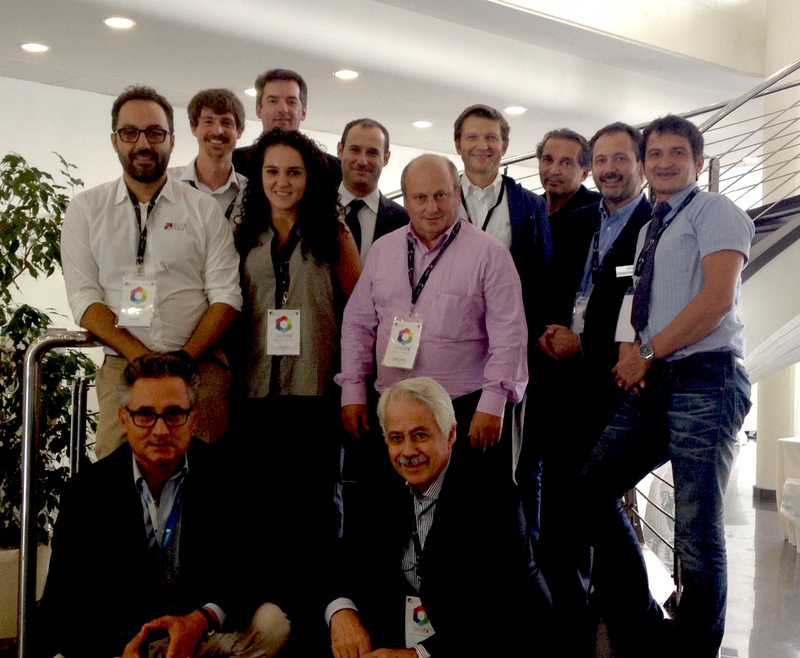 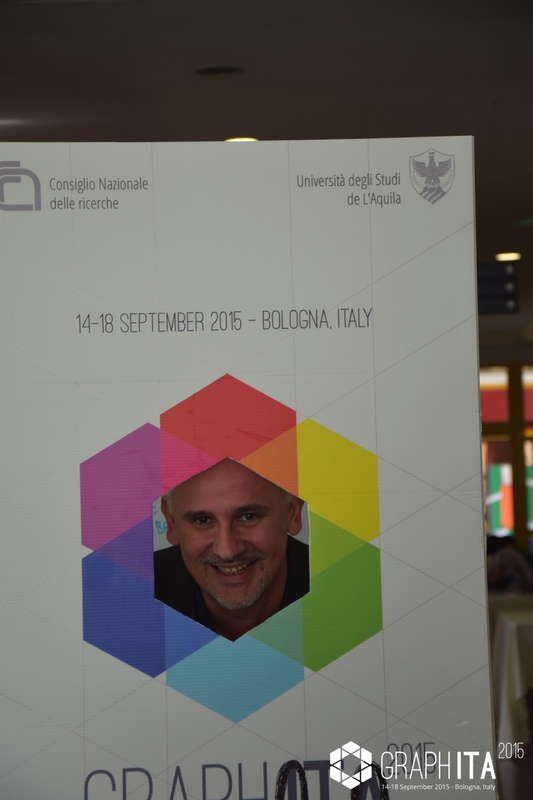 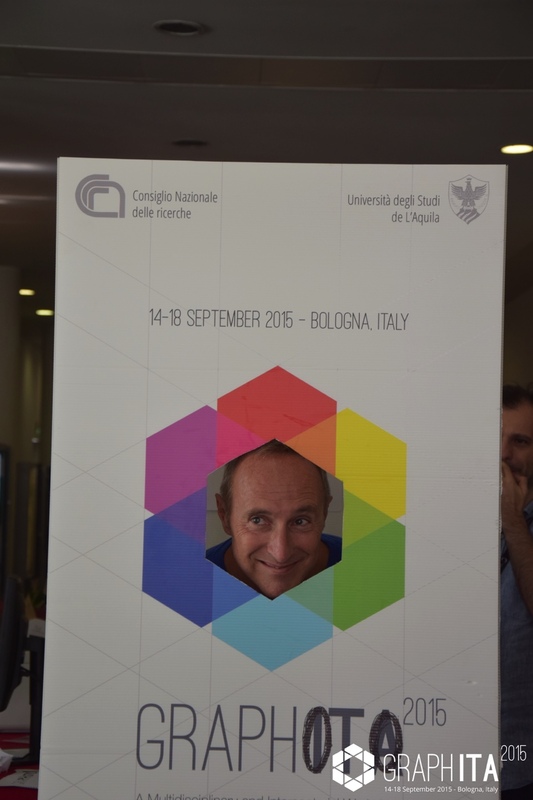 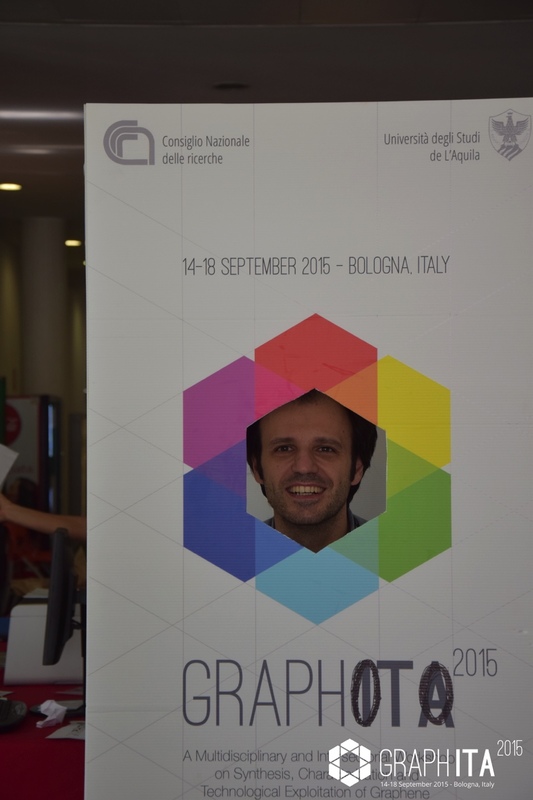 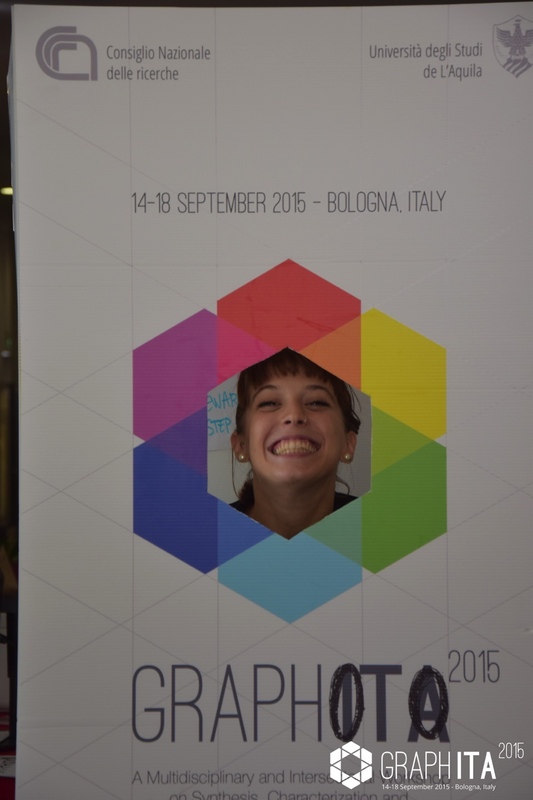 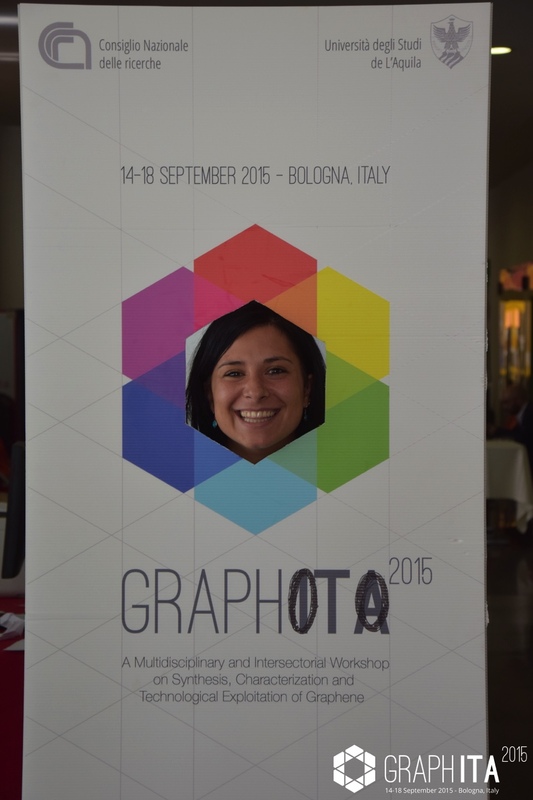 GraphITA 2015, 14-18 September, CNR Bologna, Italy. 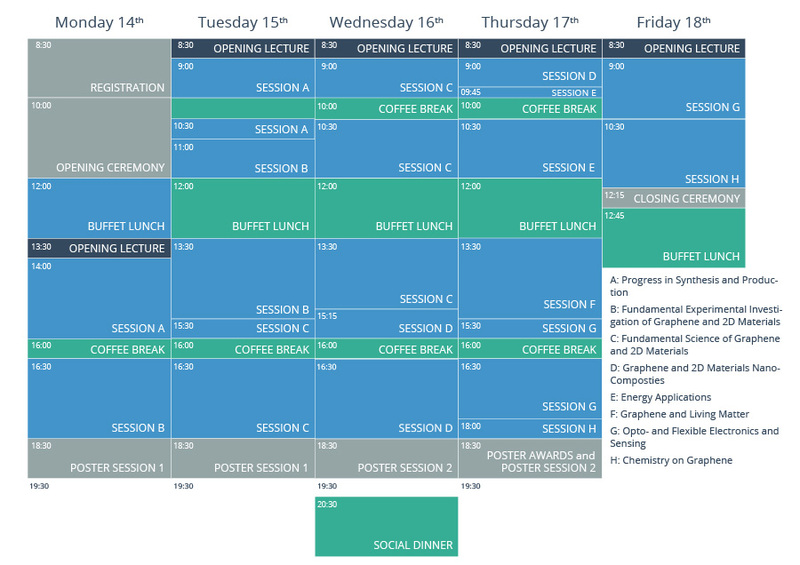 The final program timetable is available for download! 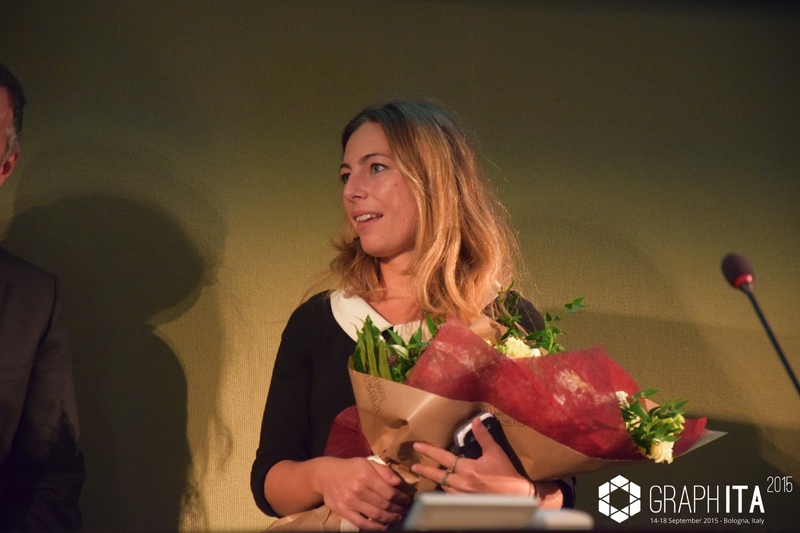 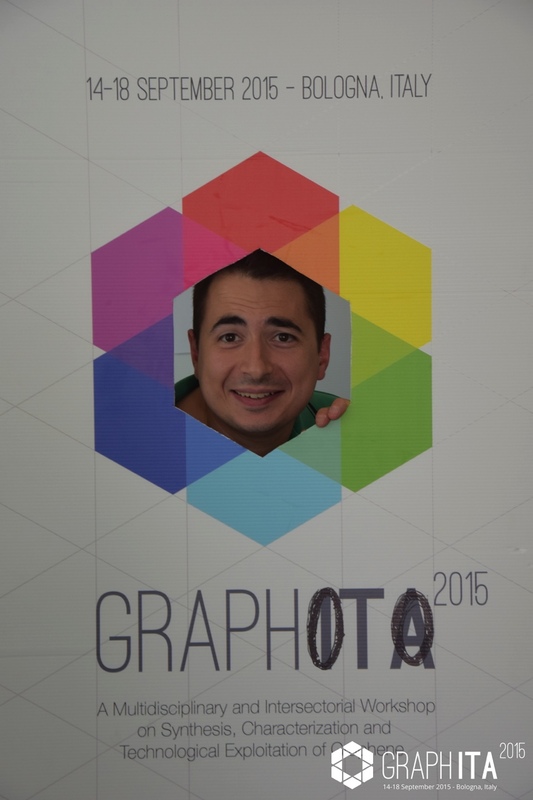 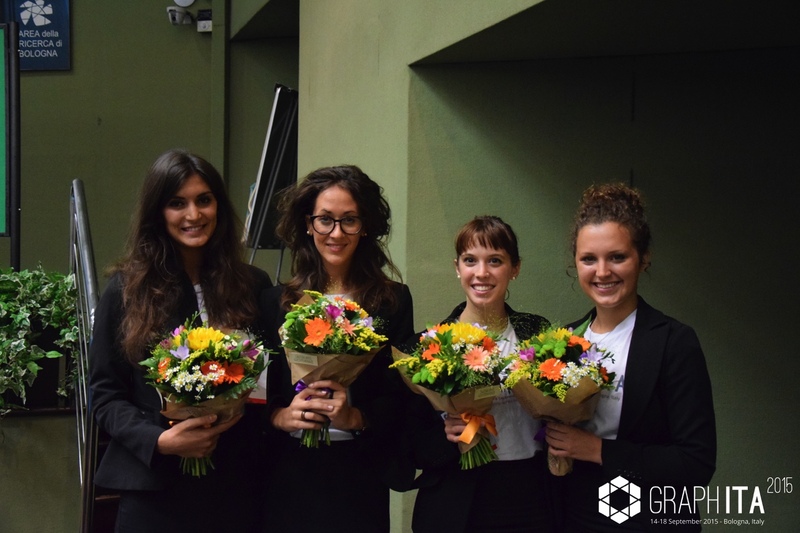 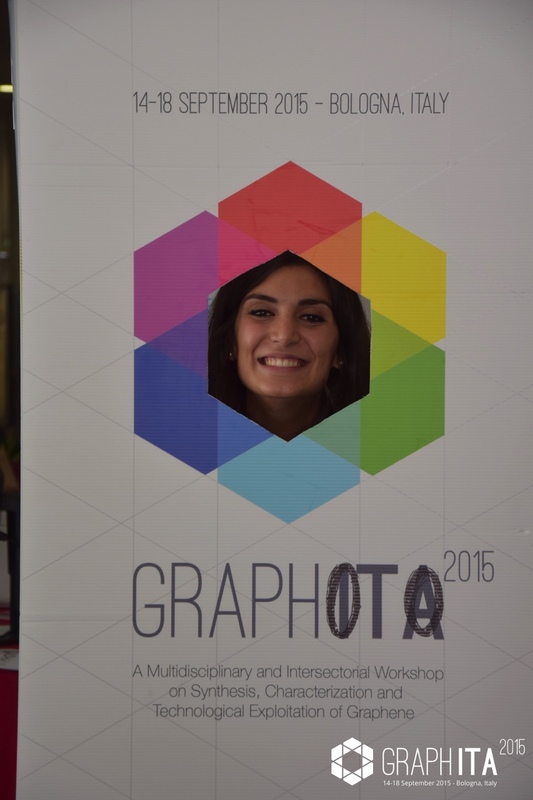 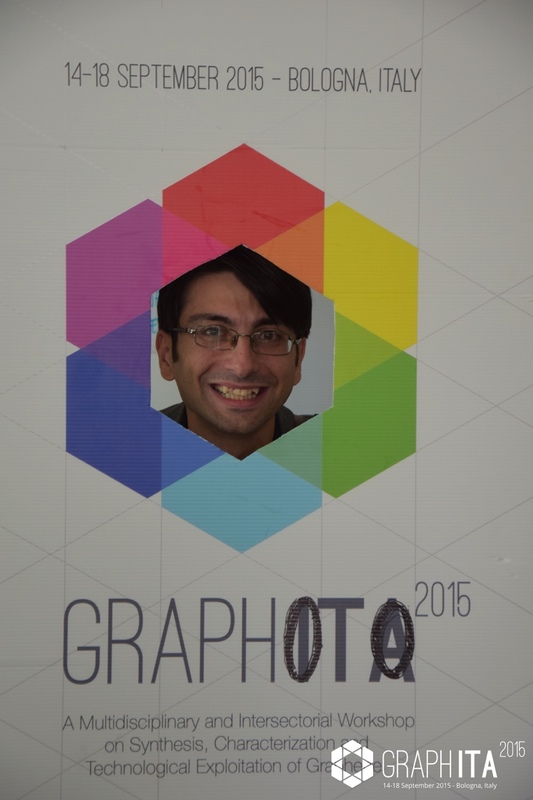 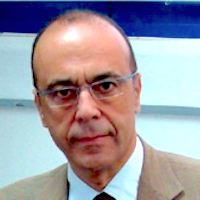 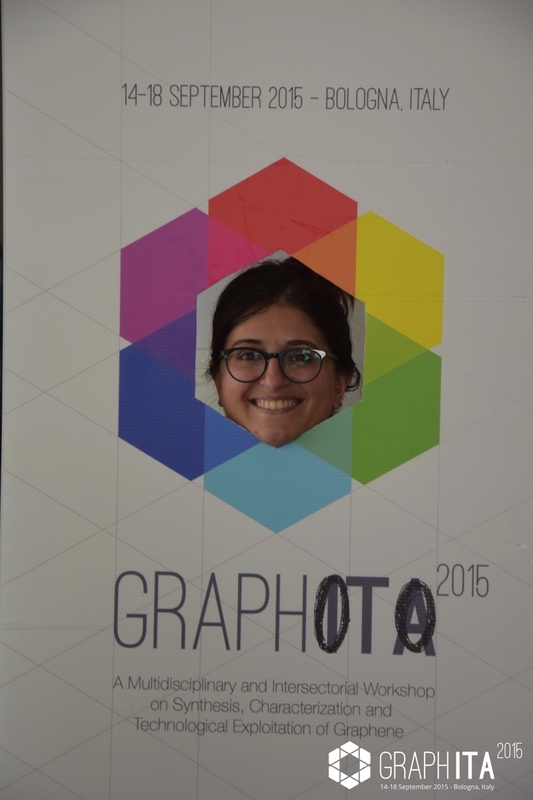 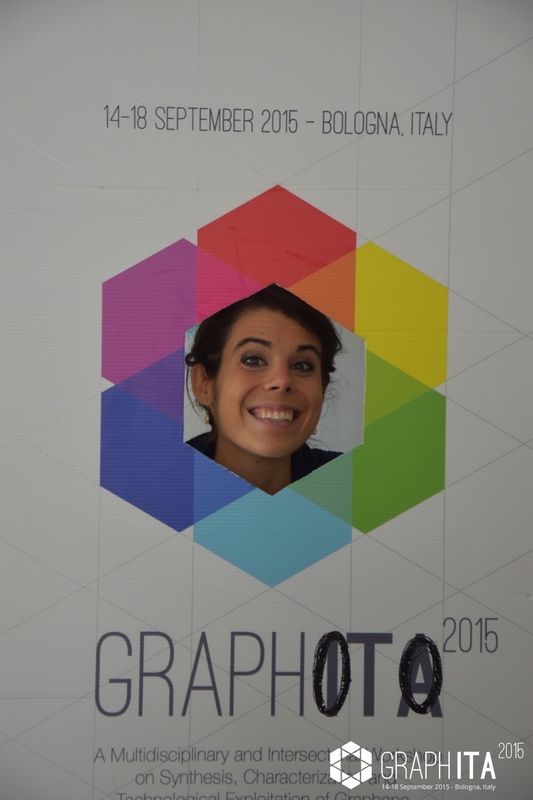 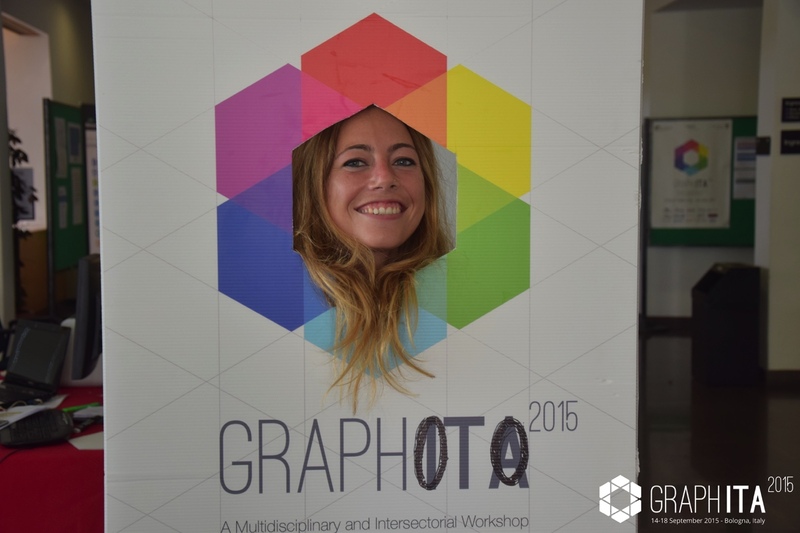 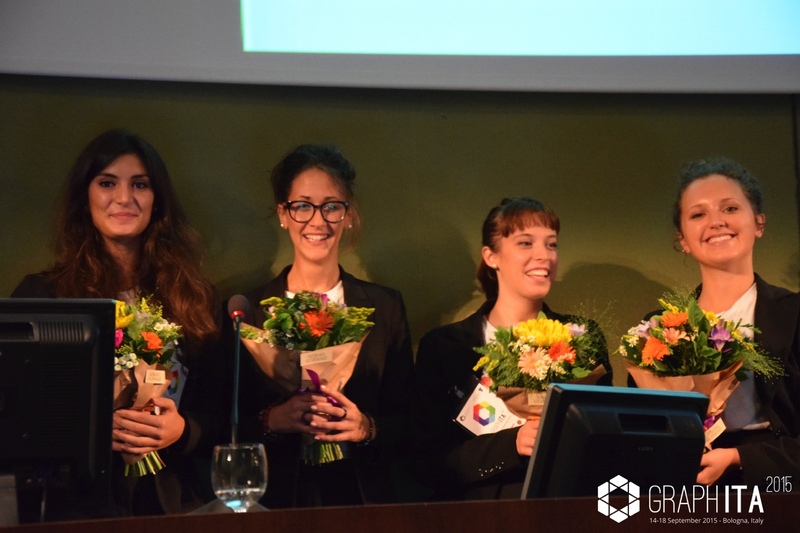 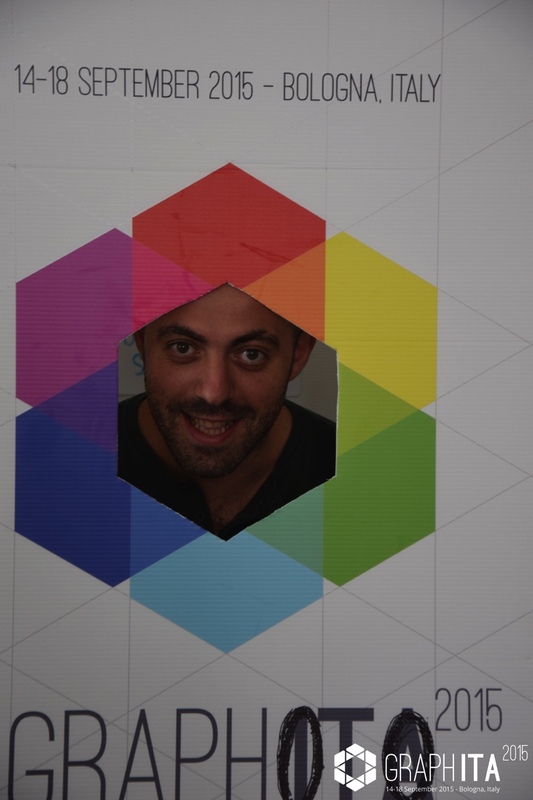 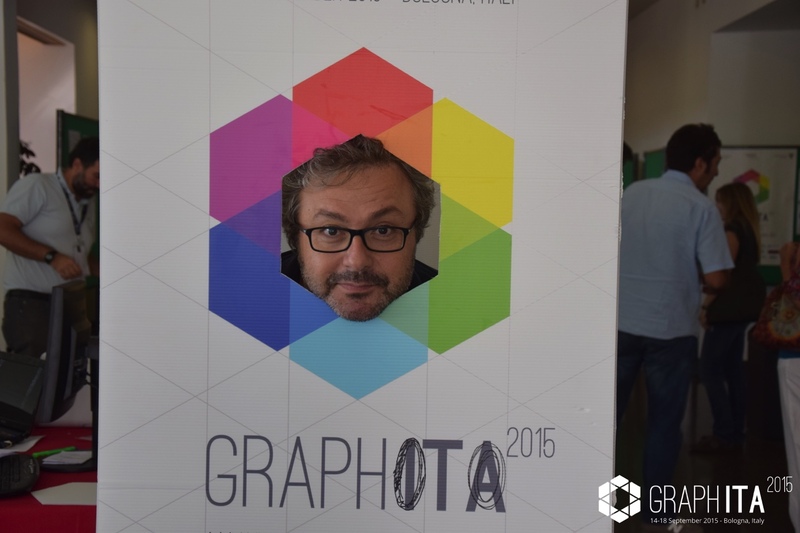 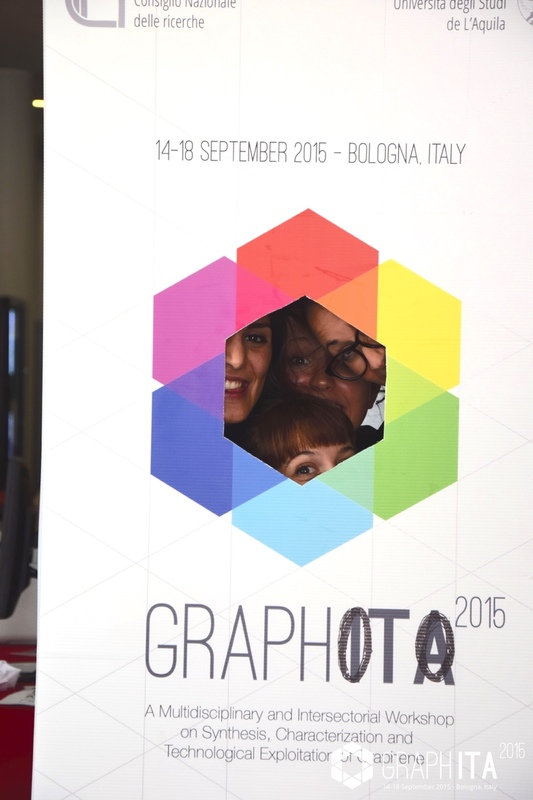 Follow GraphITA 2015 news and updates on Facebook and Twitter! 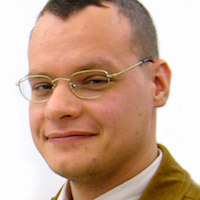 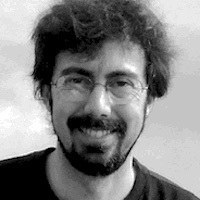 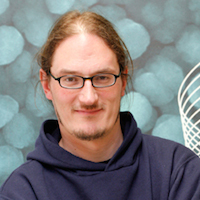 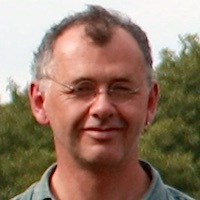 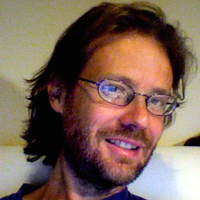 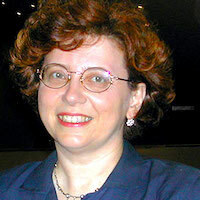 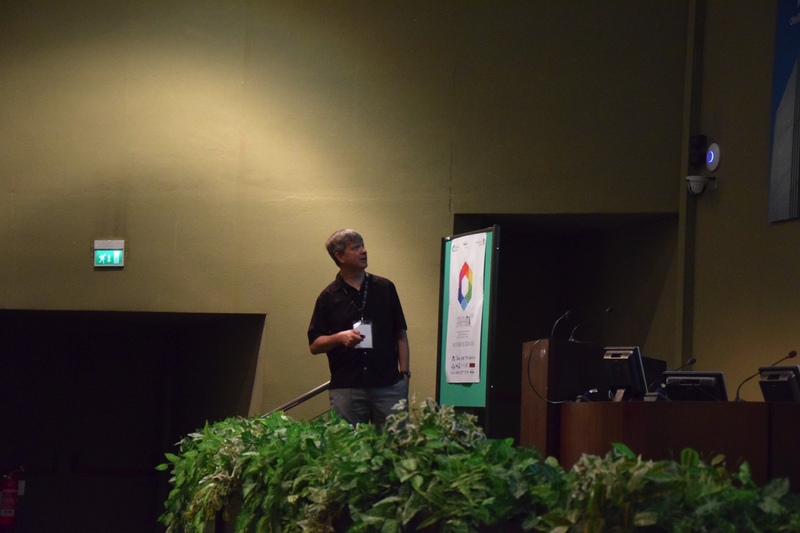 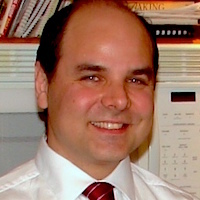 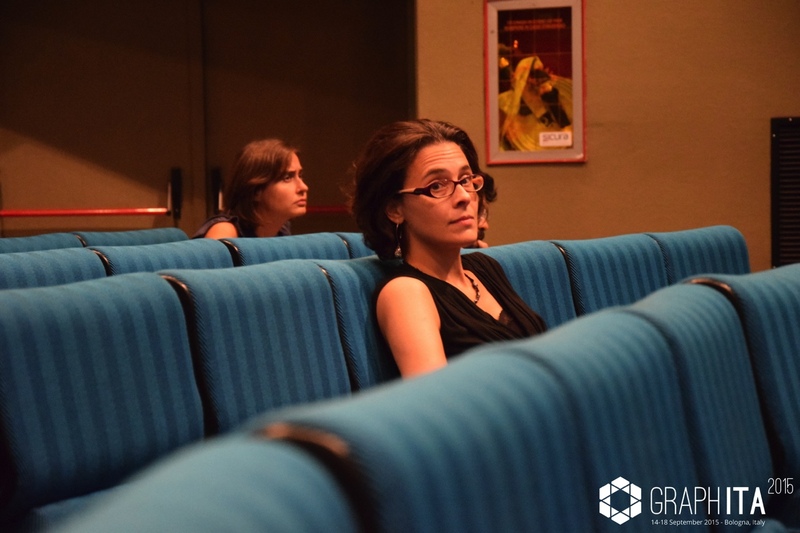 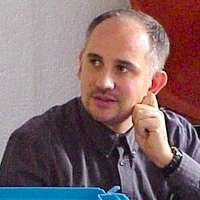 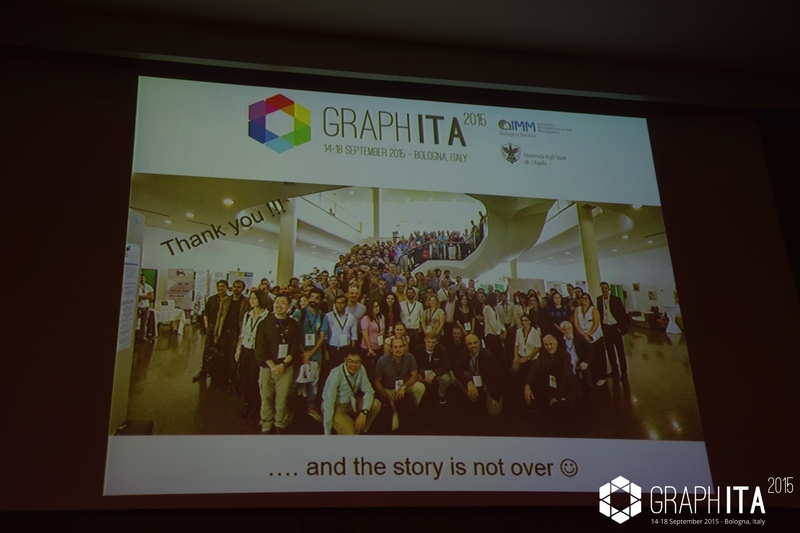 GraphITA 2011, the beginning of the GraphX conference series. 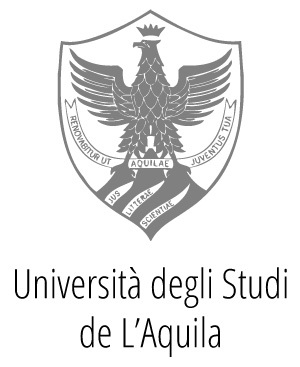 Visit the website! 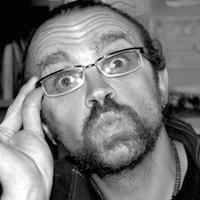 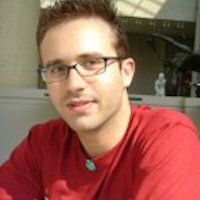 The archive of all issues! 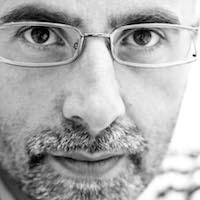 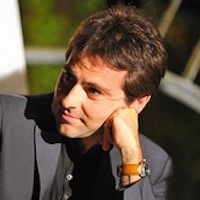 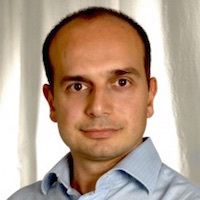 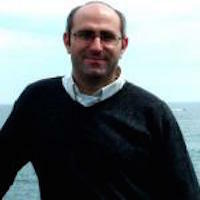 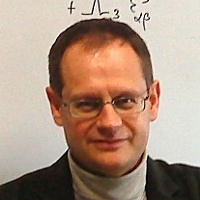 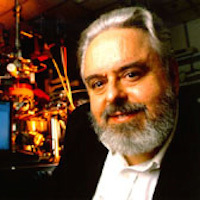 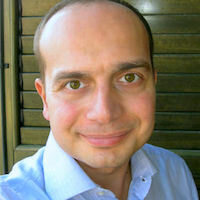 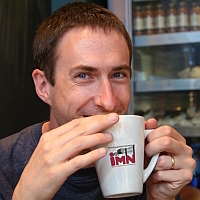 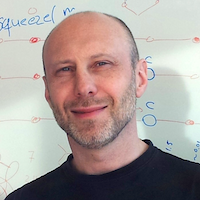 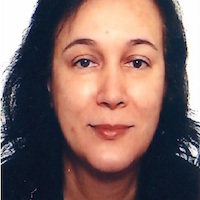 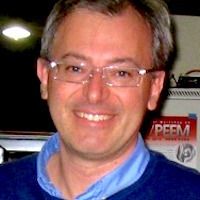 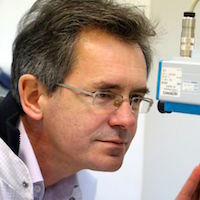 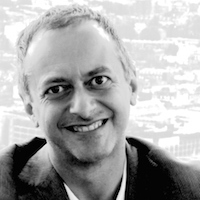 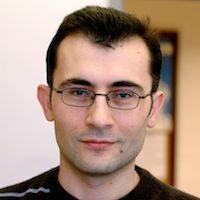 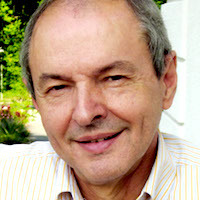 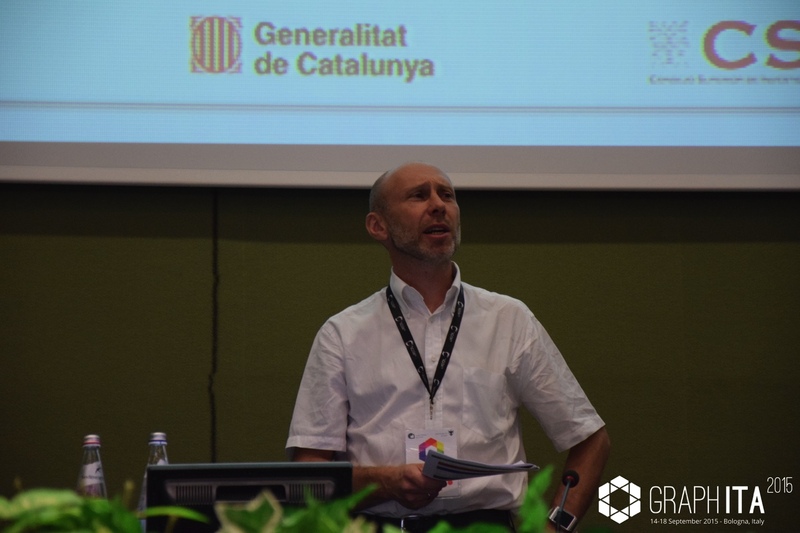 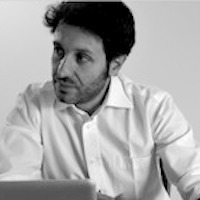 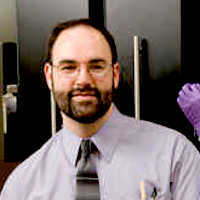 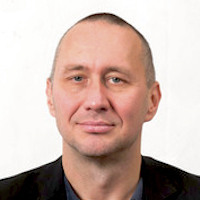 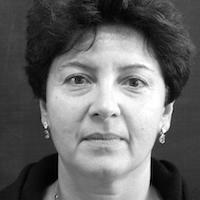 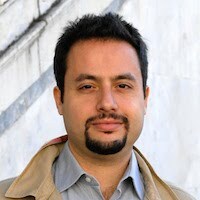 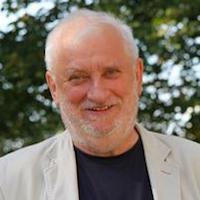 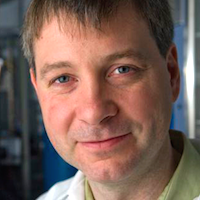 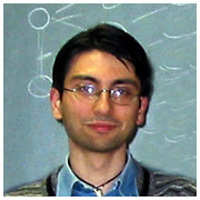 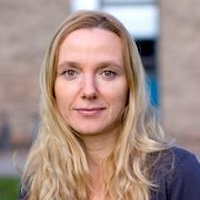 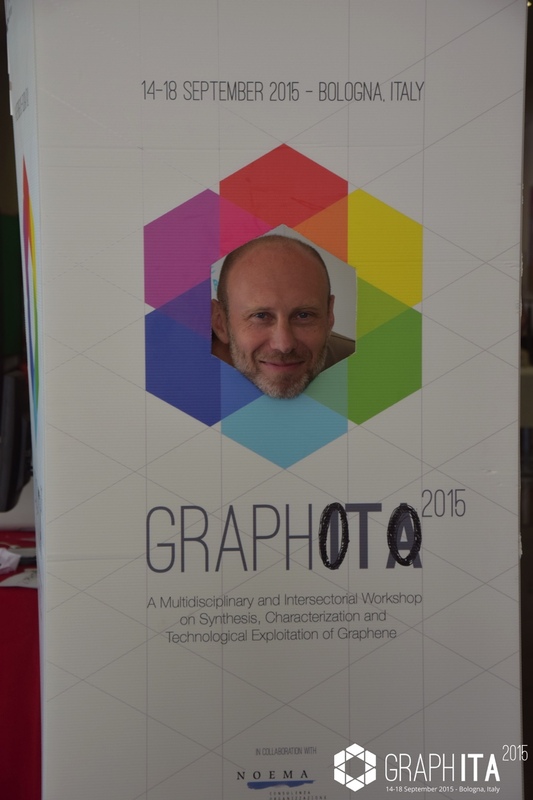 A Multidisciplinary and Intersectorial European Workshop on Synthesis, Characterization and Technological Exploitation of Graphene and 2D Materials Beyond Graphene. 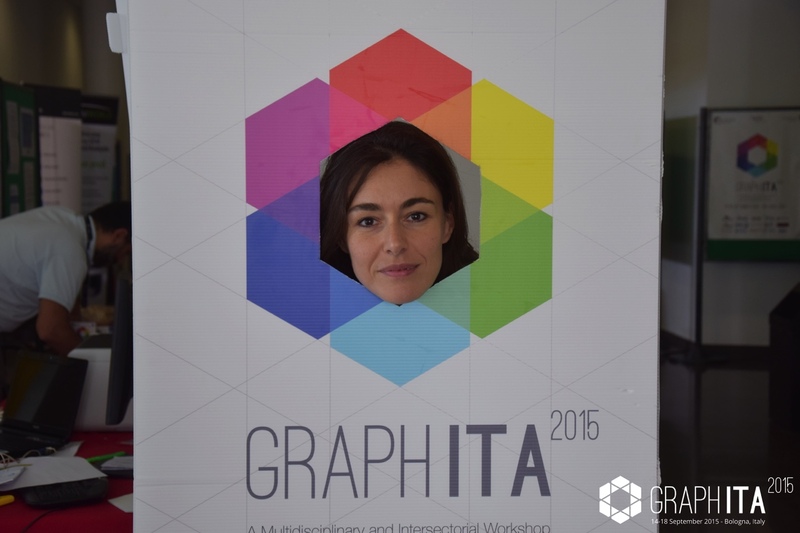 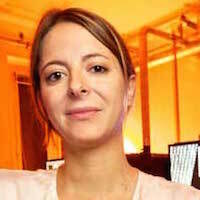 GraphITA lands back in Italy !! 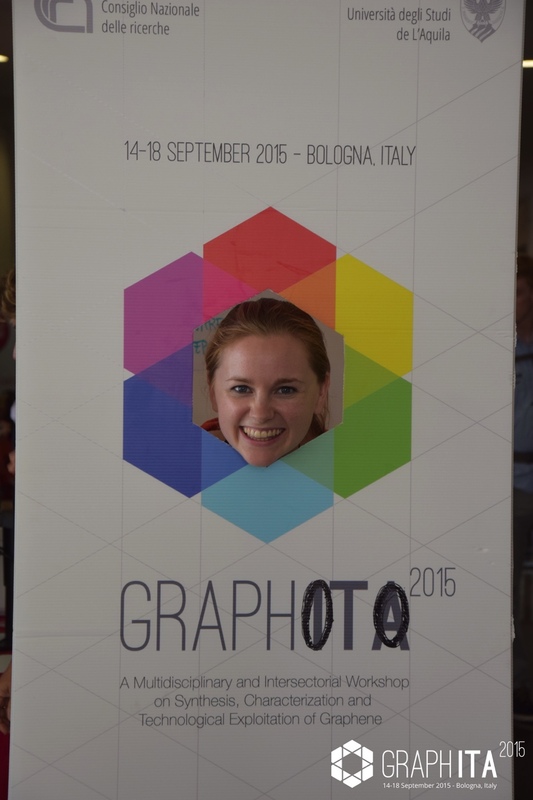 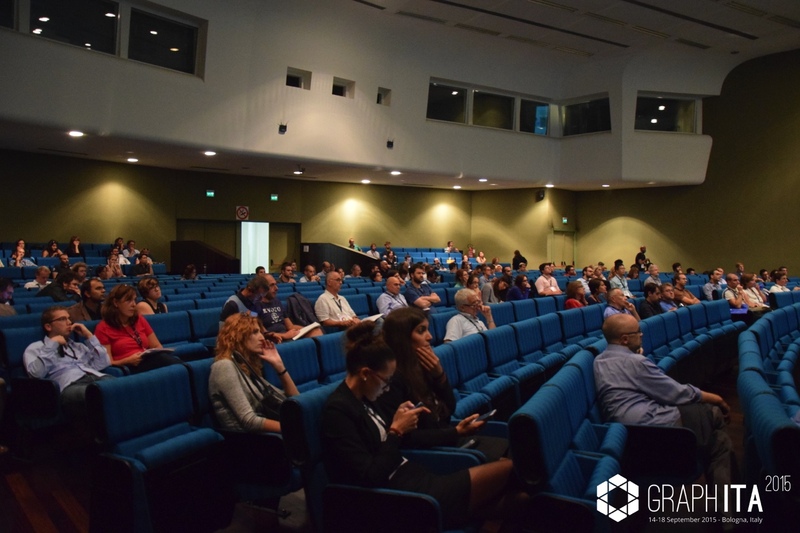 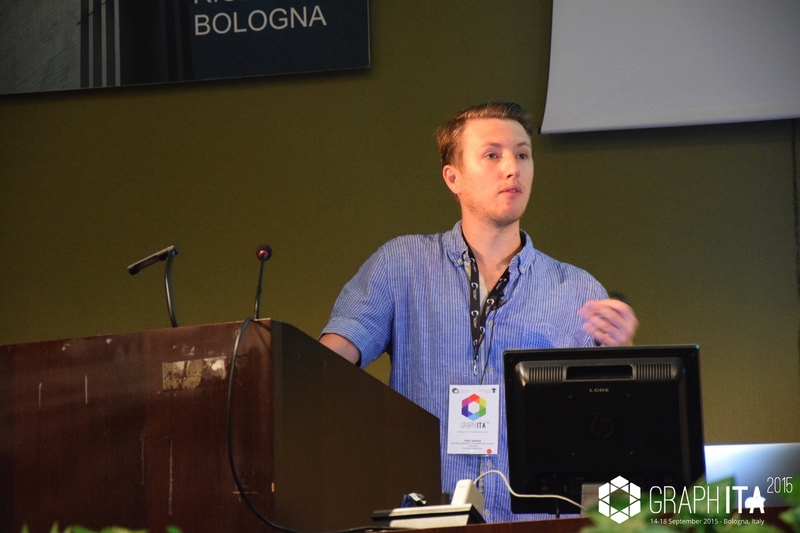 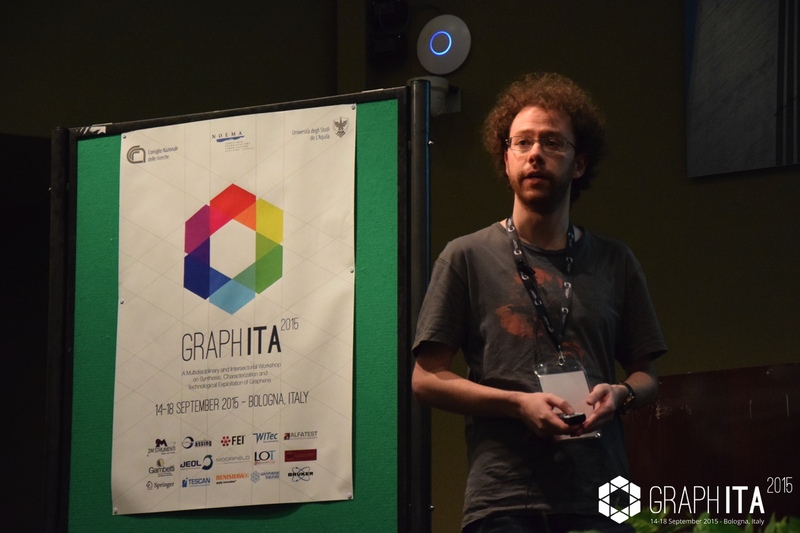 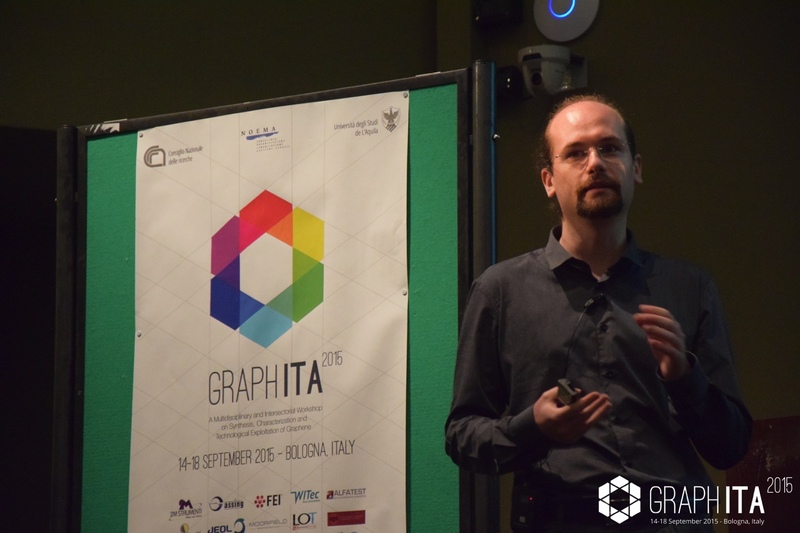 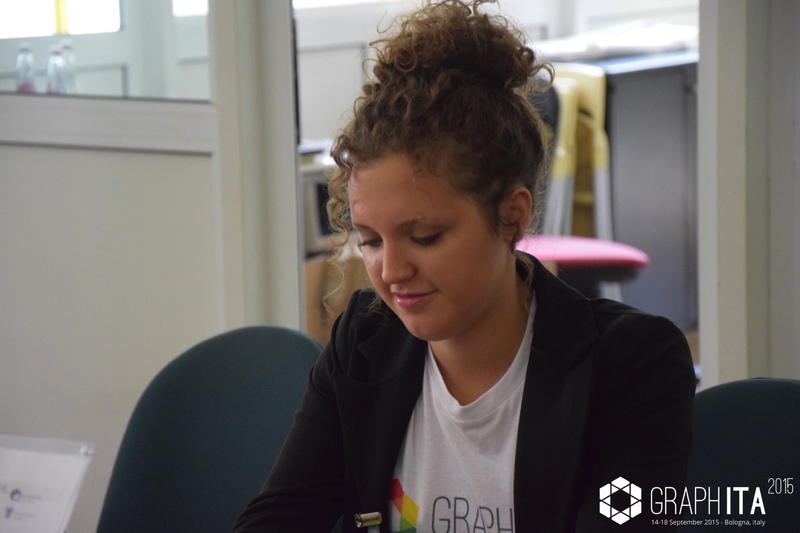 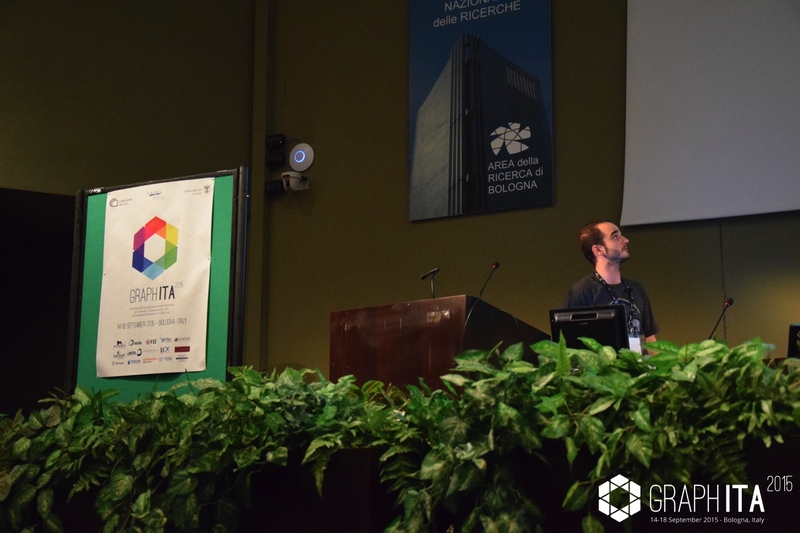 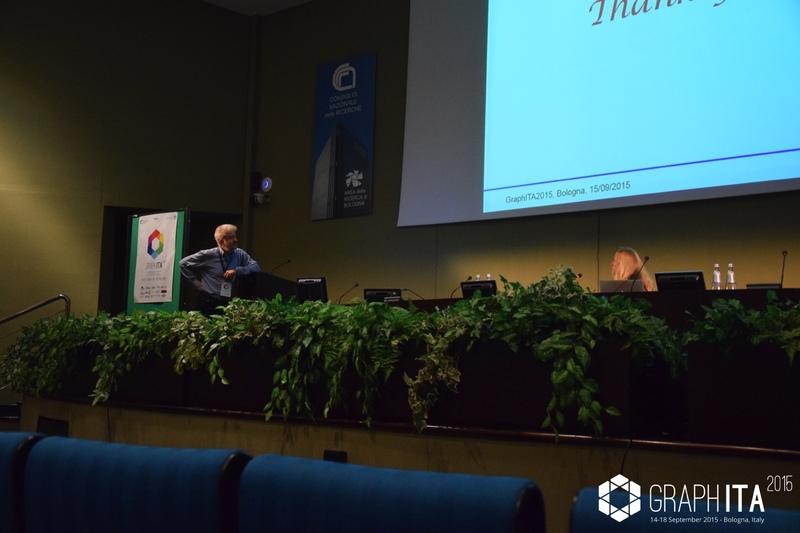 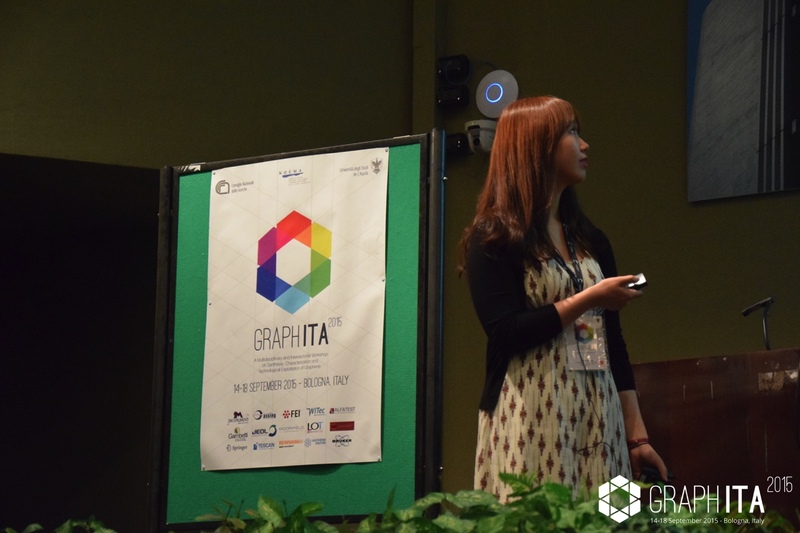 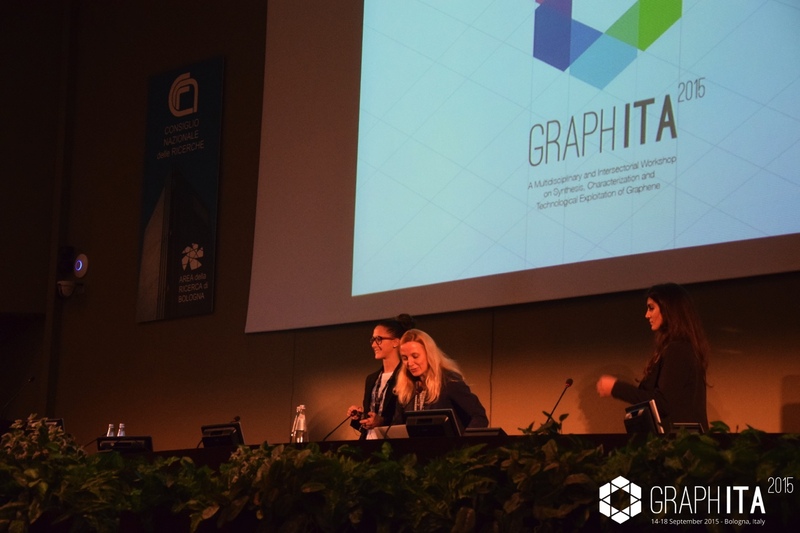 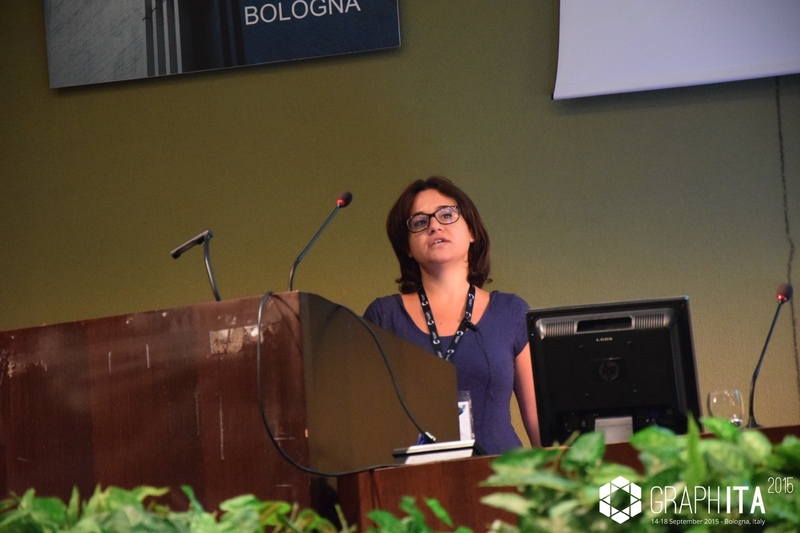 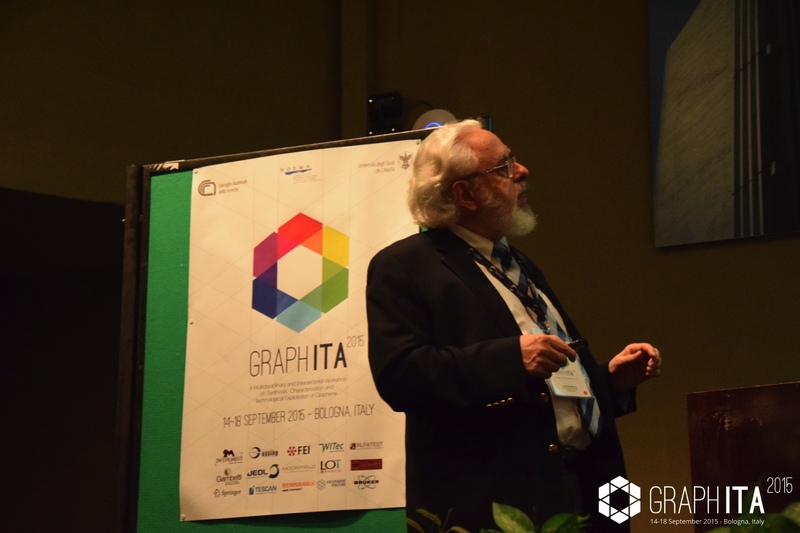 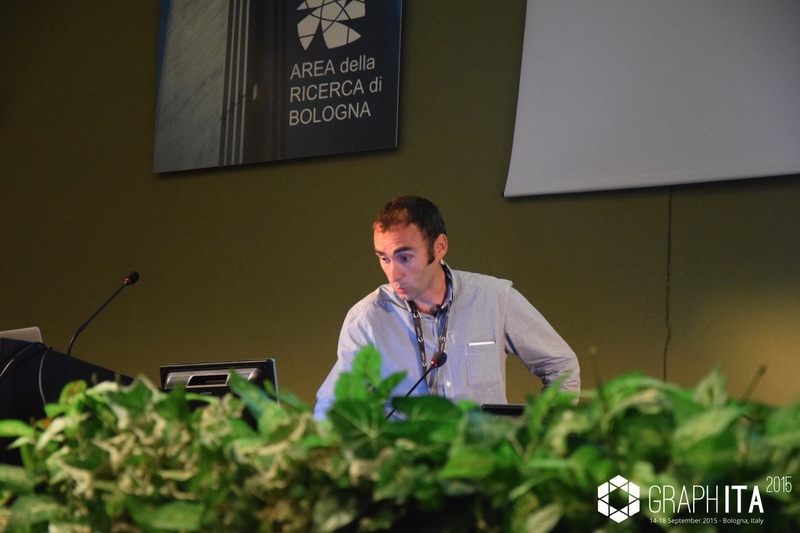 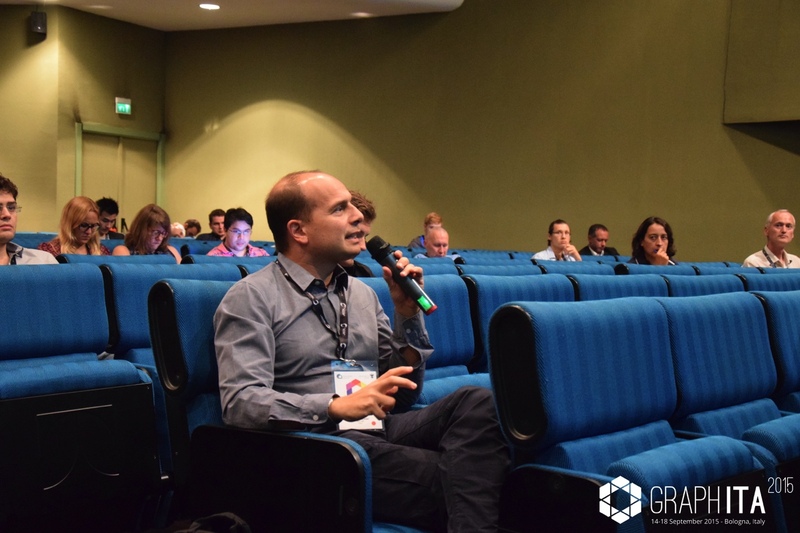 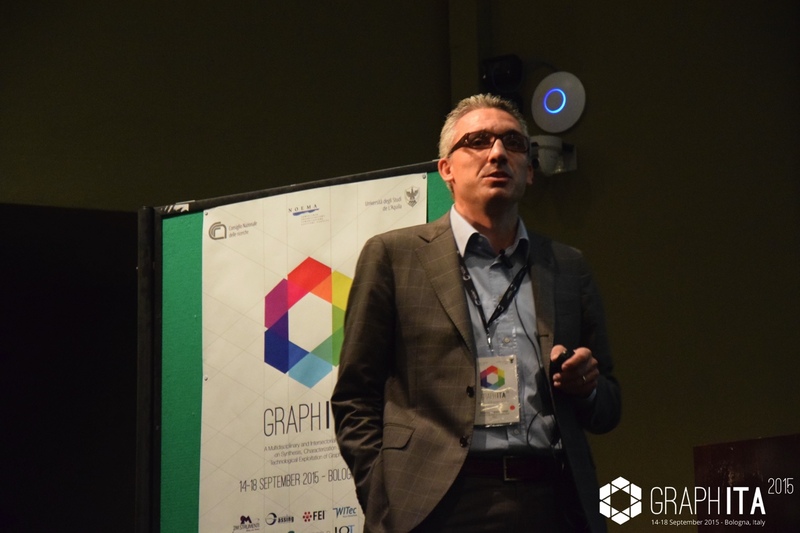 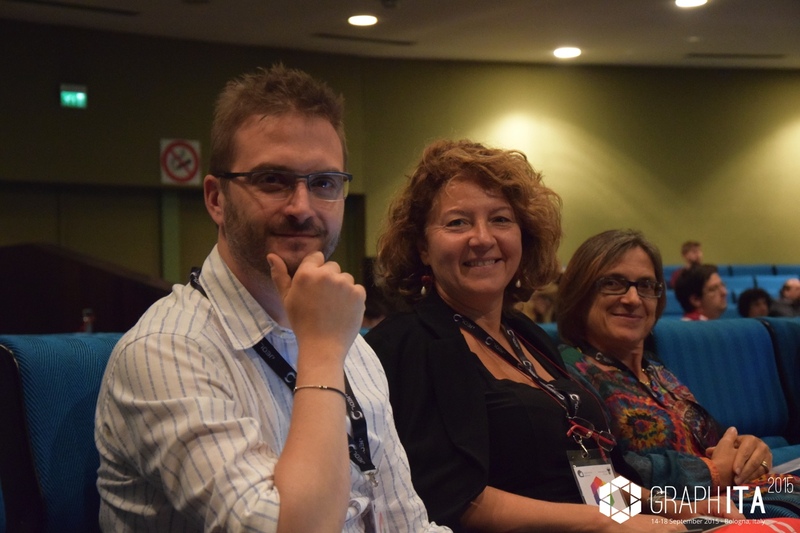 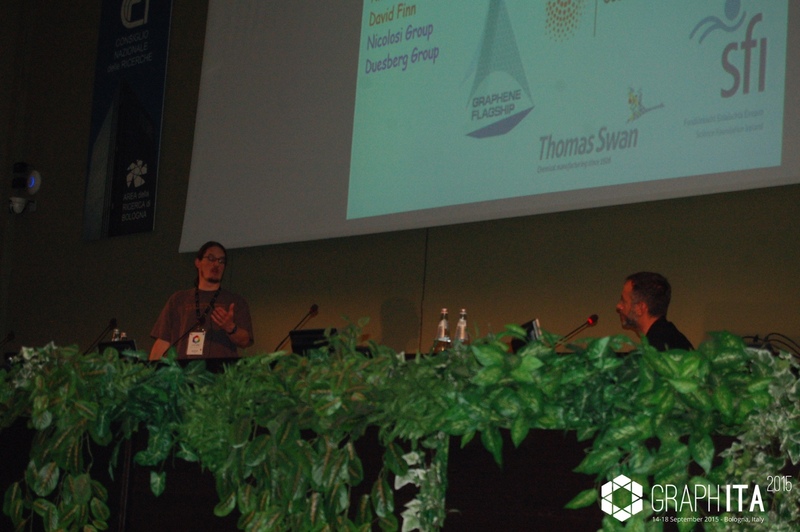 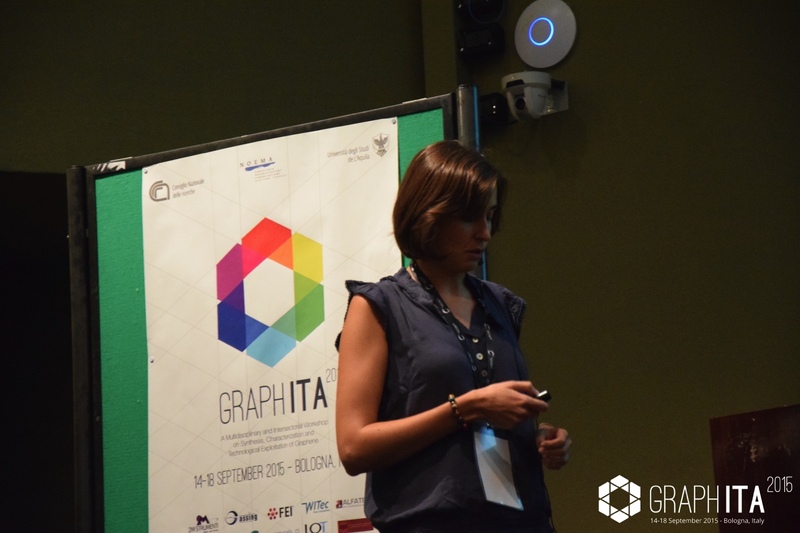 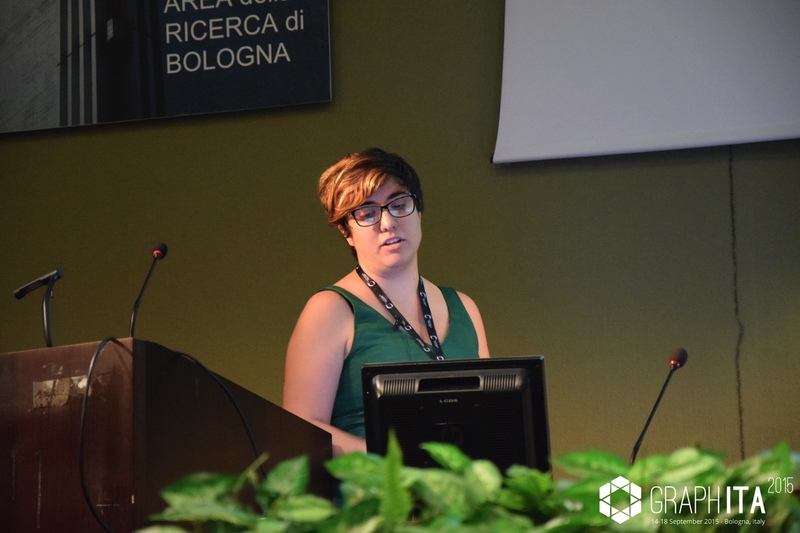 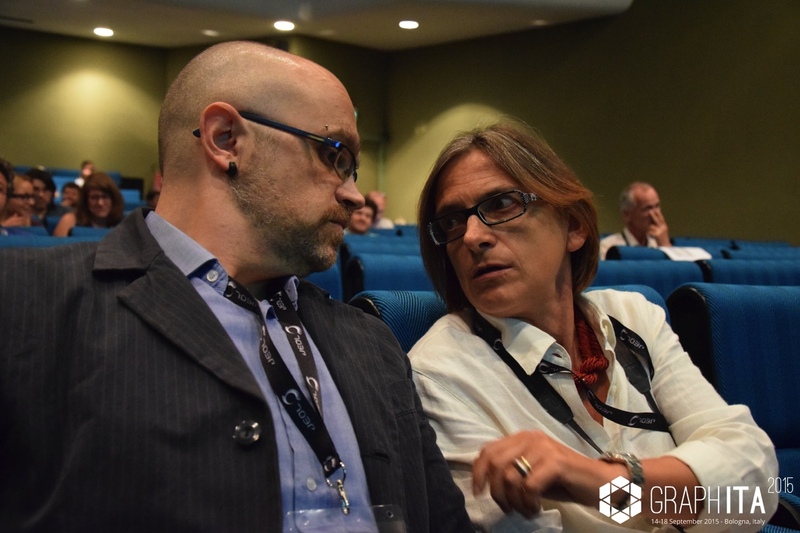 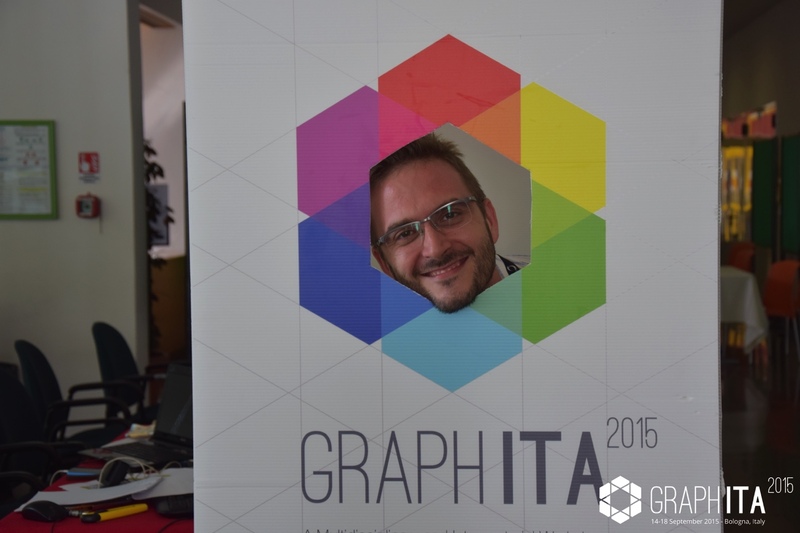 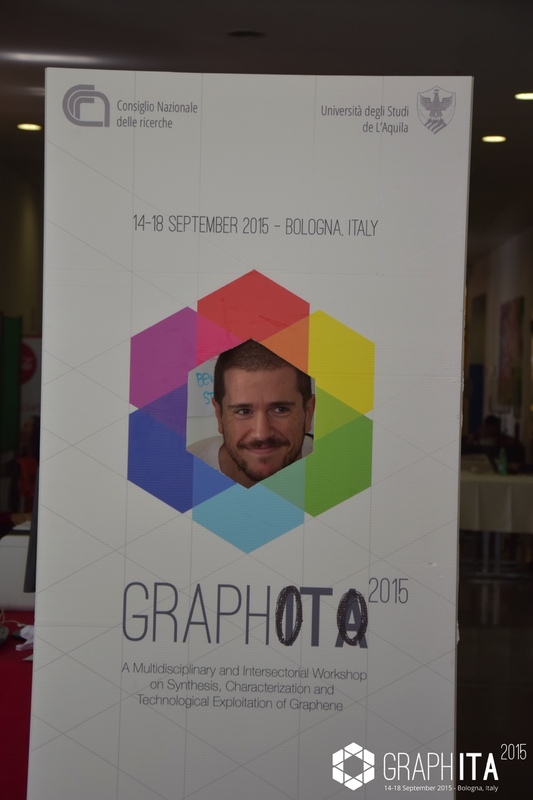 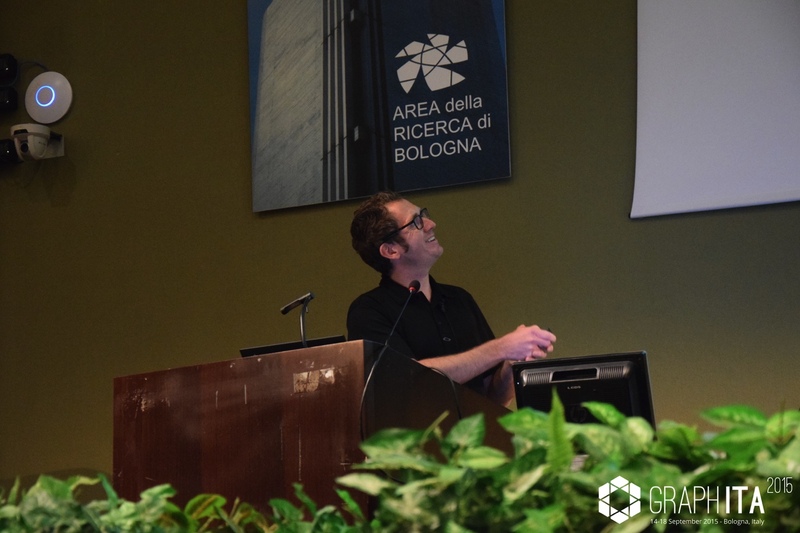 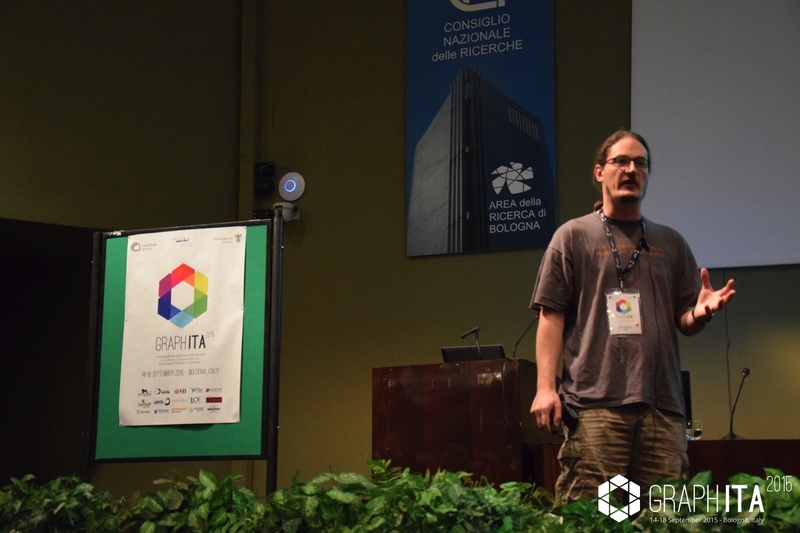 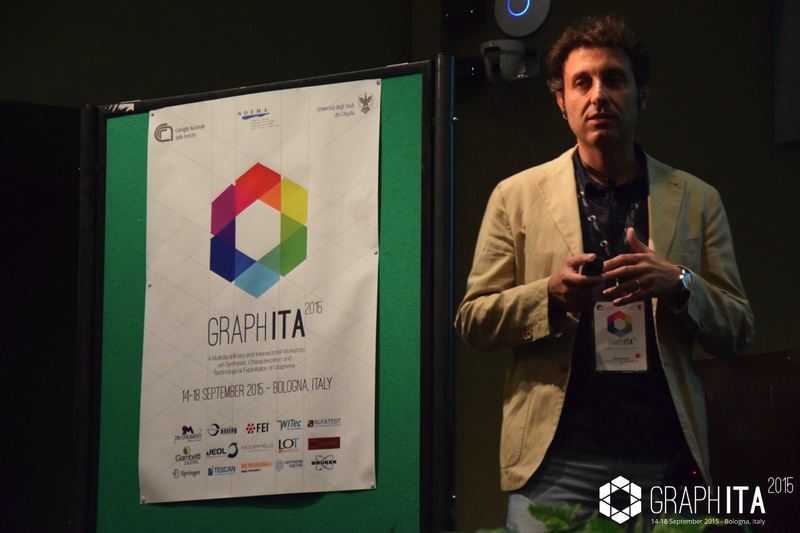 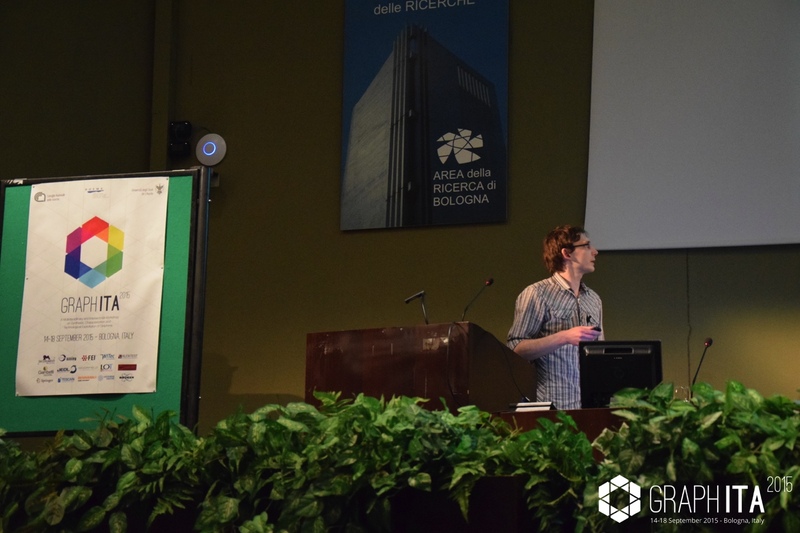 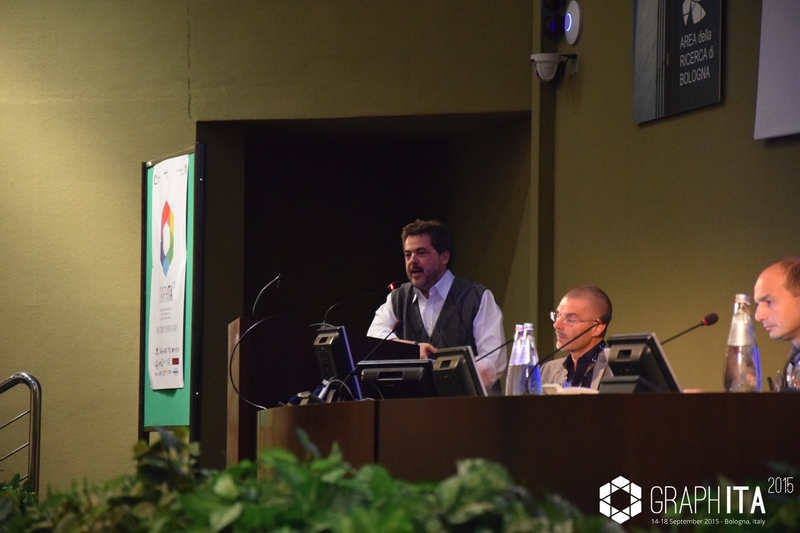 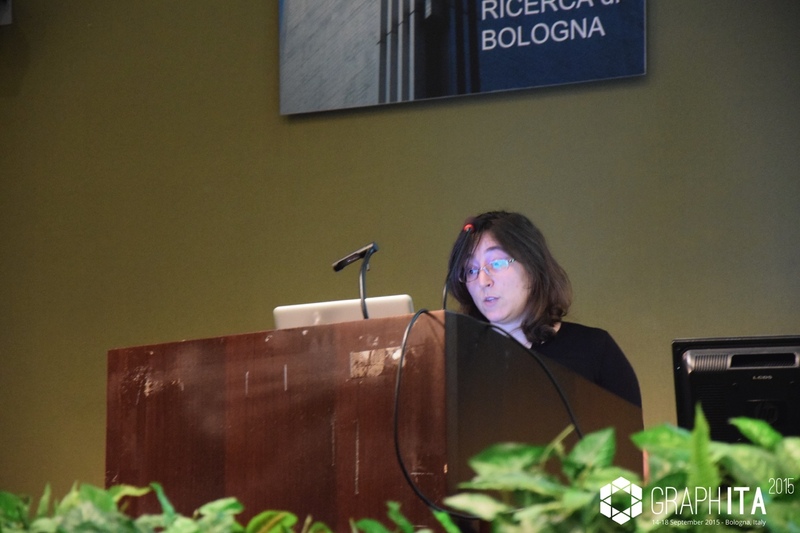 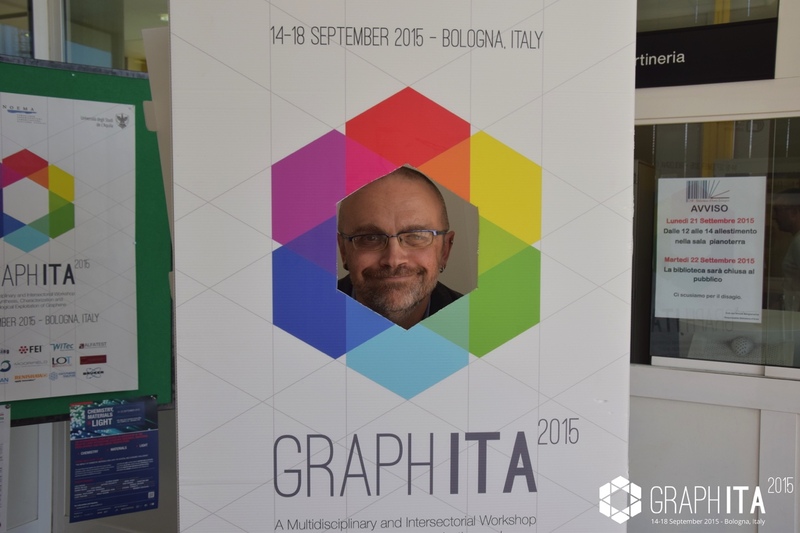 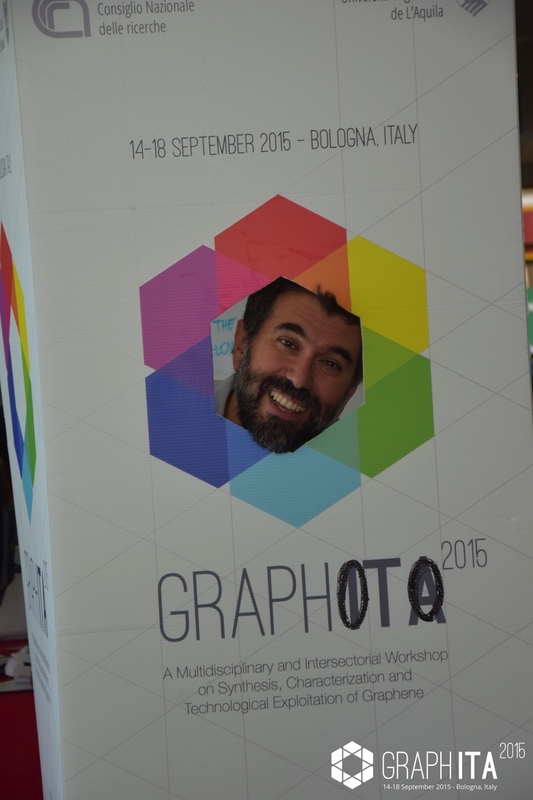 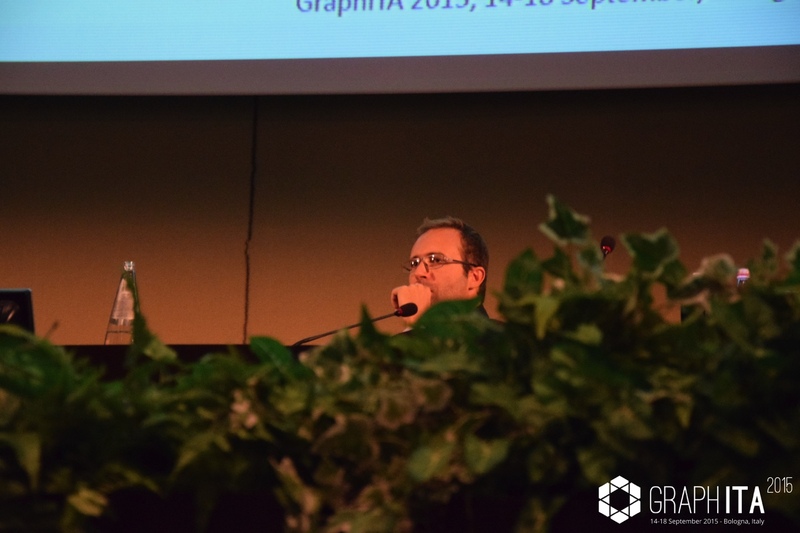 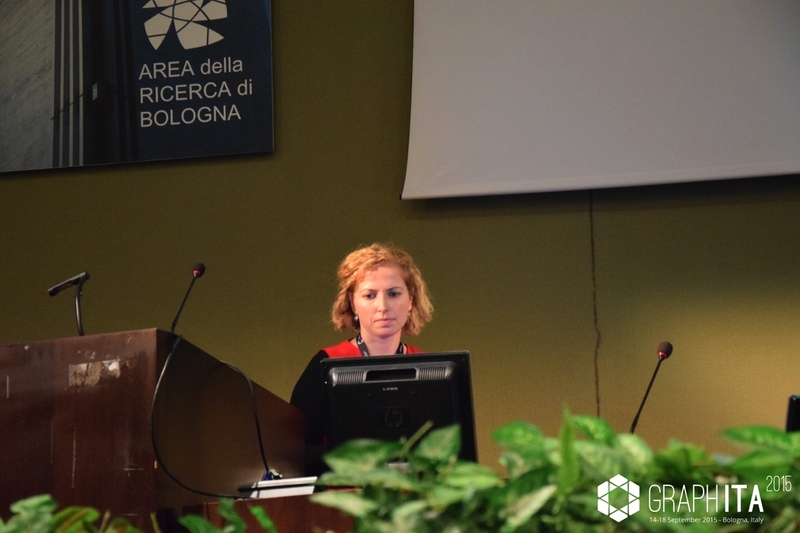 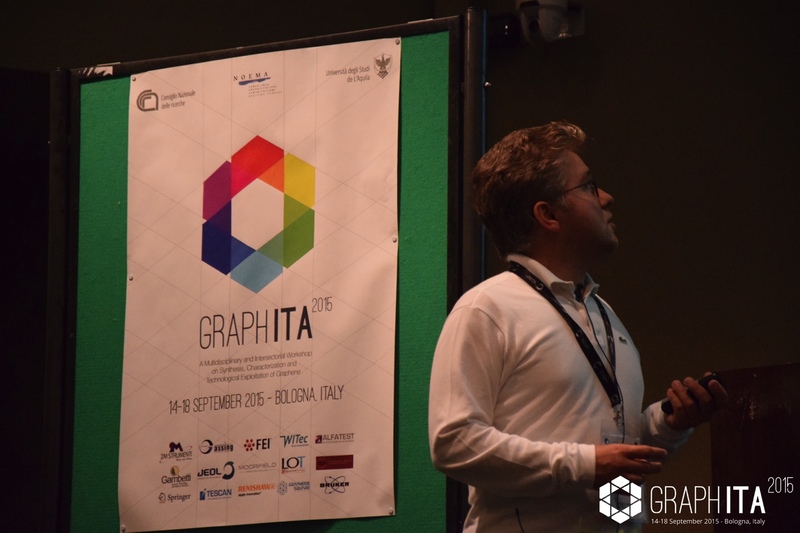 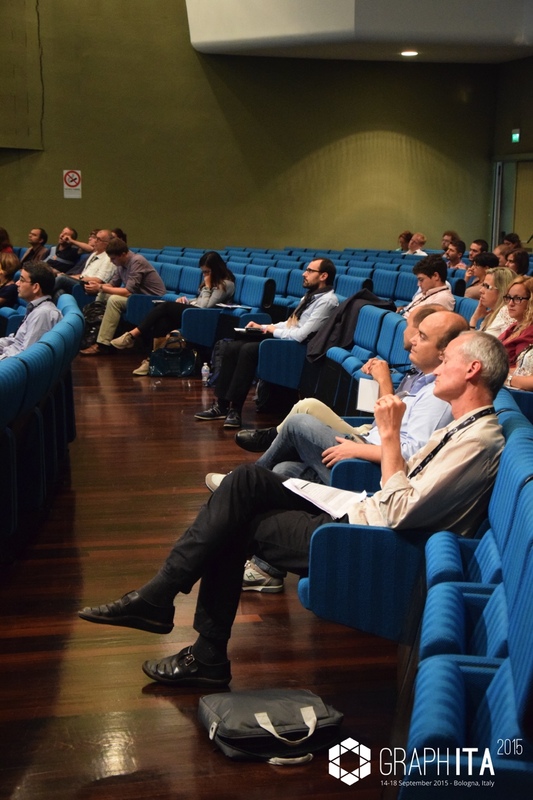 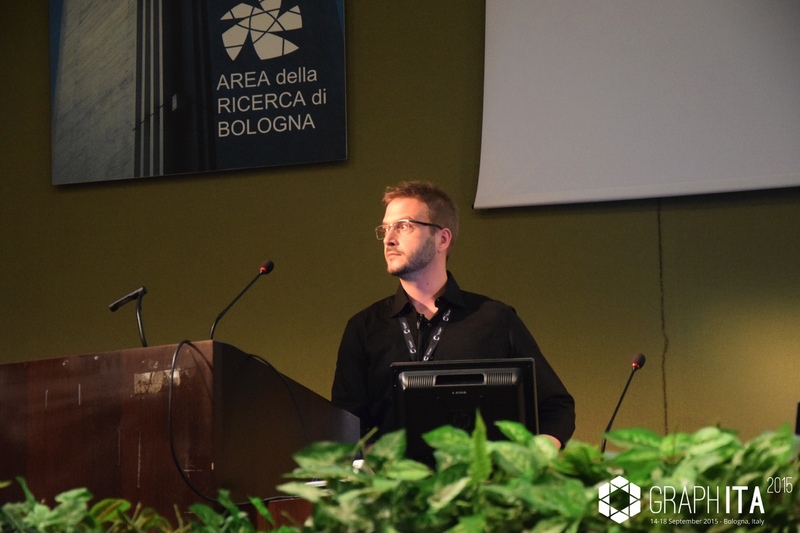 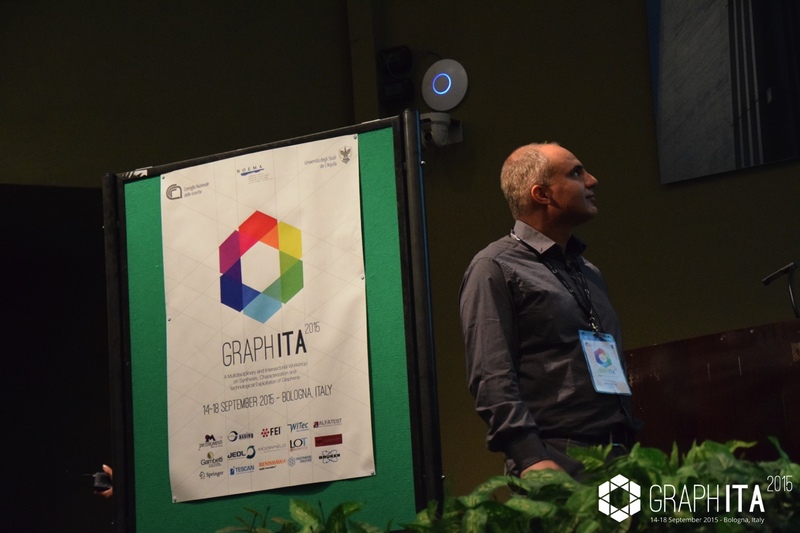 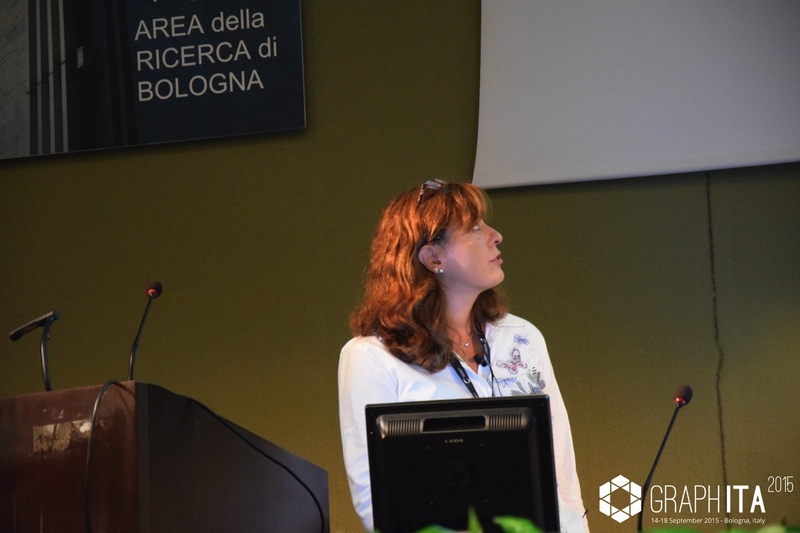 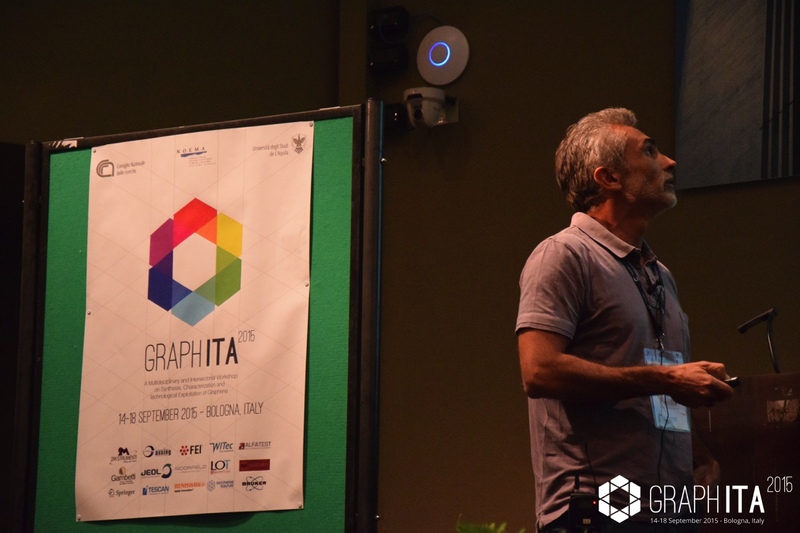 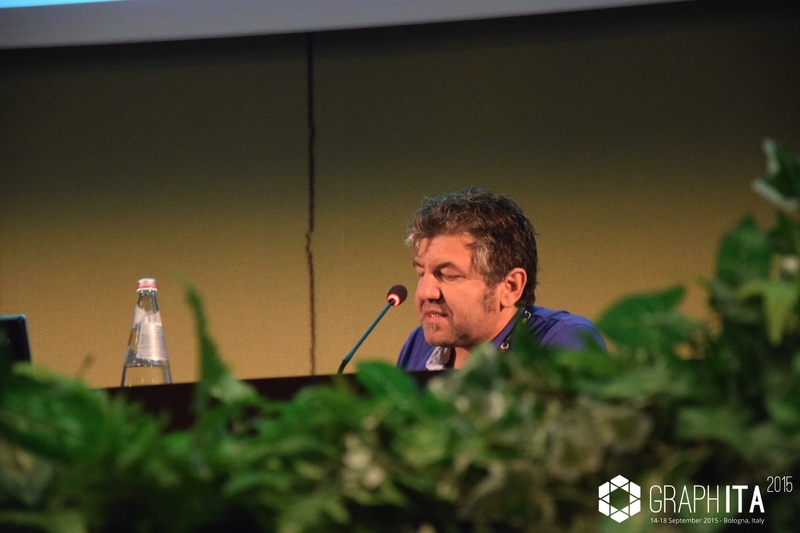 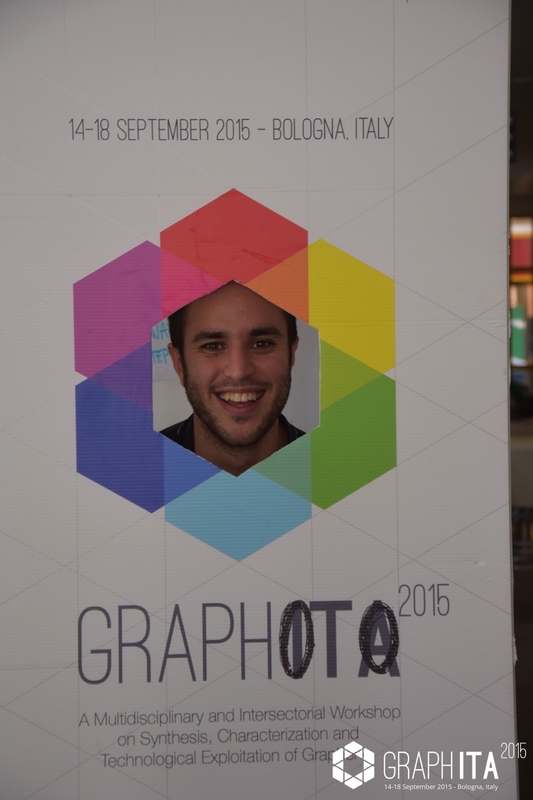 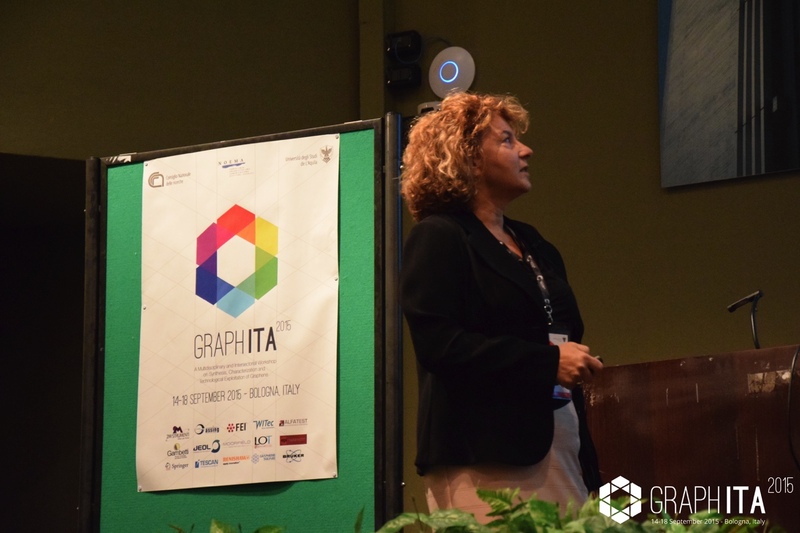 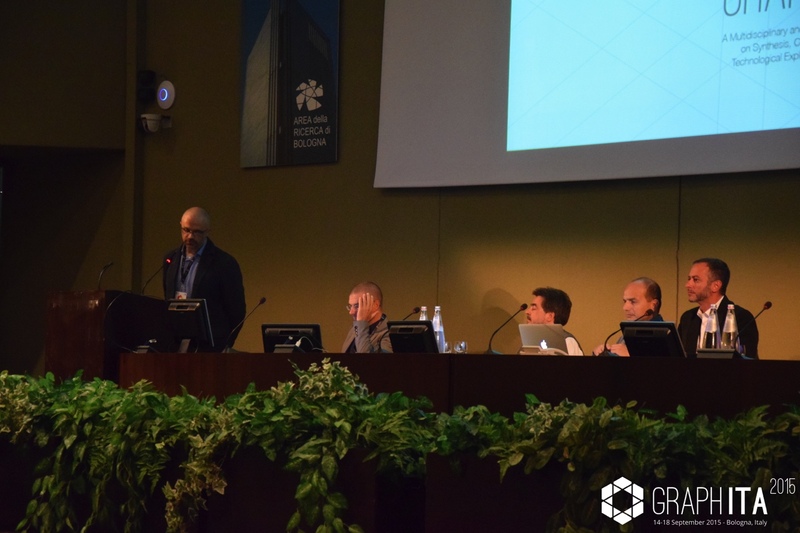 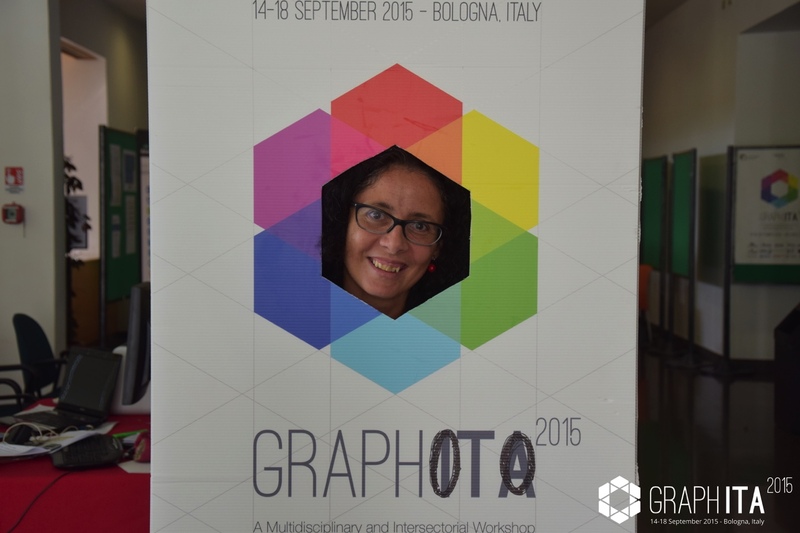 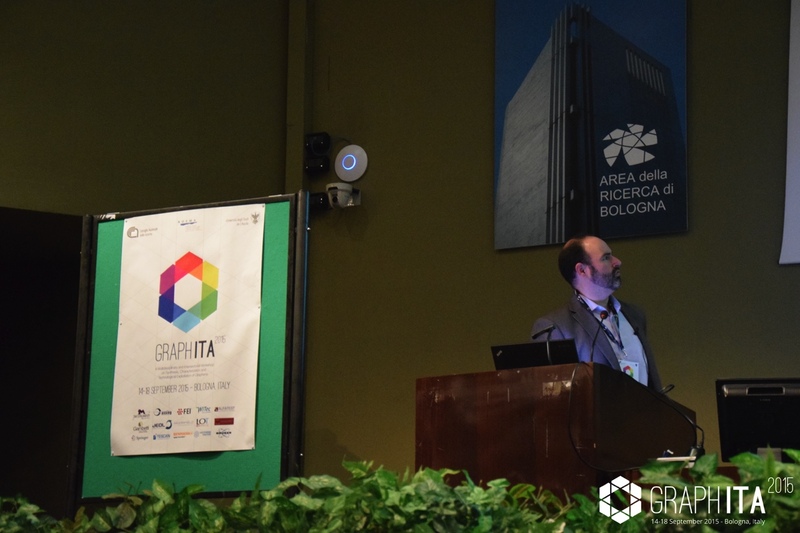 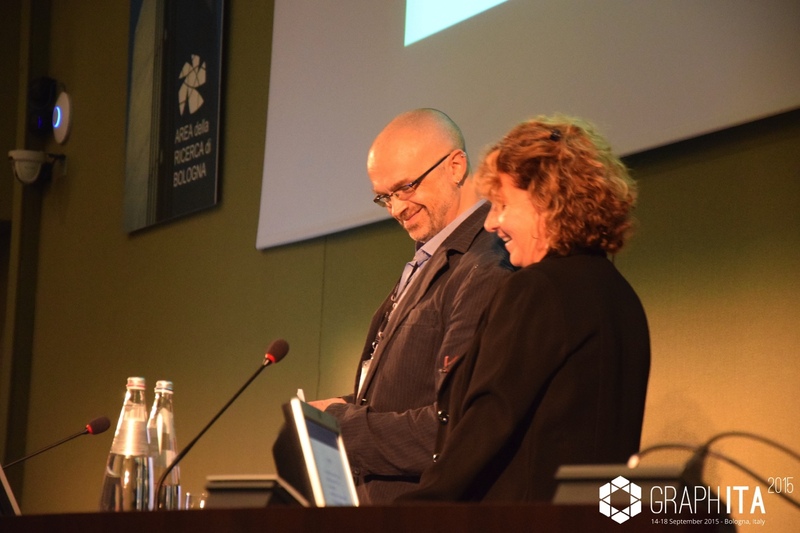 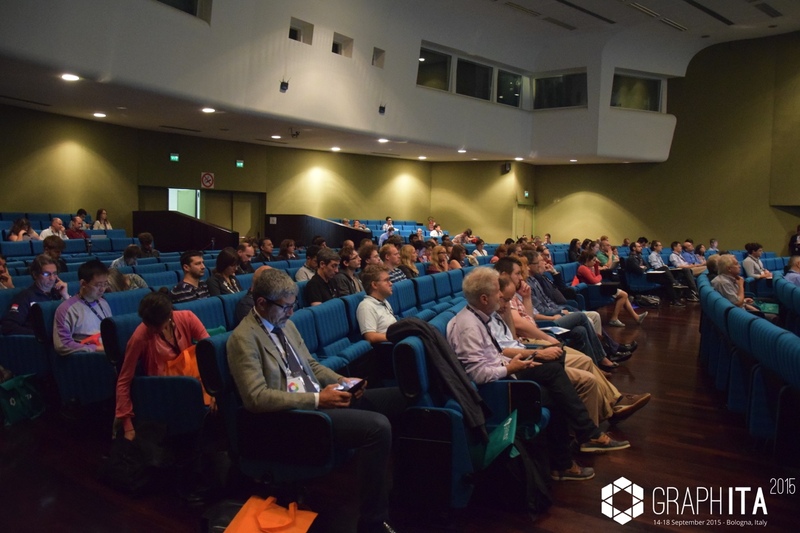 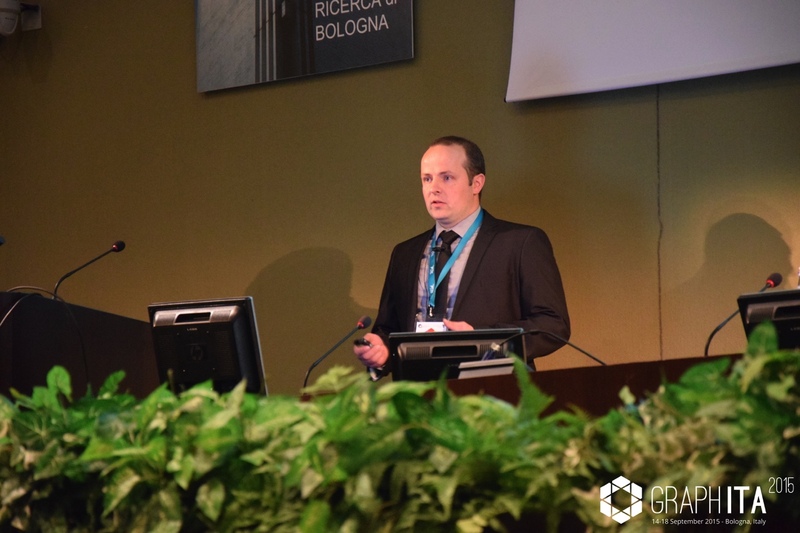 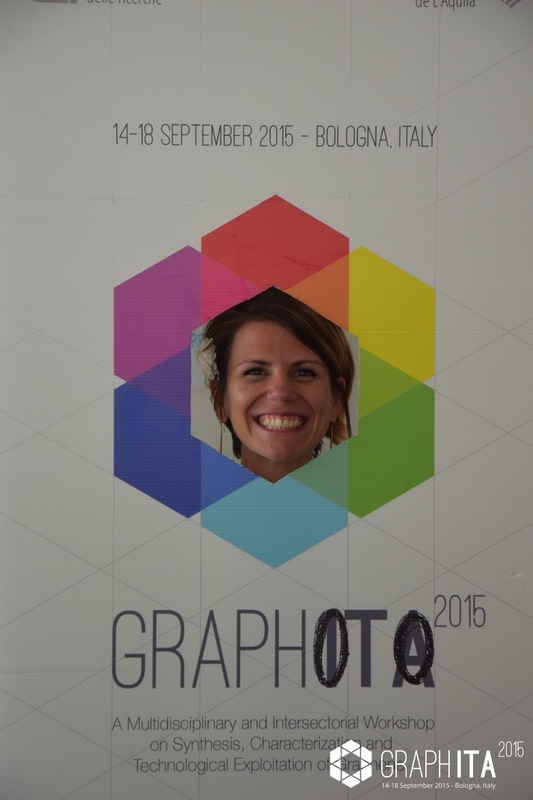 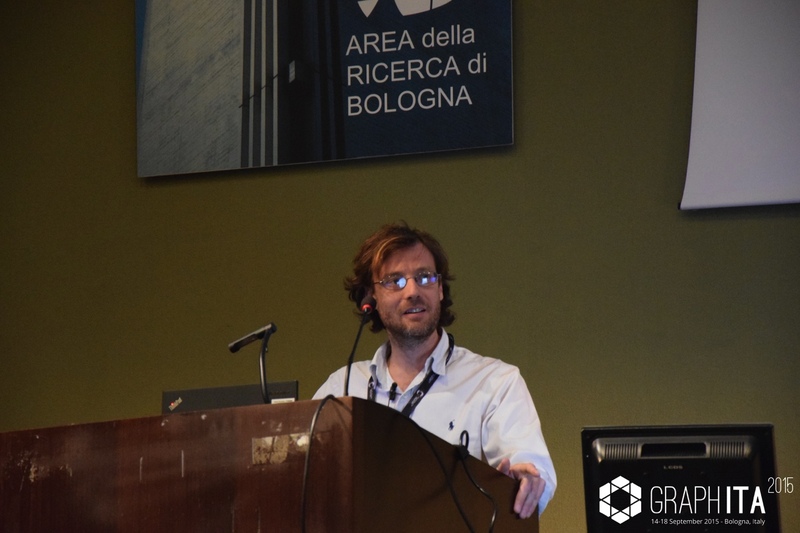 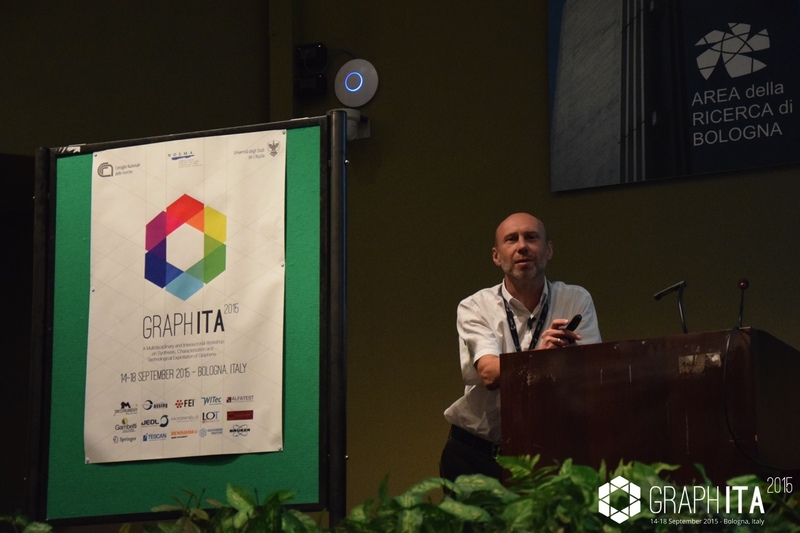 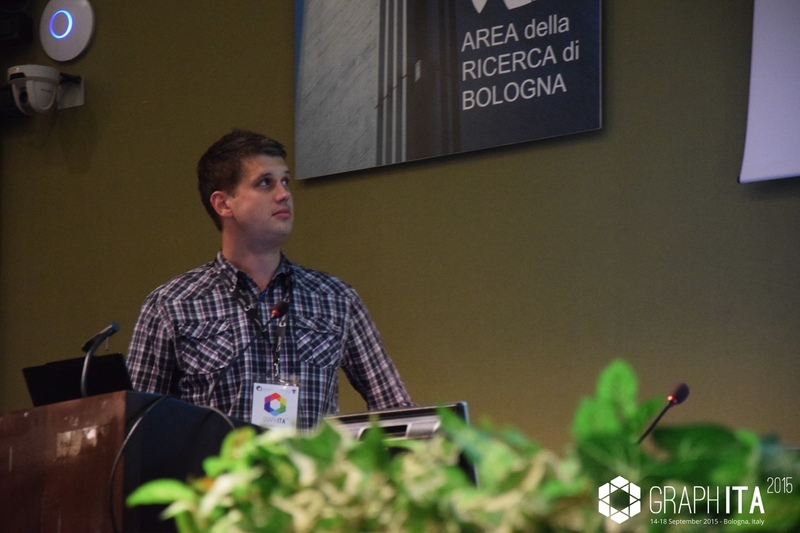 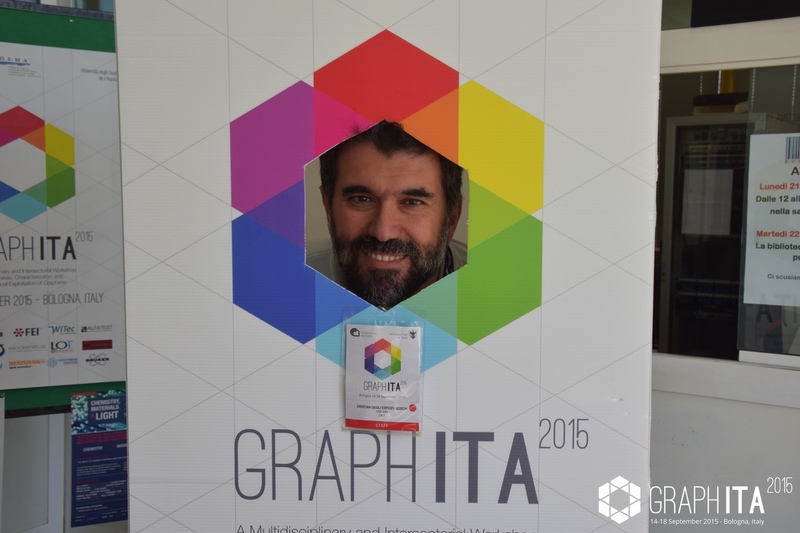 The fourth edition of the GraphX conference series, once again "GraphITA", will take place in Bologna (September 14-18 2015). 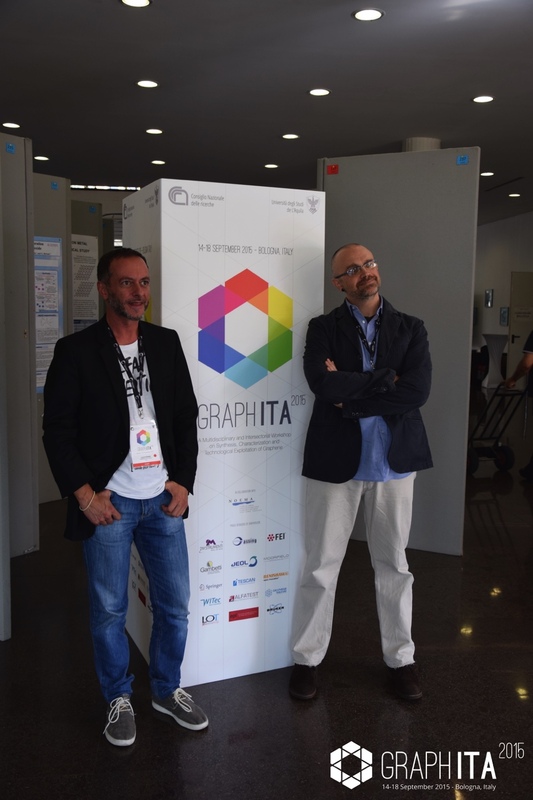 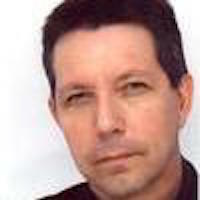 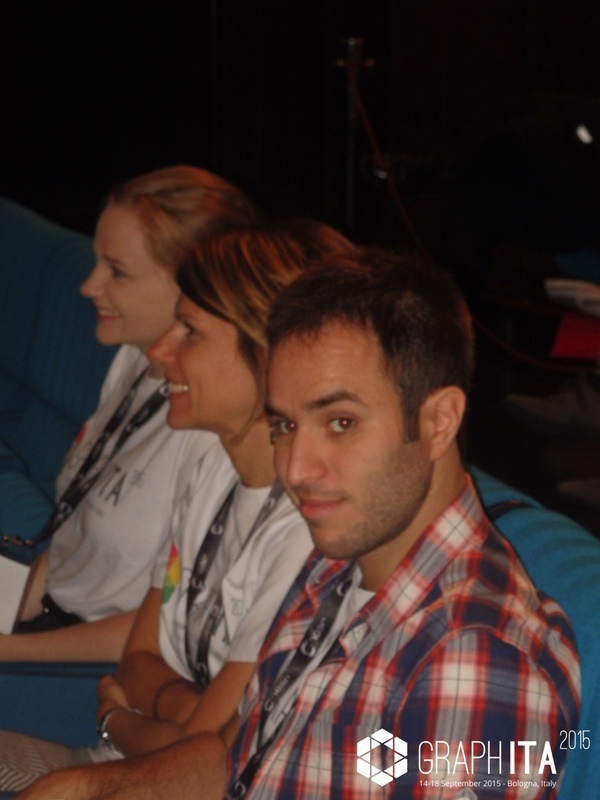 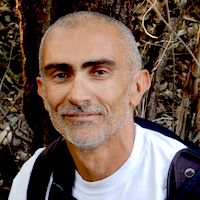 GraphITA 2015 will follow three previous successful events: GRAPHEsp2014 (Lanzarote Spain), GrapHEL 2012 (Mikonos Greece), and GraphITA 2011 (L'Aquila, Italy). 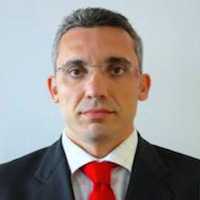 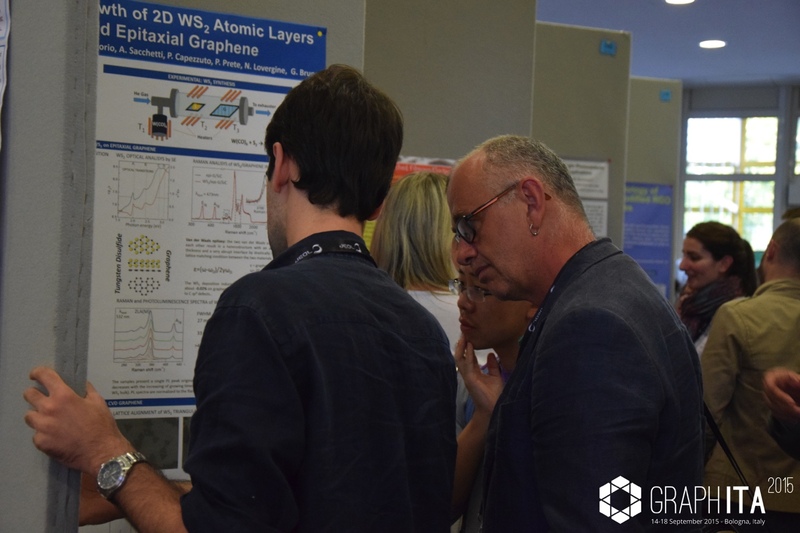 Since the seminal event of GraphITA 2011, graphene based research has witnessed an incredible expansion, which, for example, in Europe has culminated with the launch of the Graphene Flagship, one of the largest ever financed research initiative of the old continent. 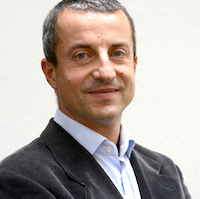 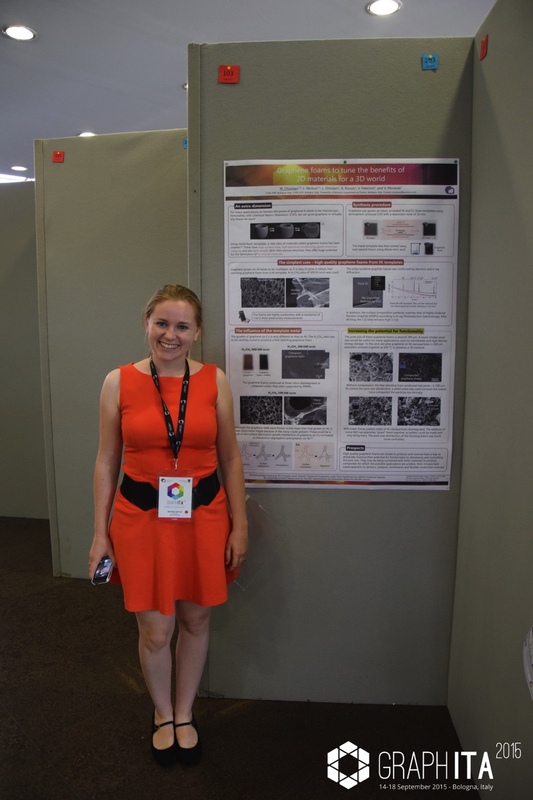 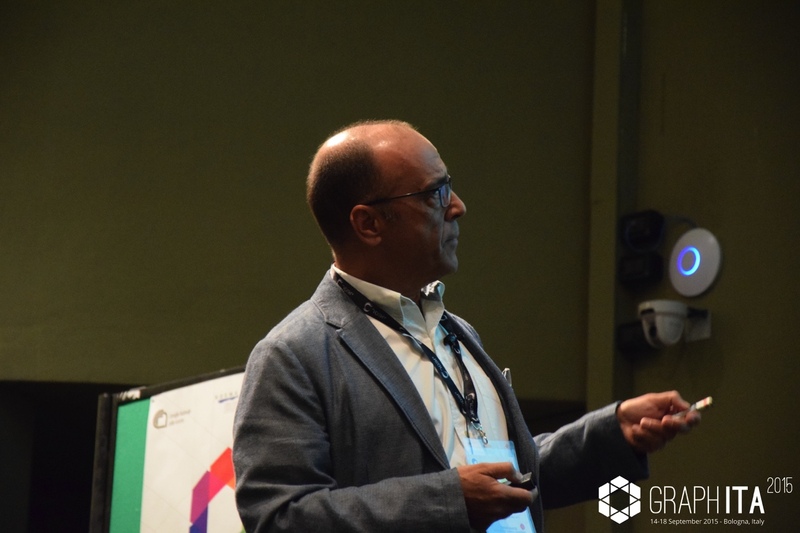 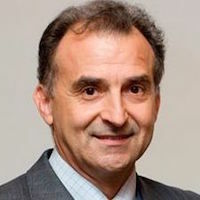 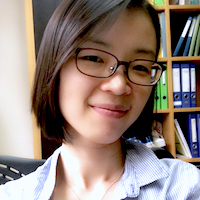 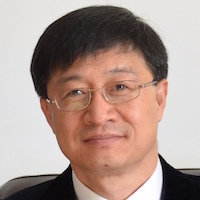 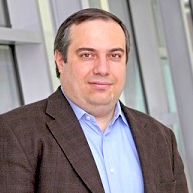 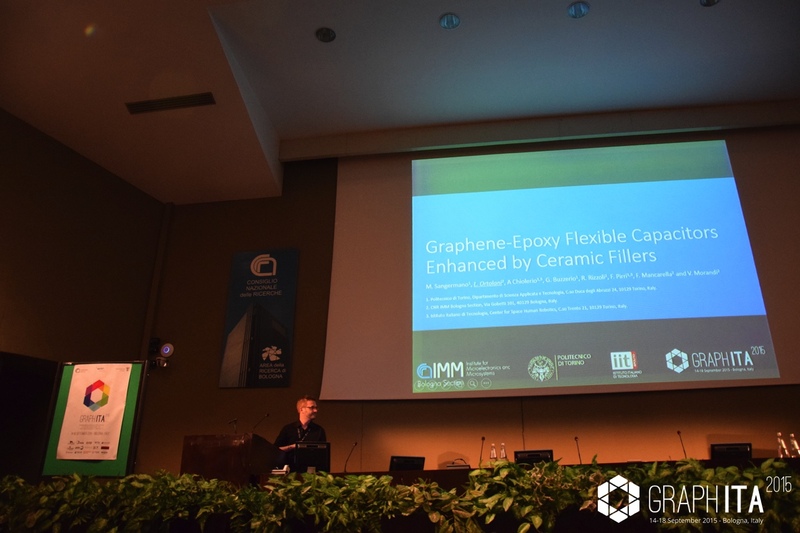 In particular, in the very last years, not only graphene but a wide class of 2D materials beyond graphene (Silicene, BN, MoS2) were attracting the interest of both research institutions and private stakeholders. 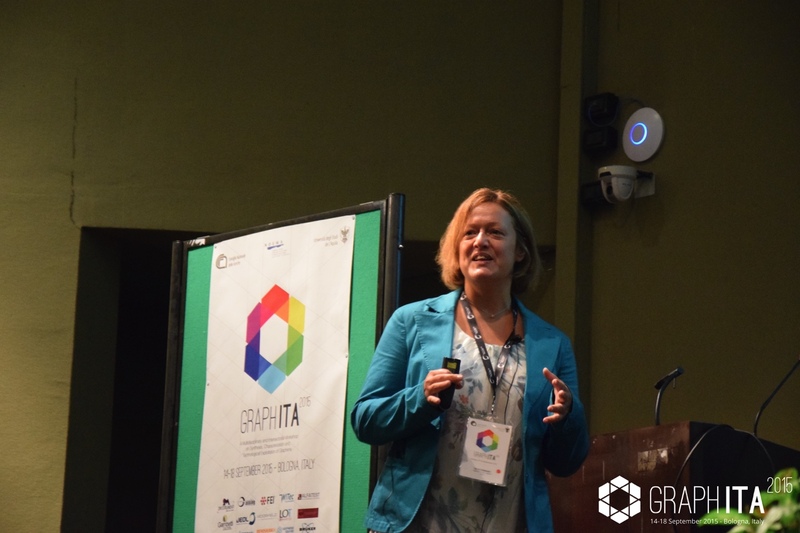 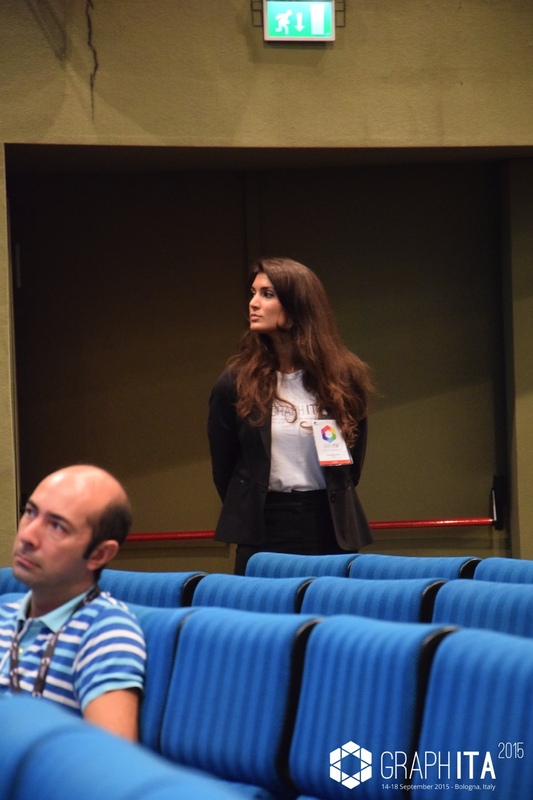 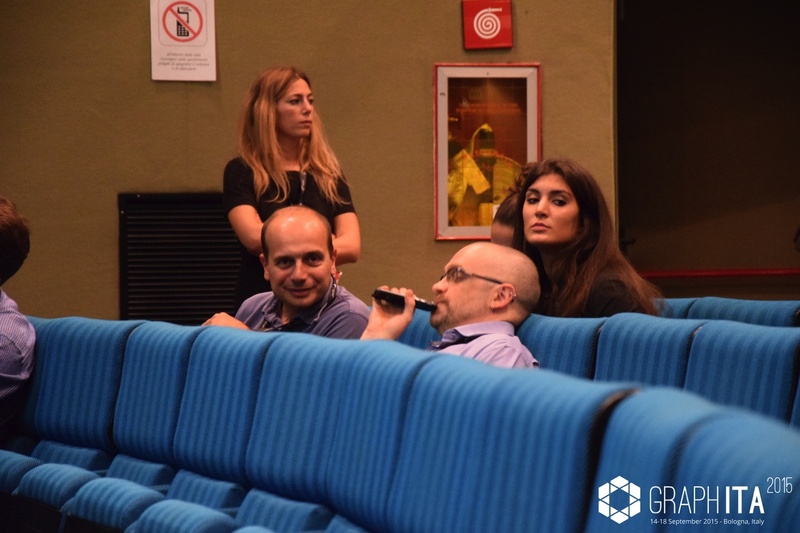 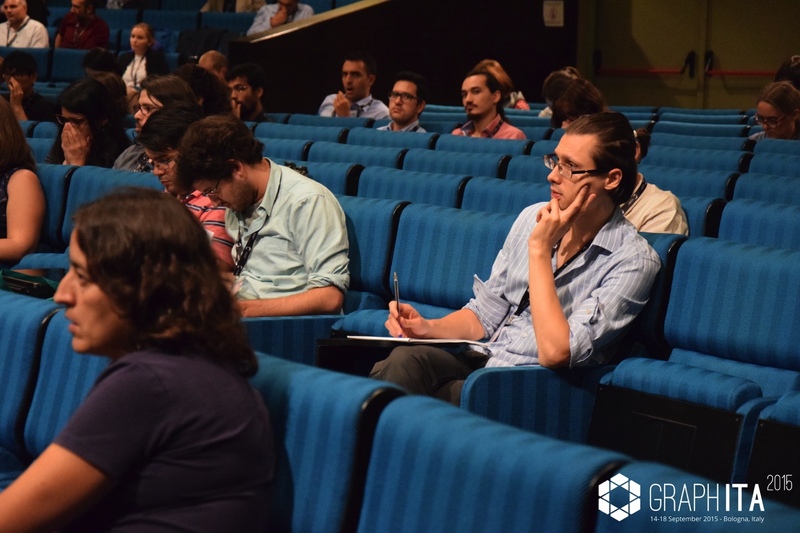 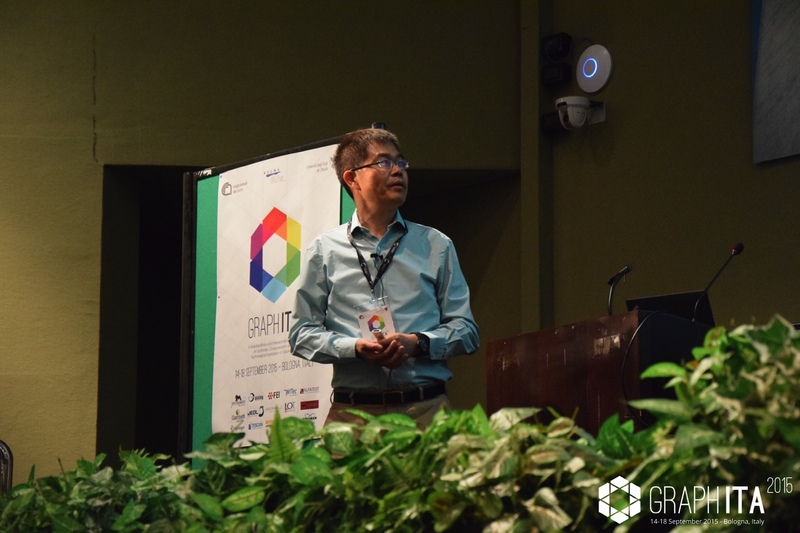 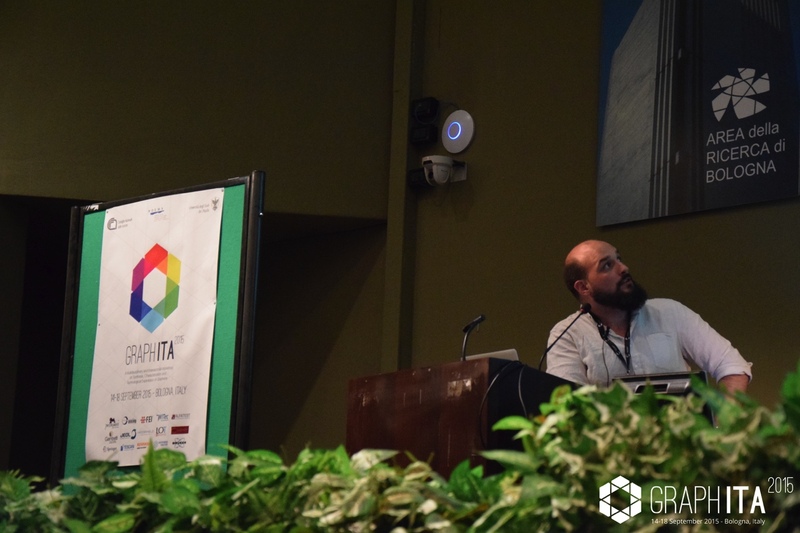 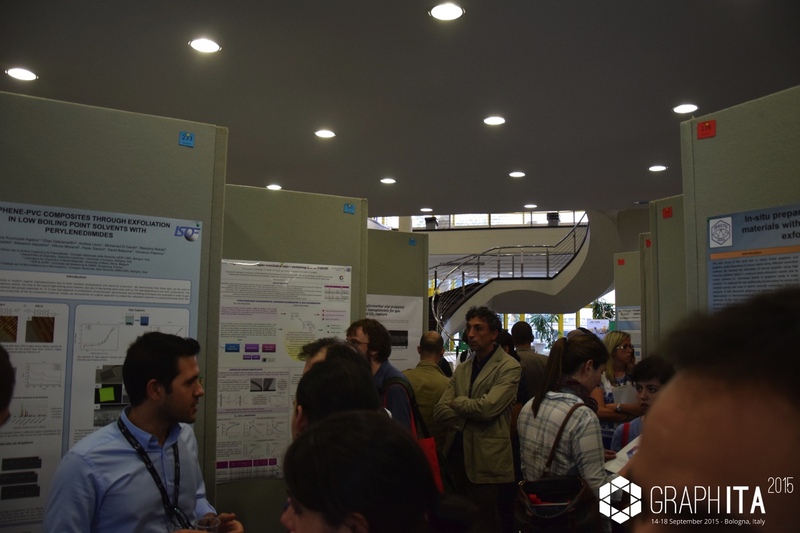 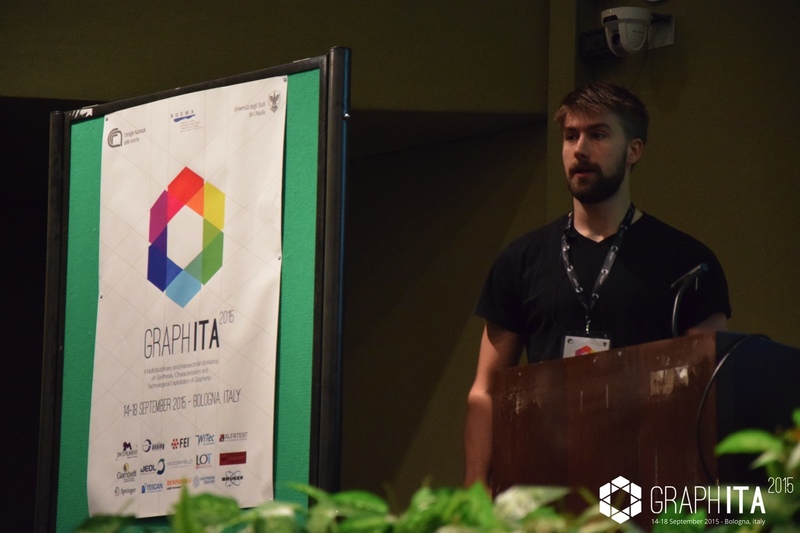 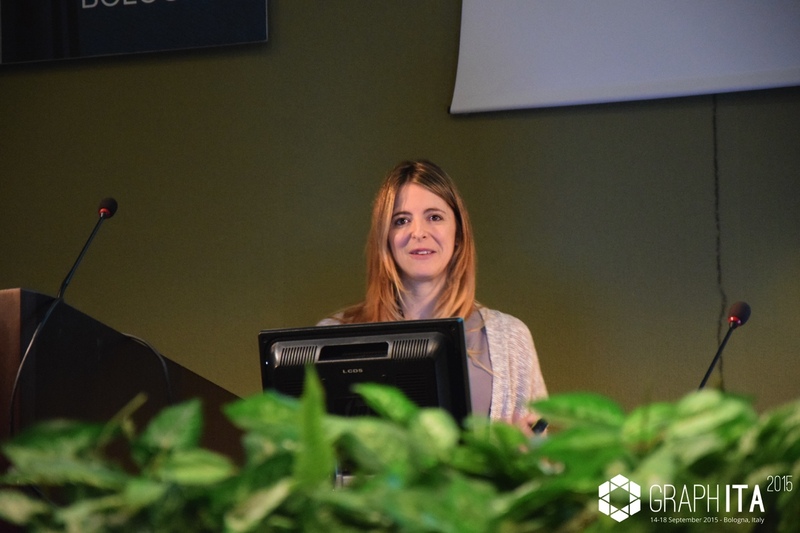 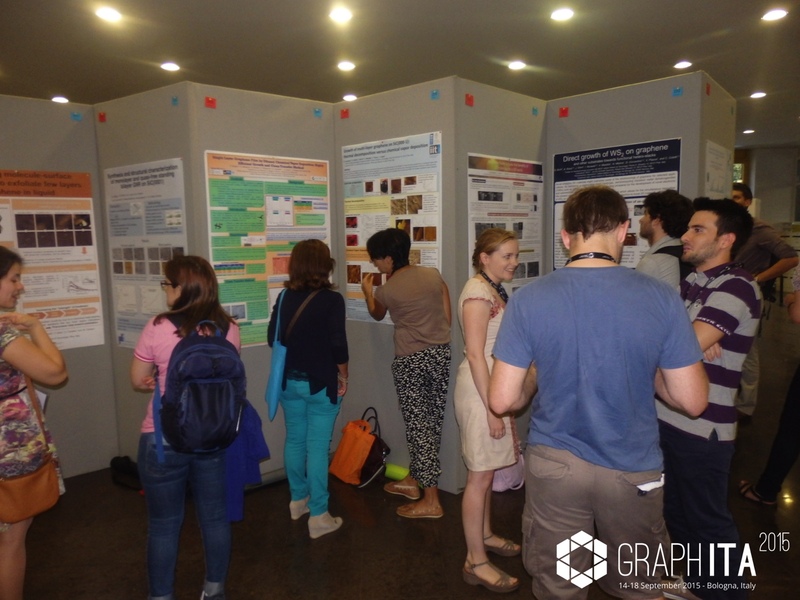 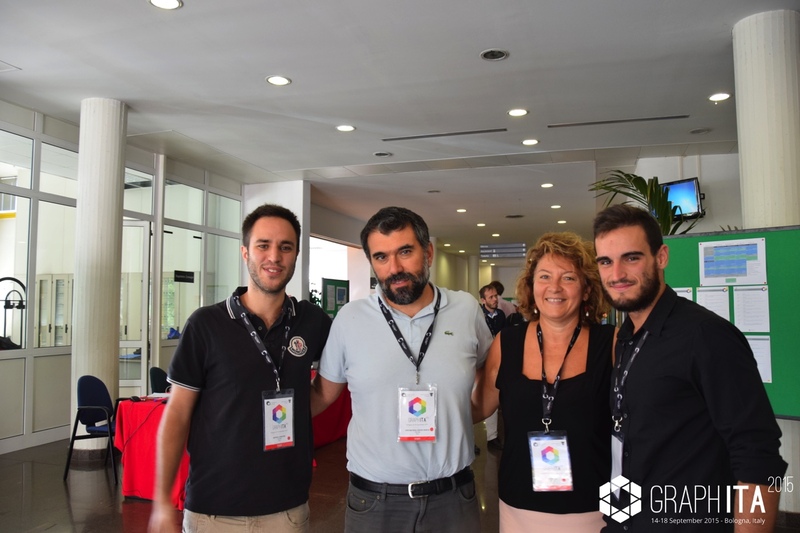 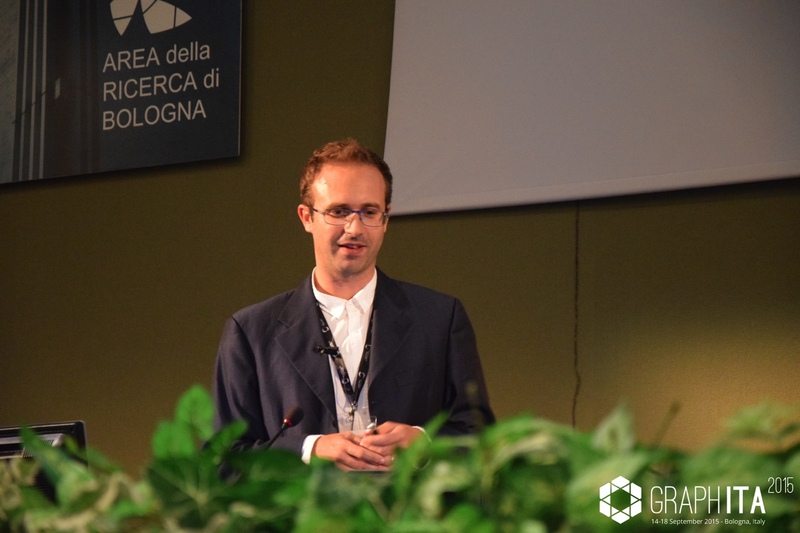 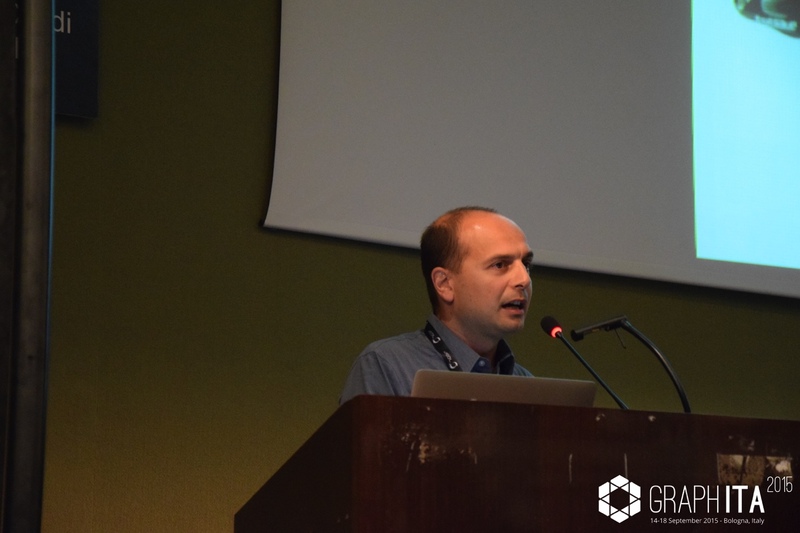 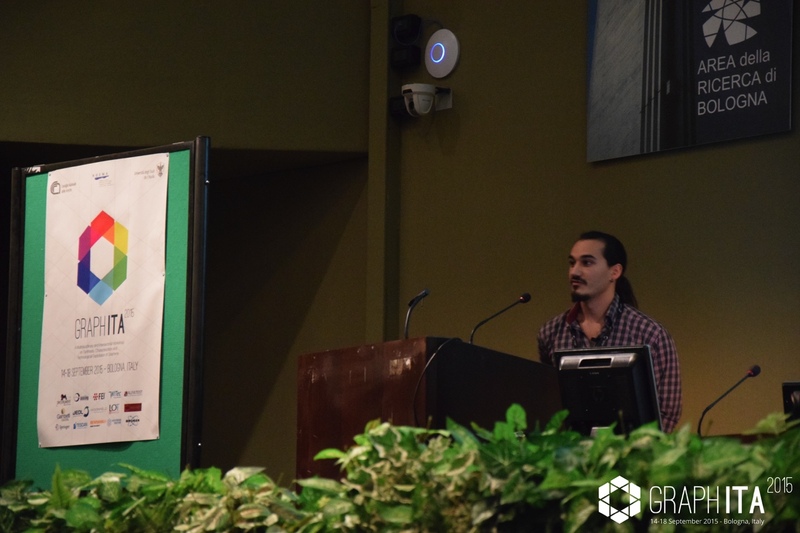 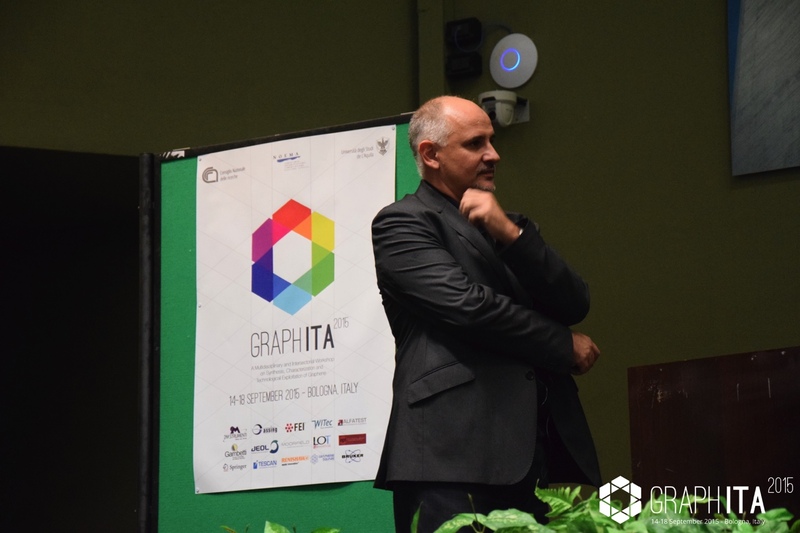 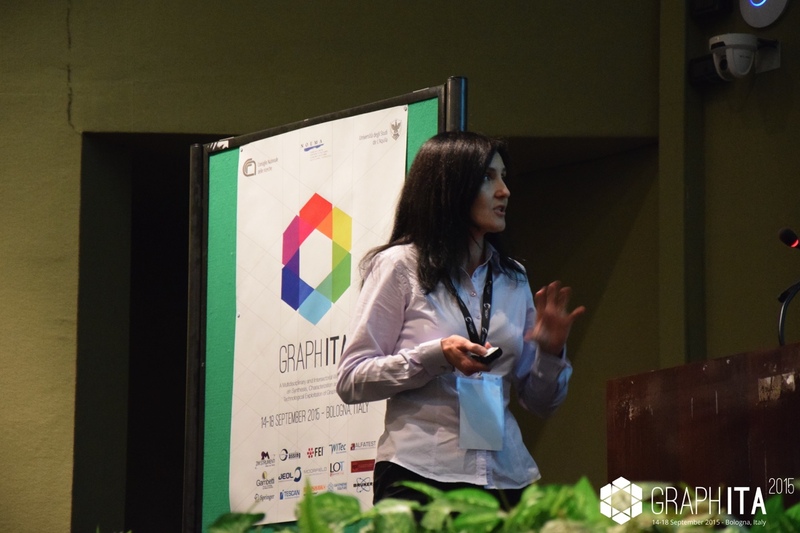 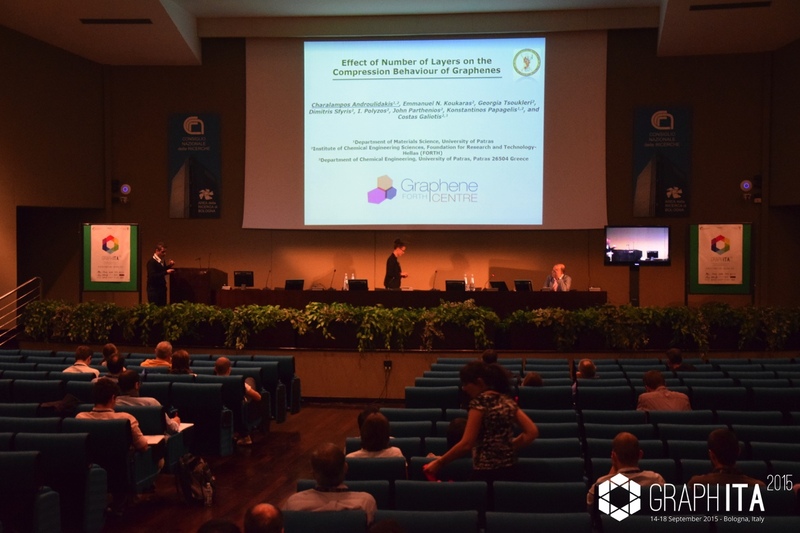 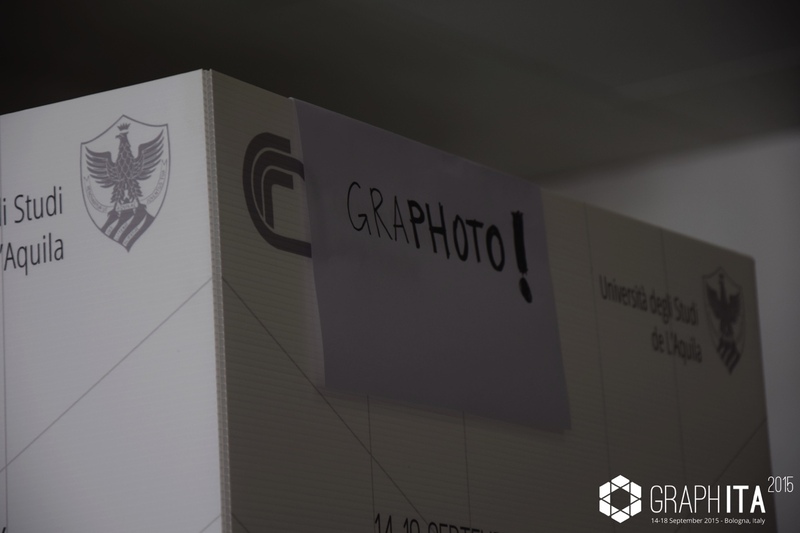 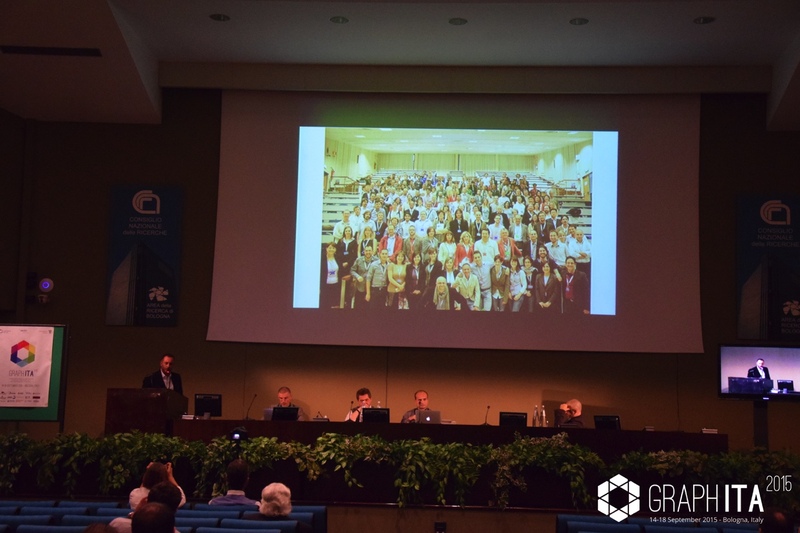 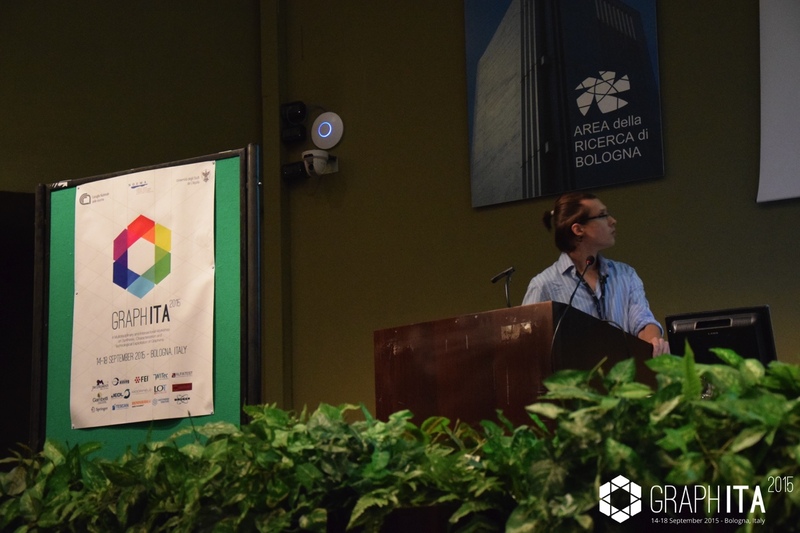 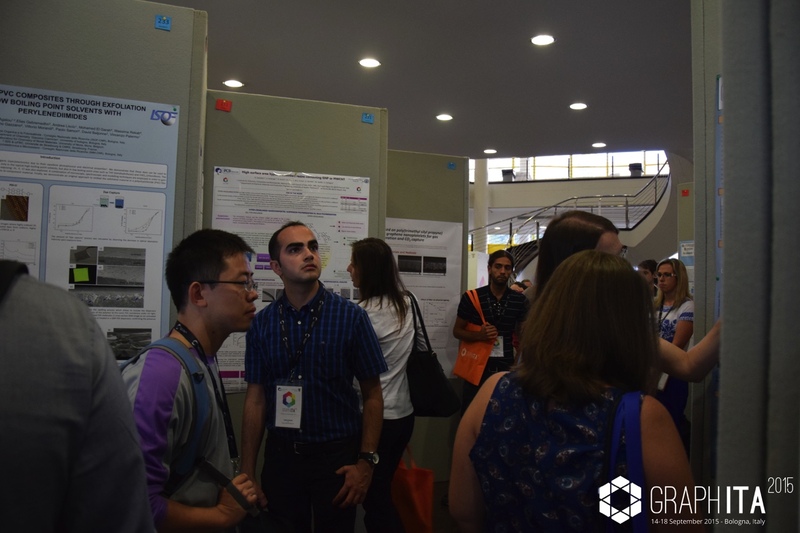 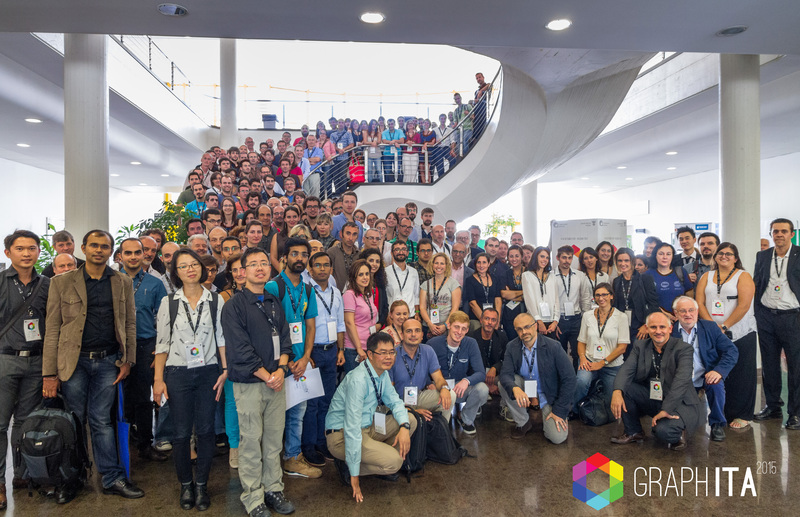 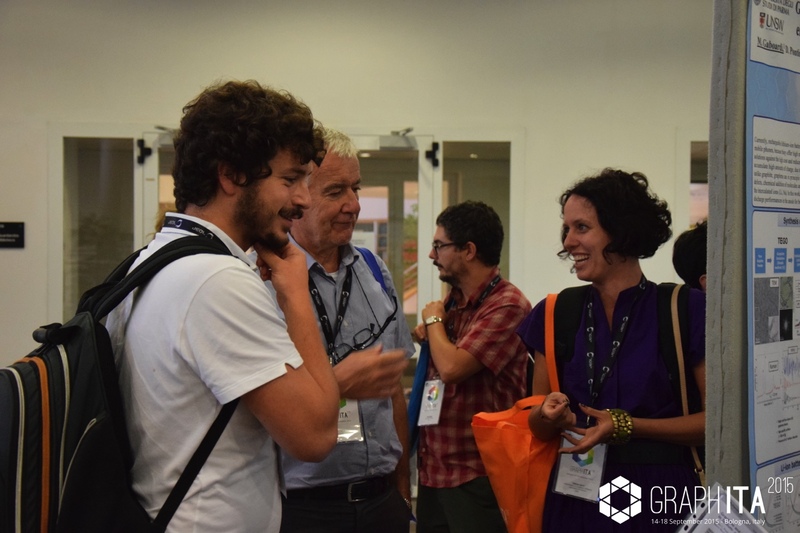 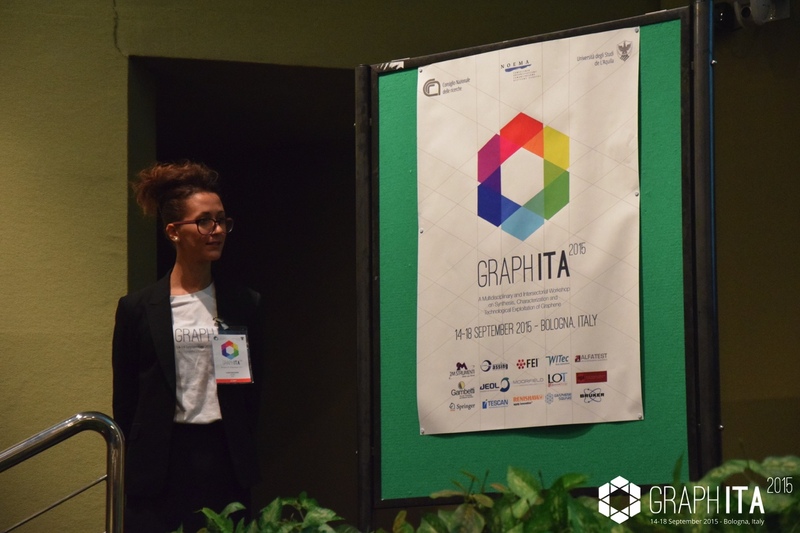 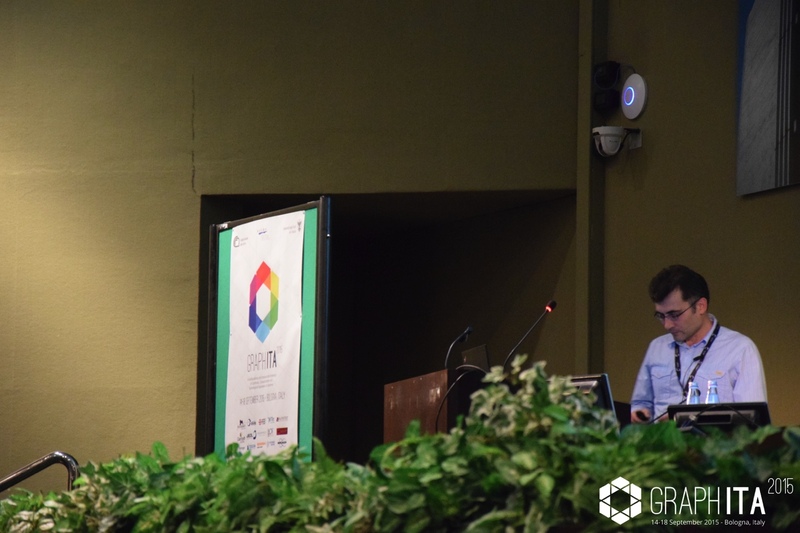 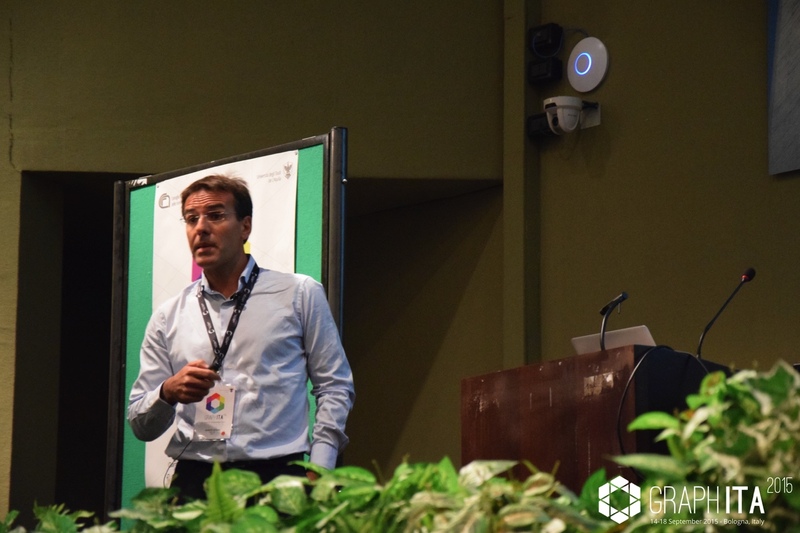 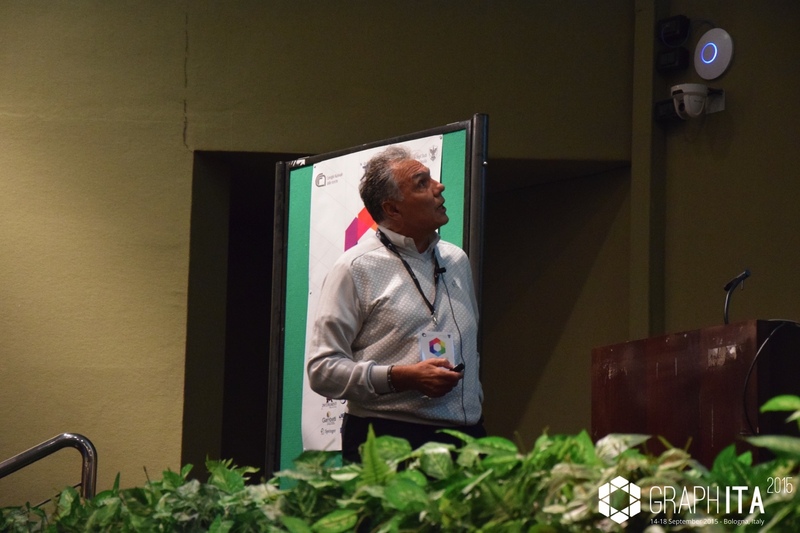 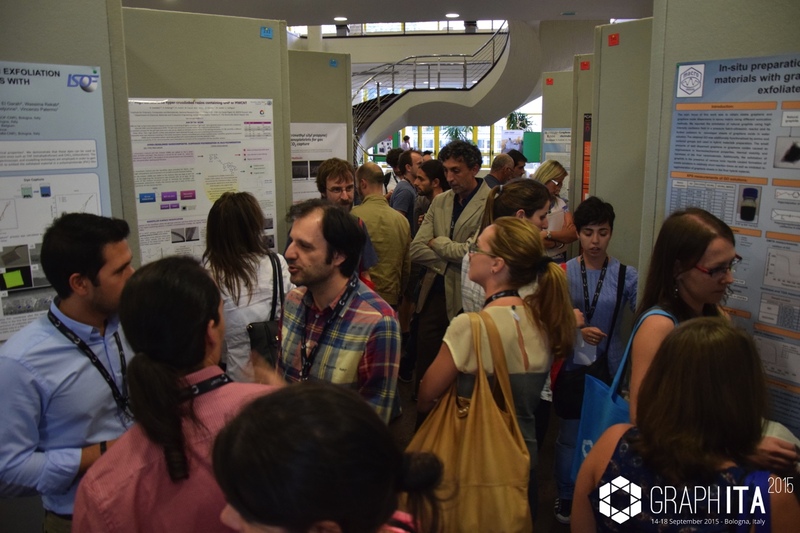 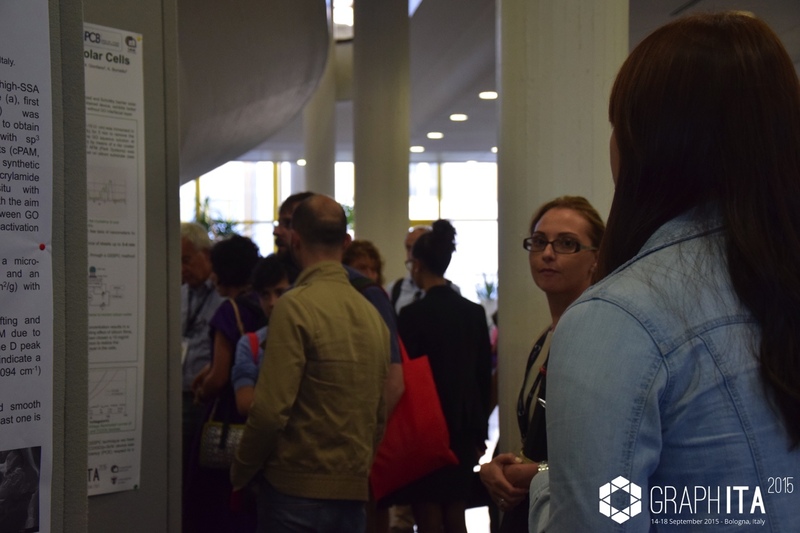 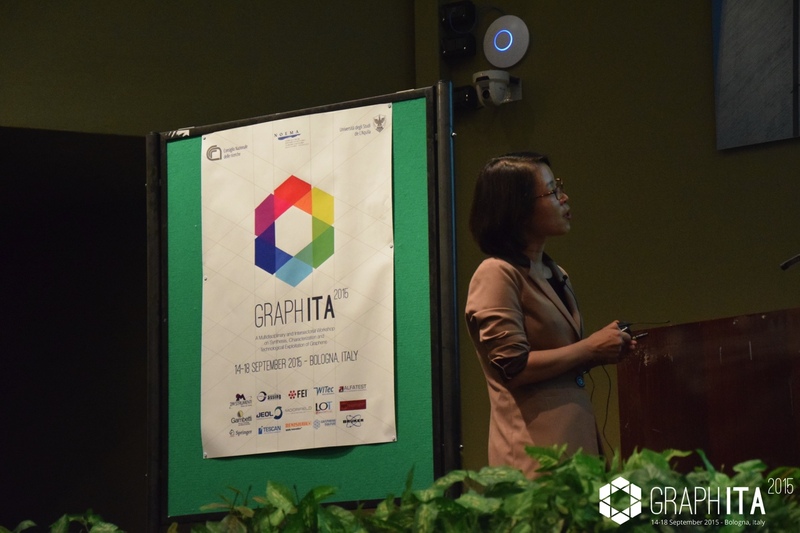 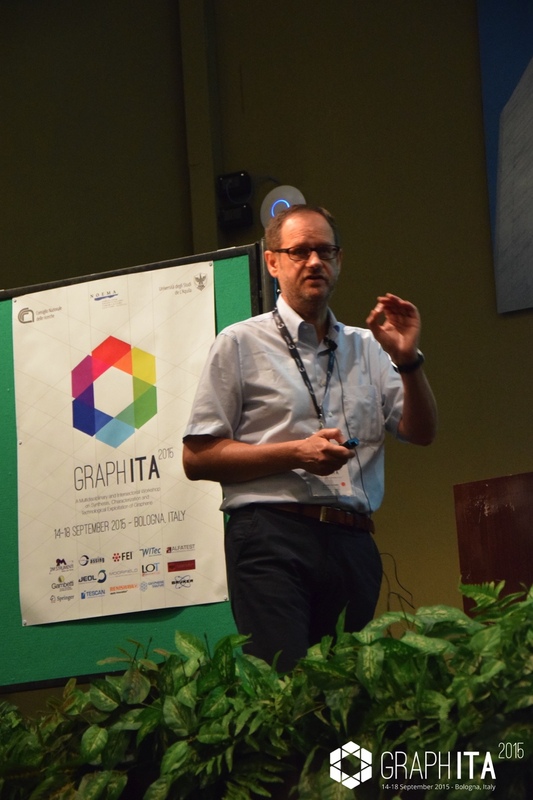 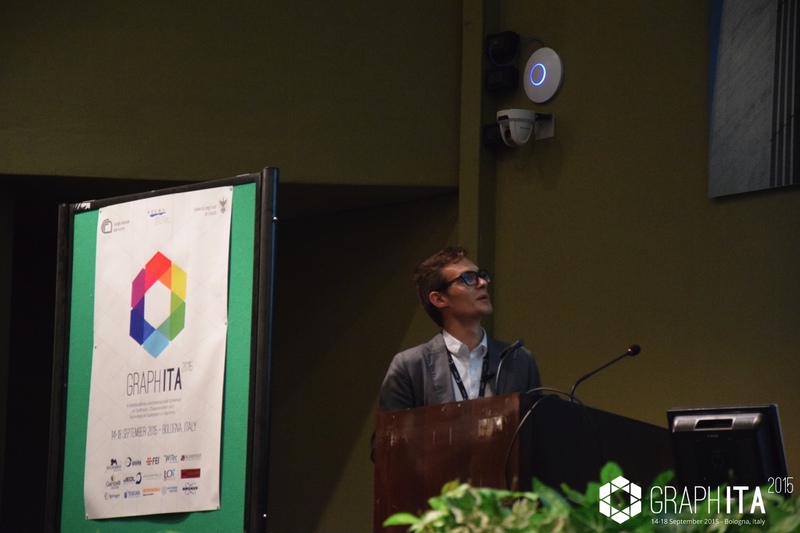 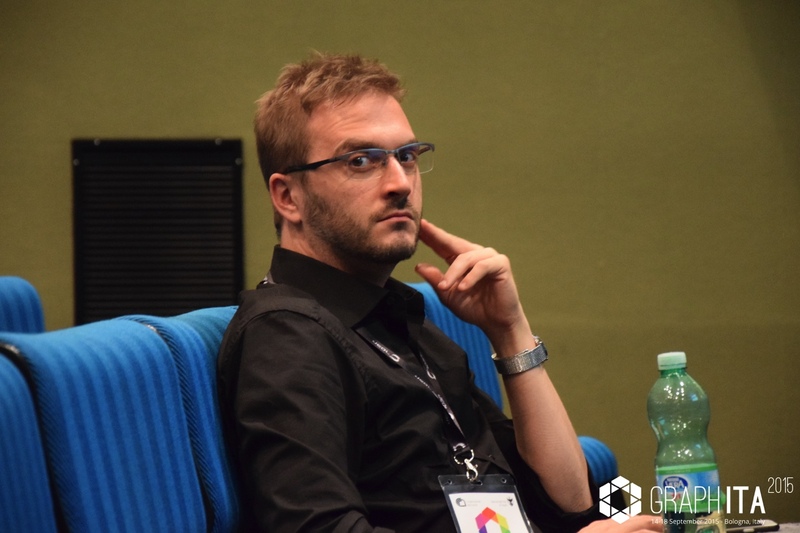 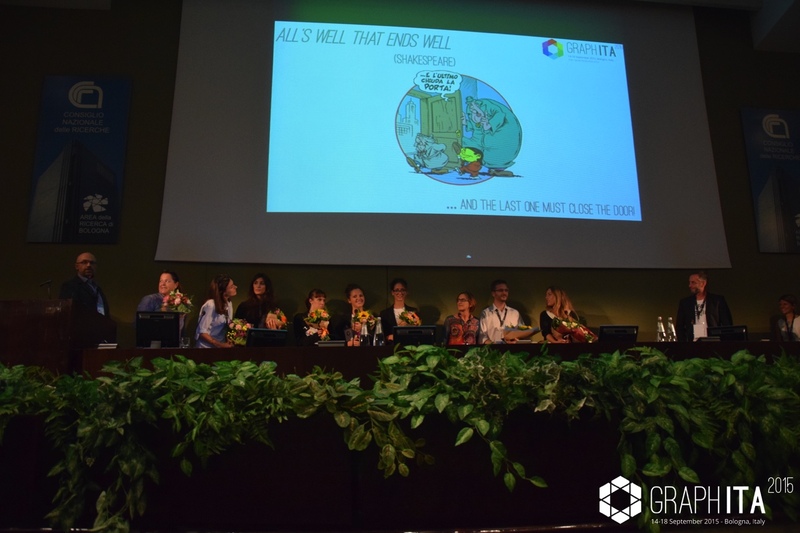 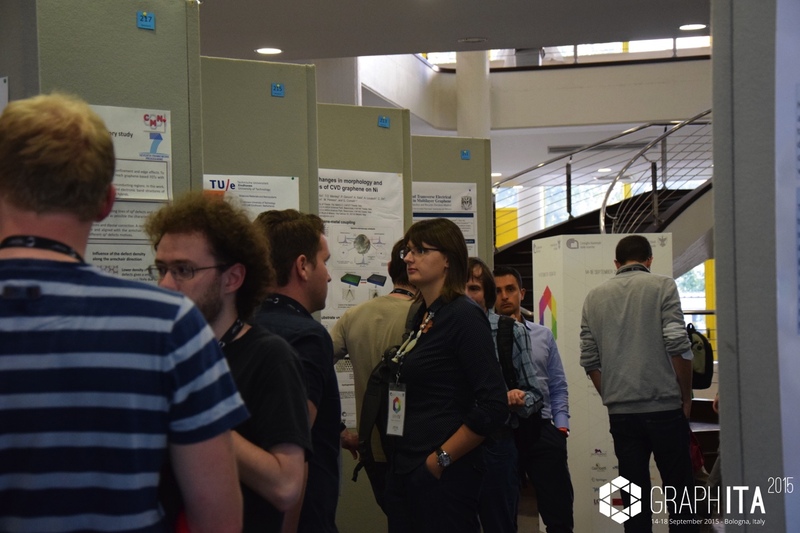 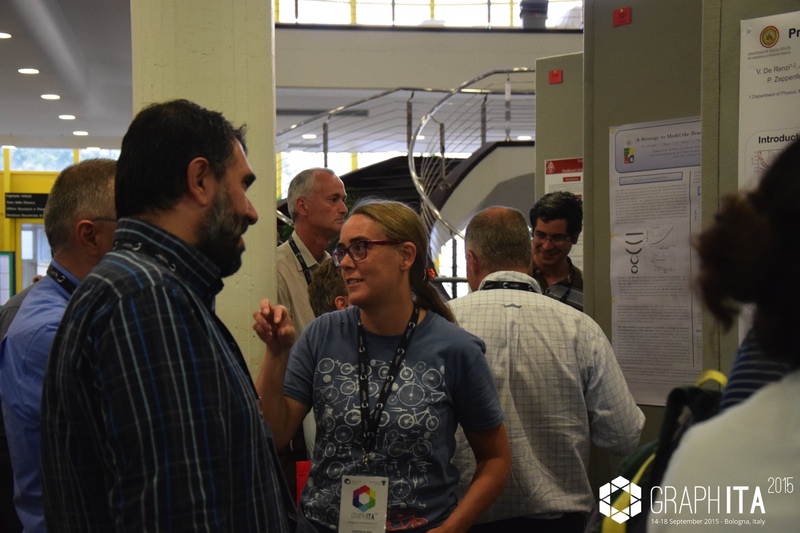 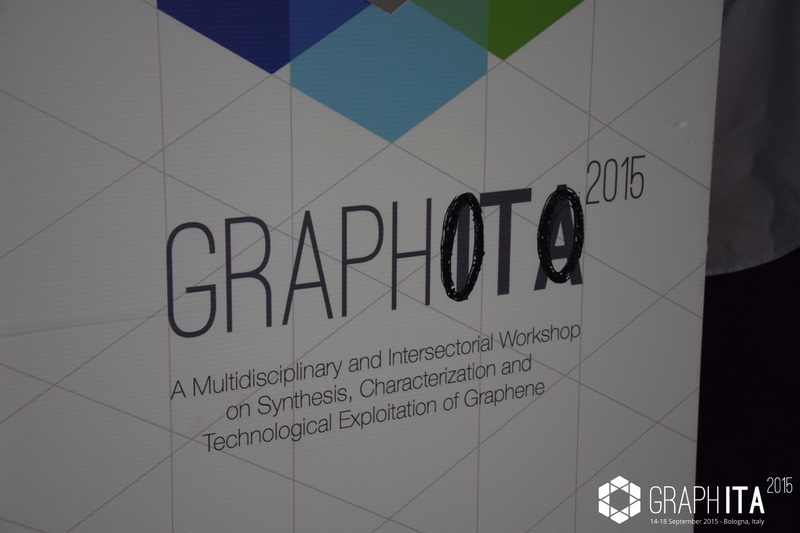 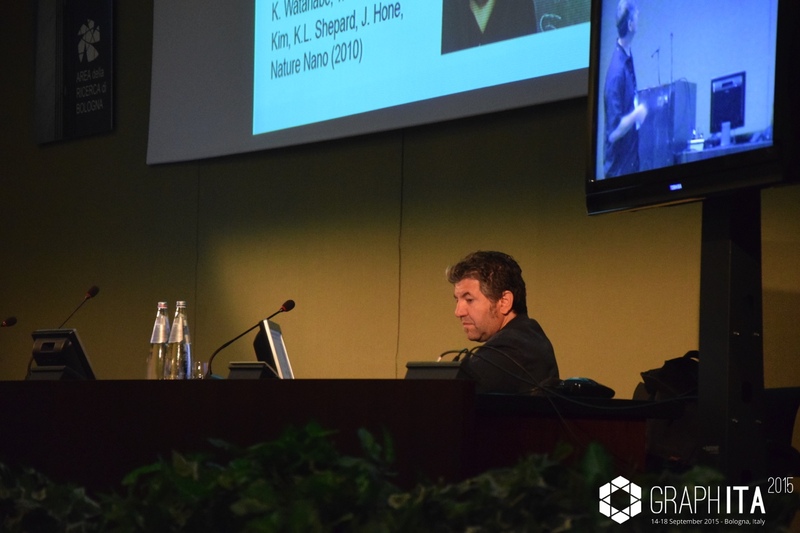 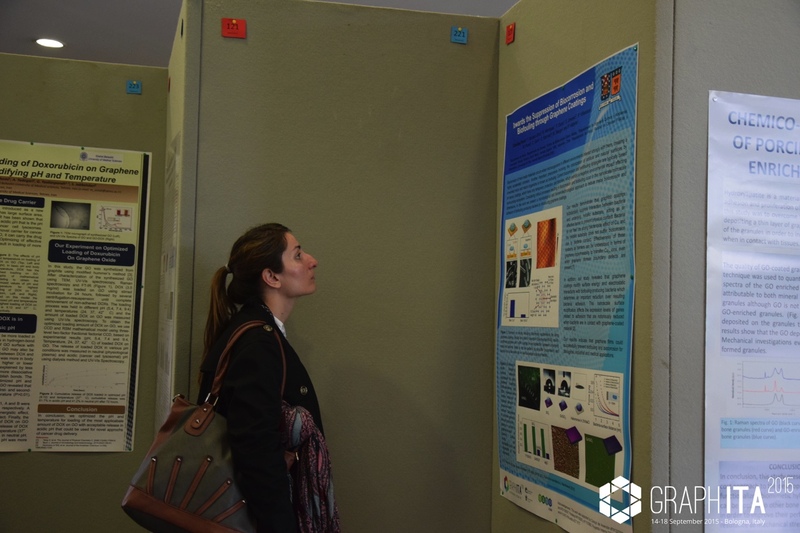 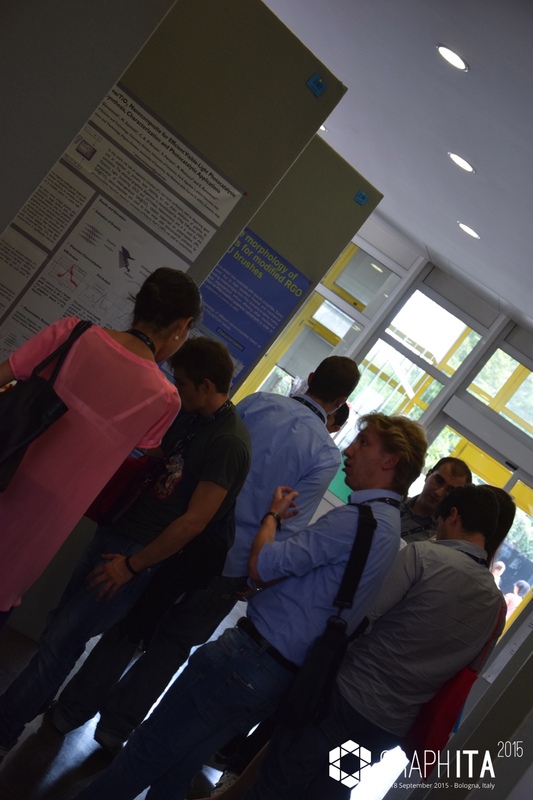 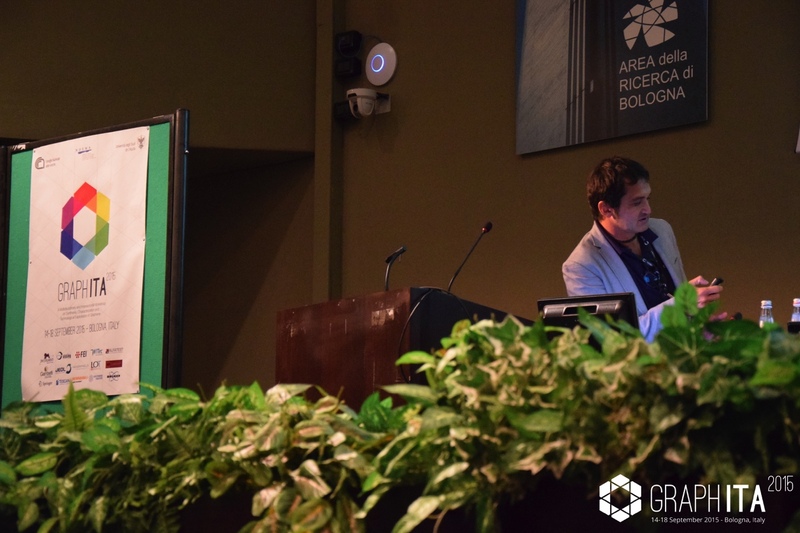 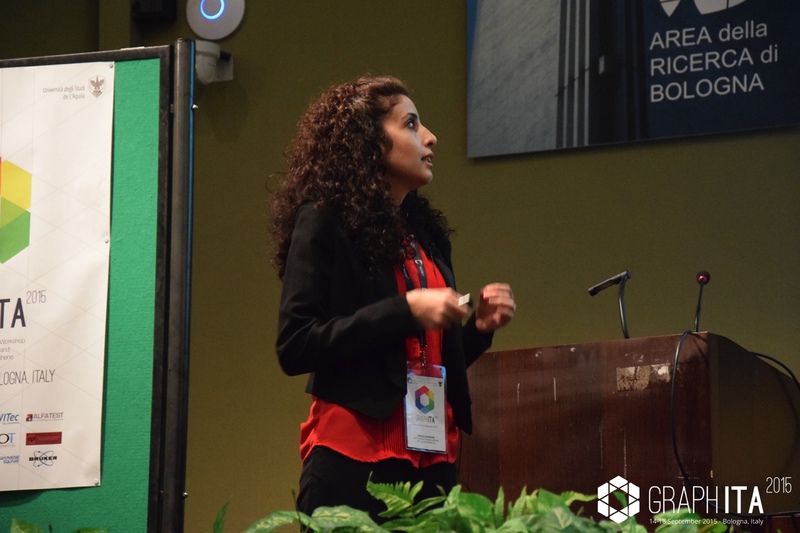 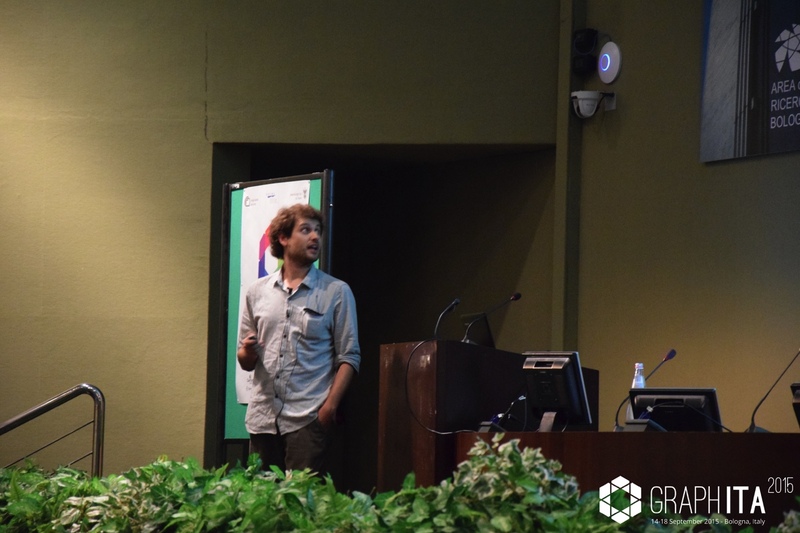 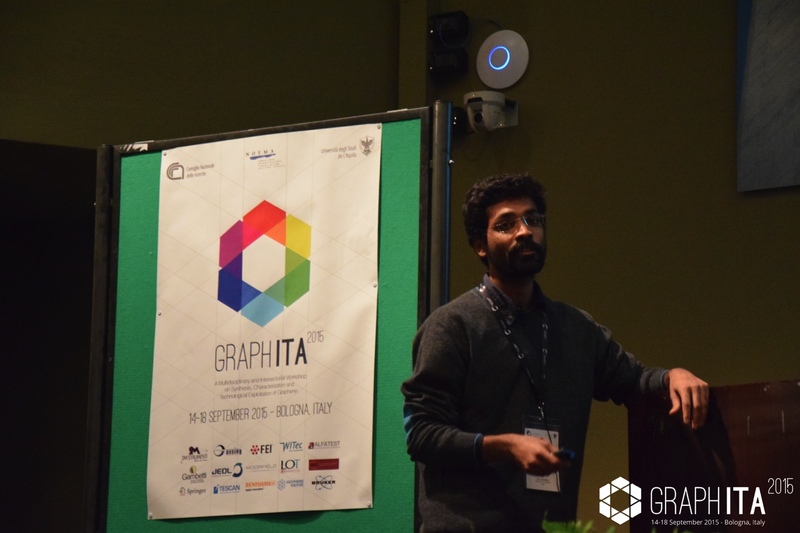 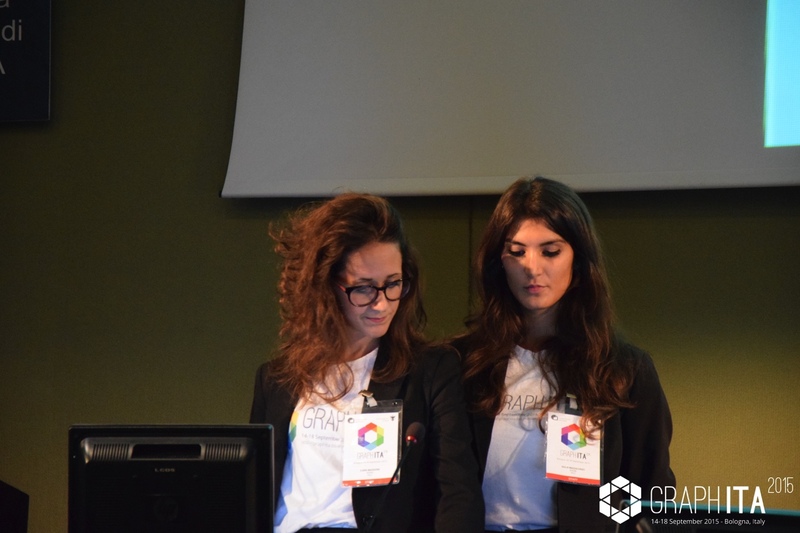 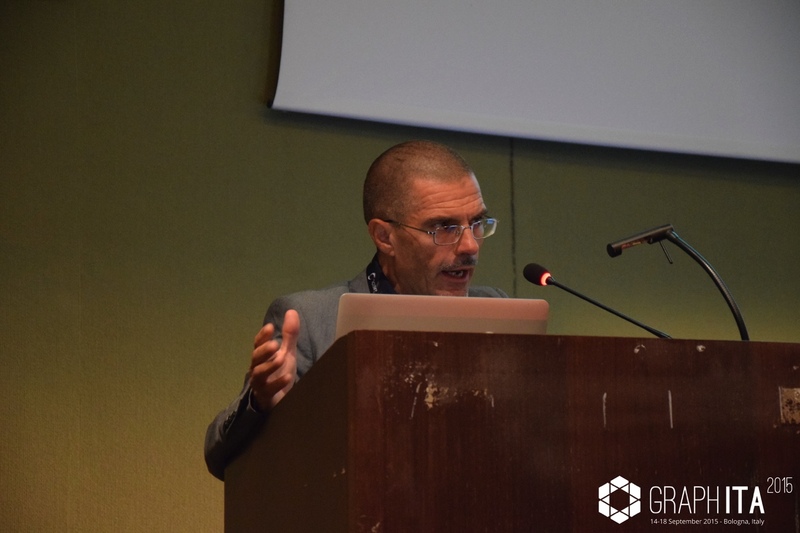 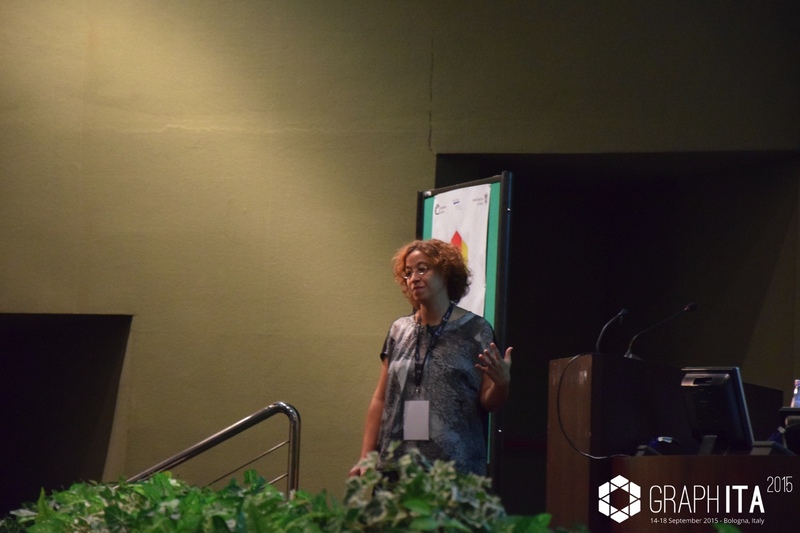 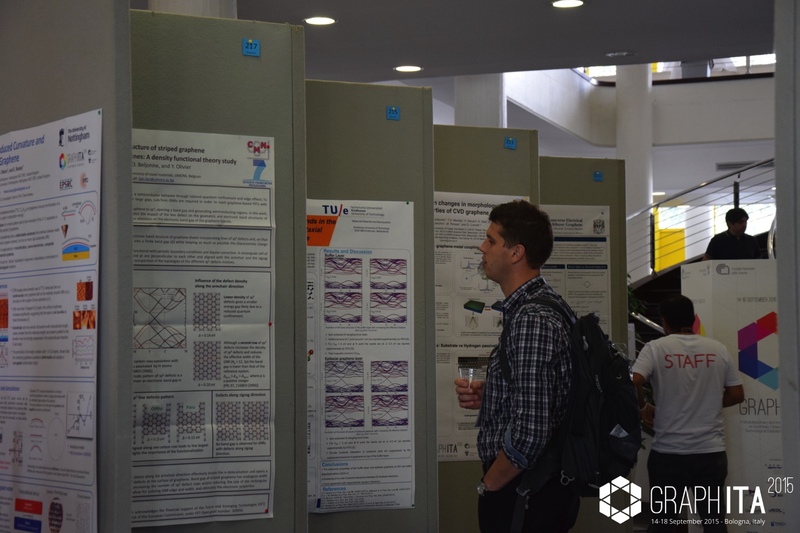 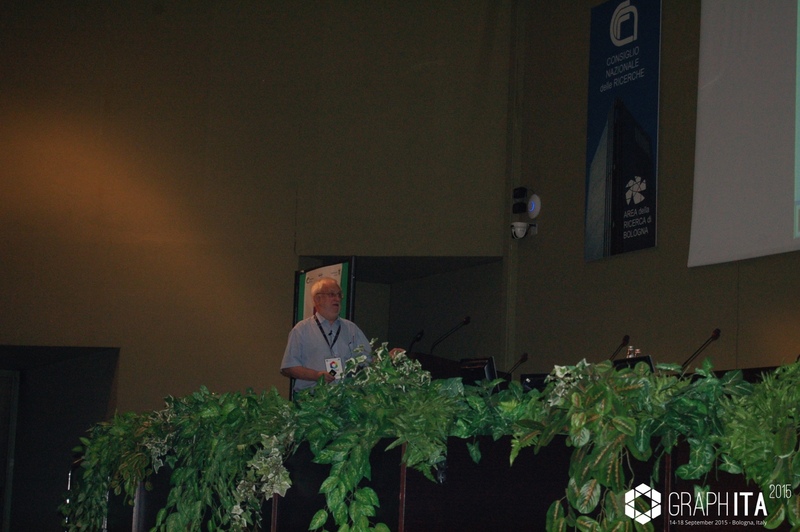 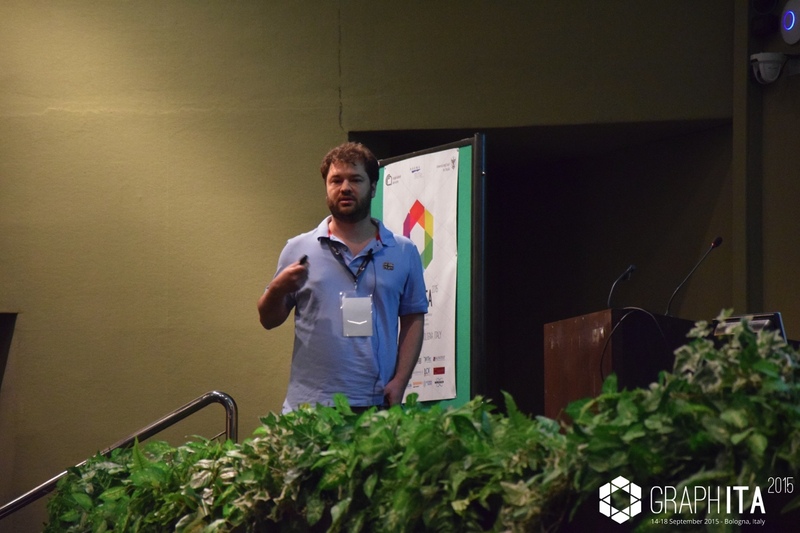 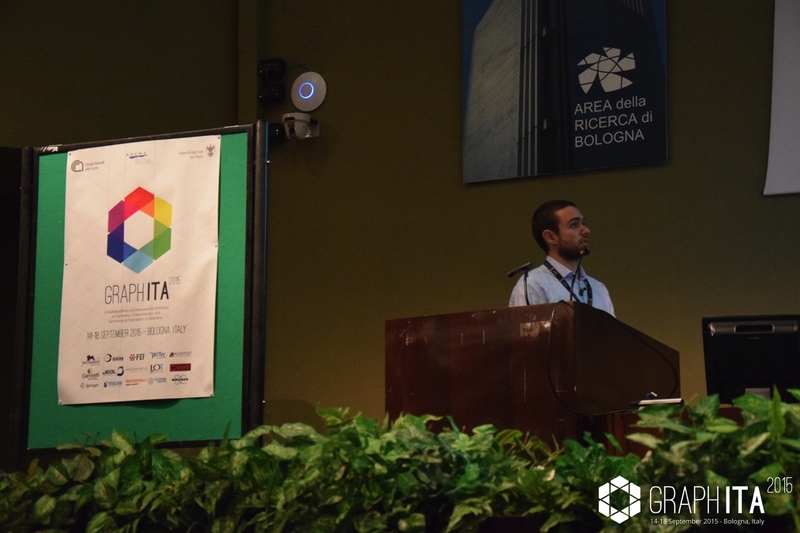 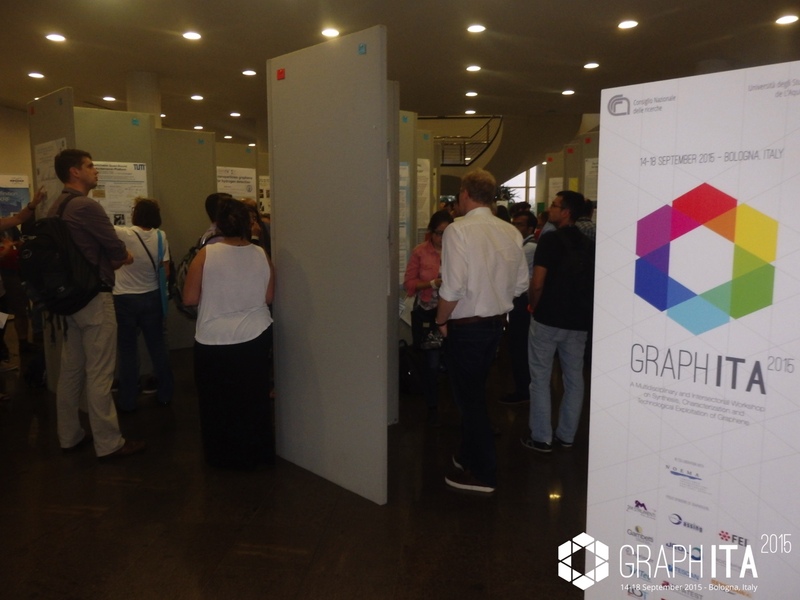 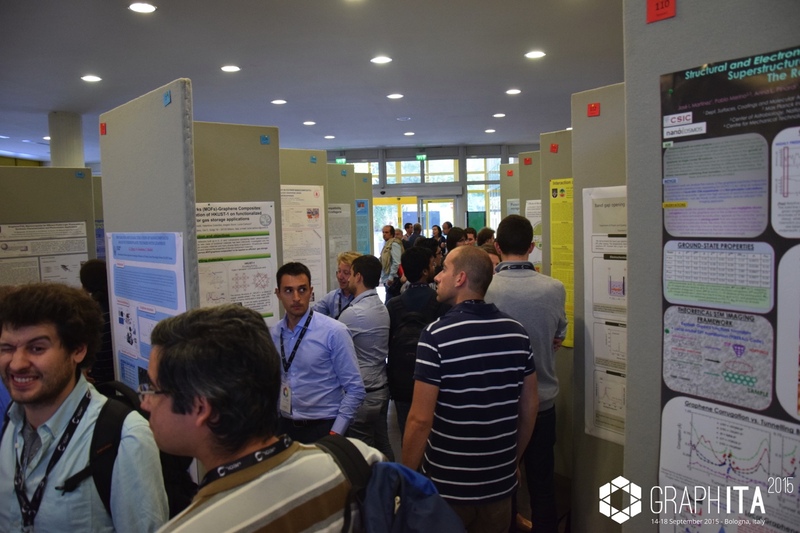 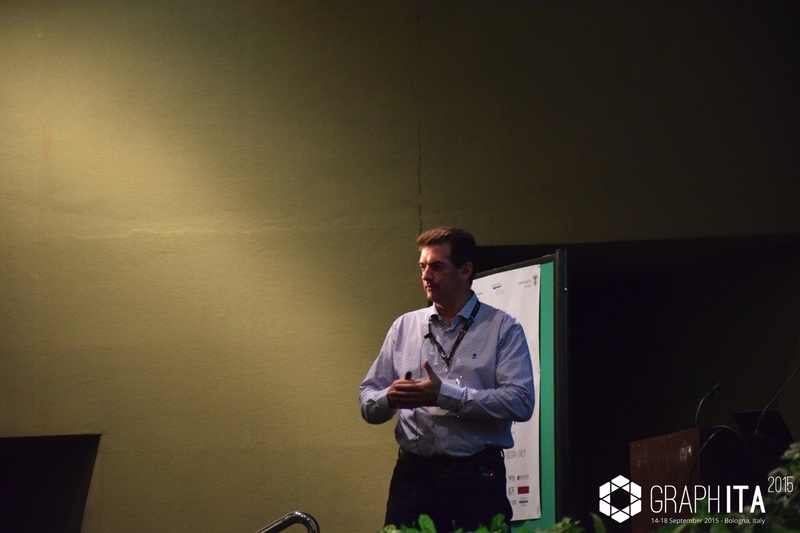 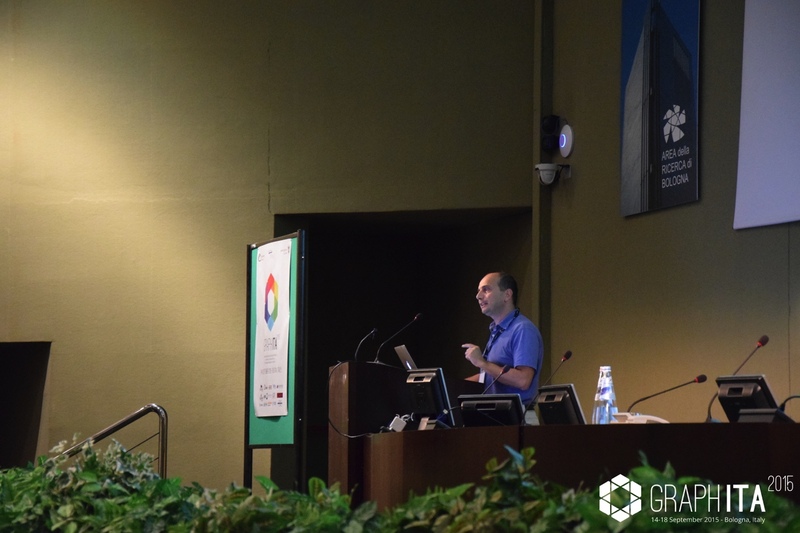 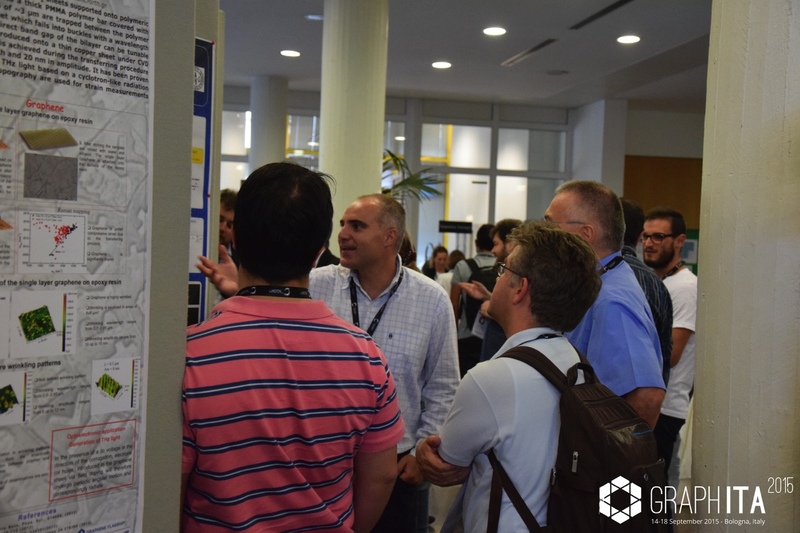 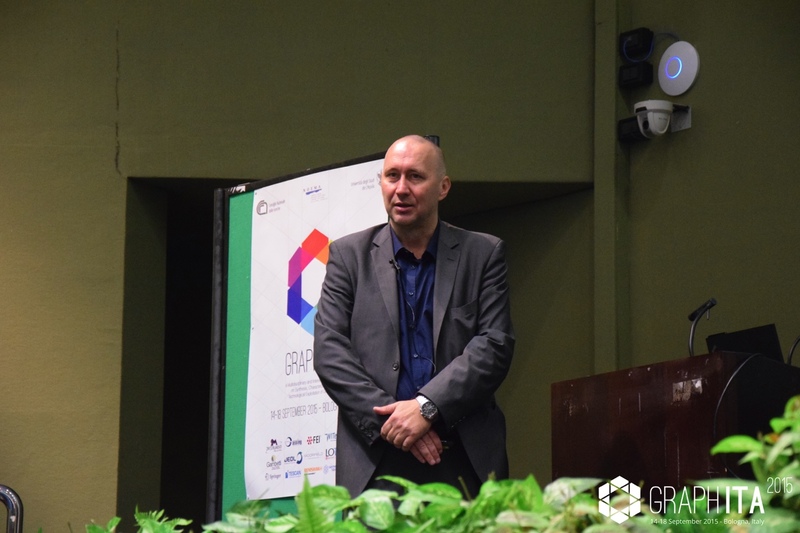 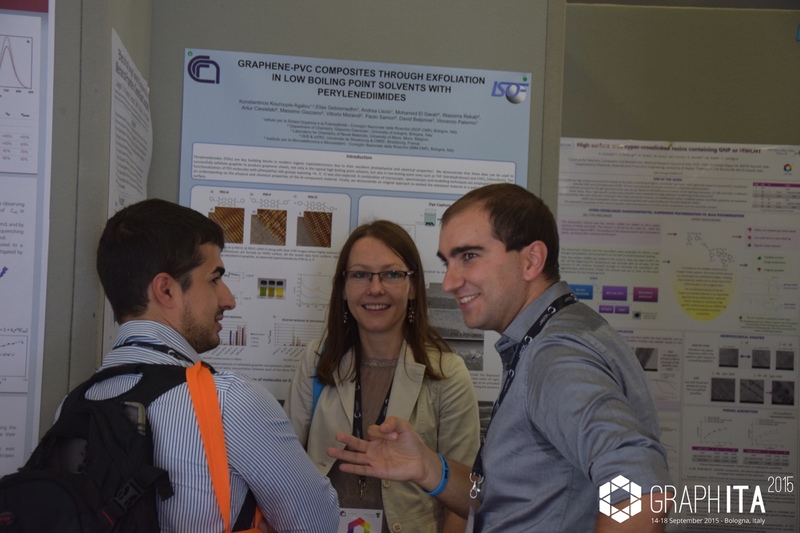 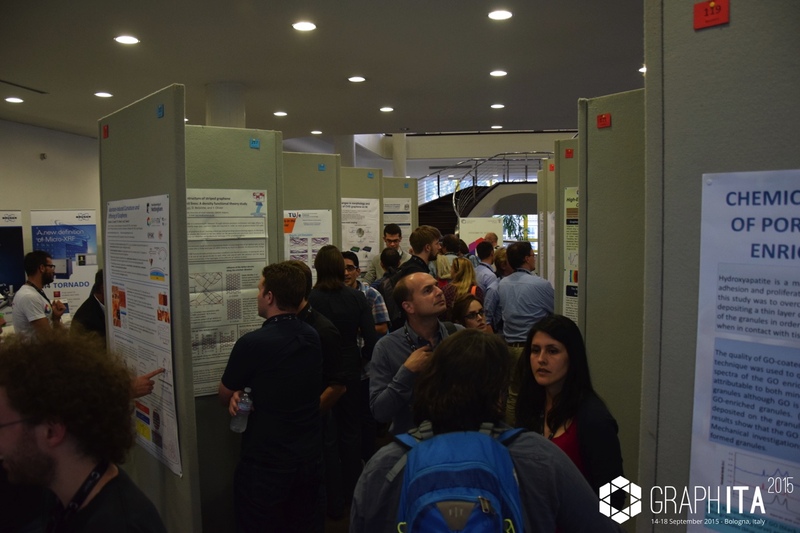 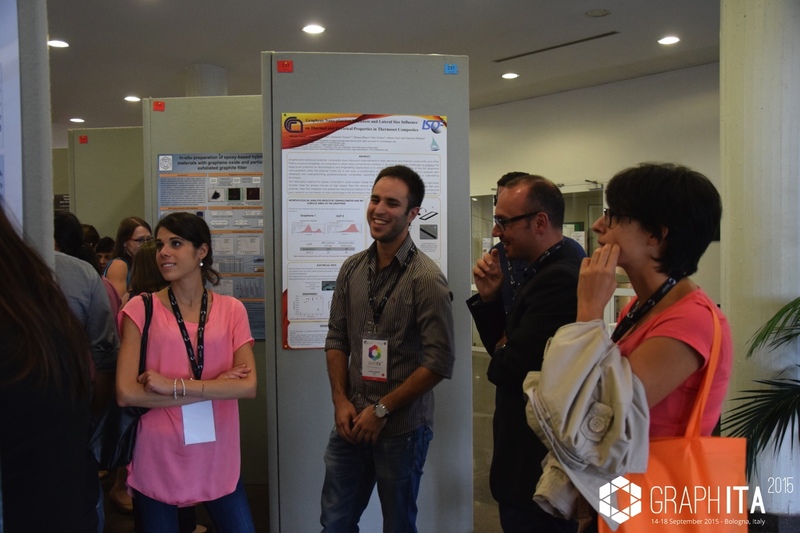 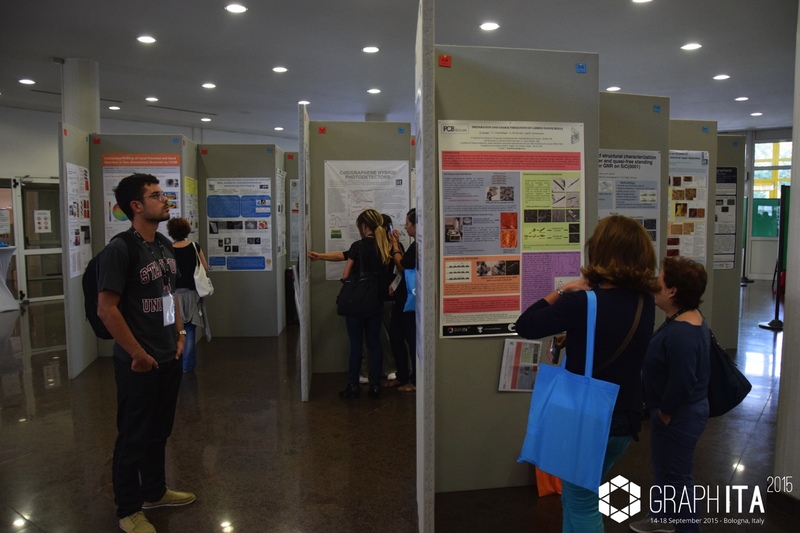 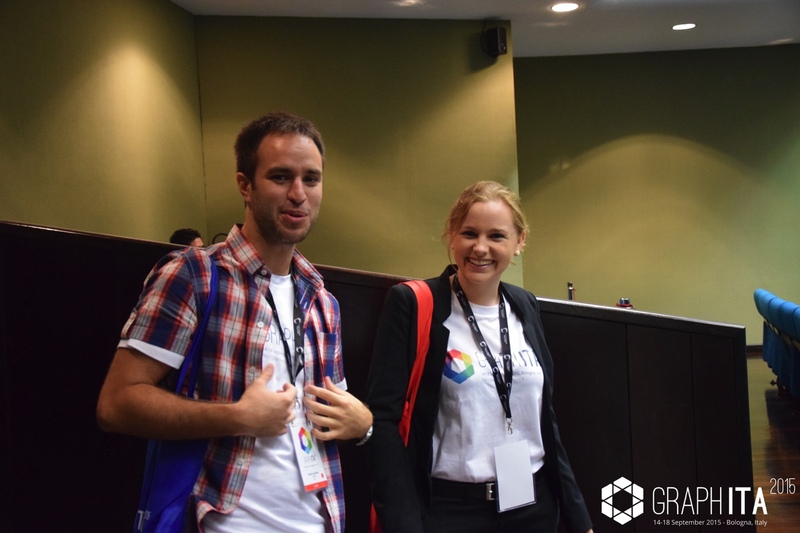 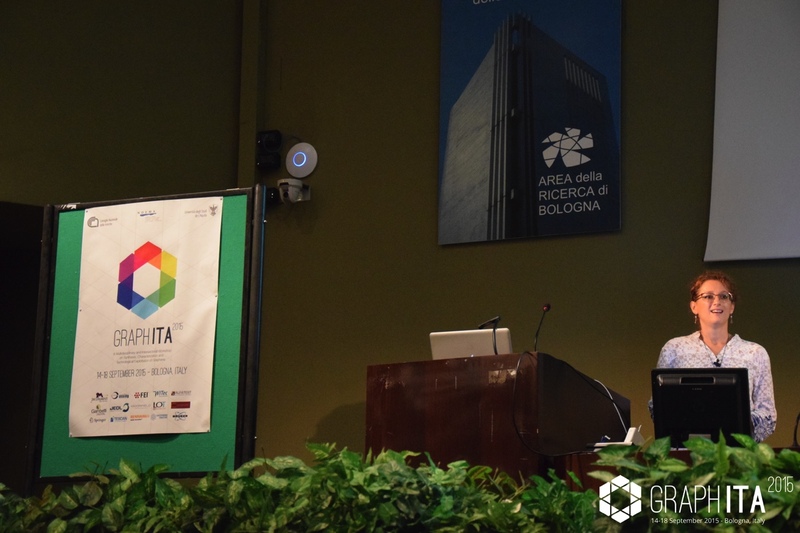 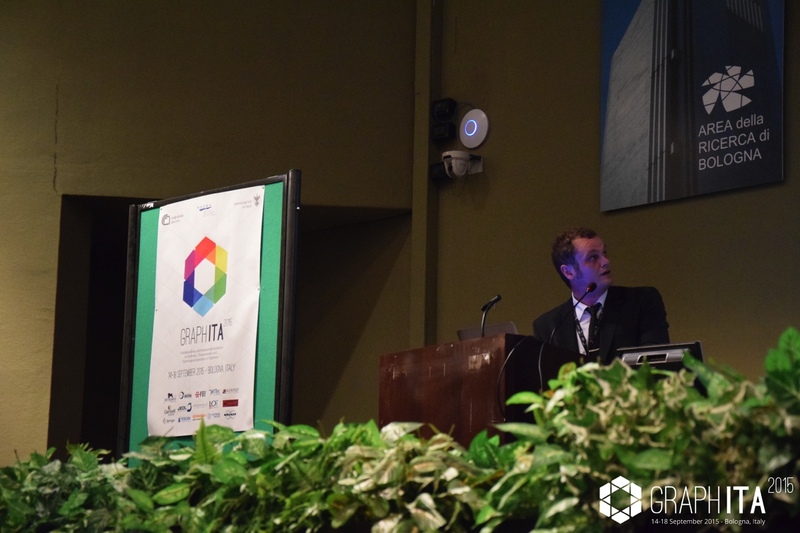 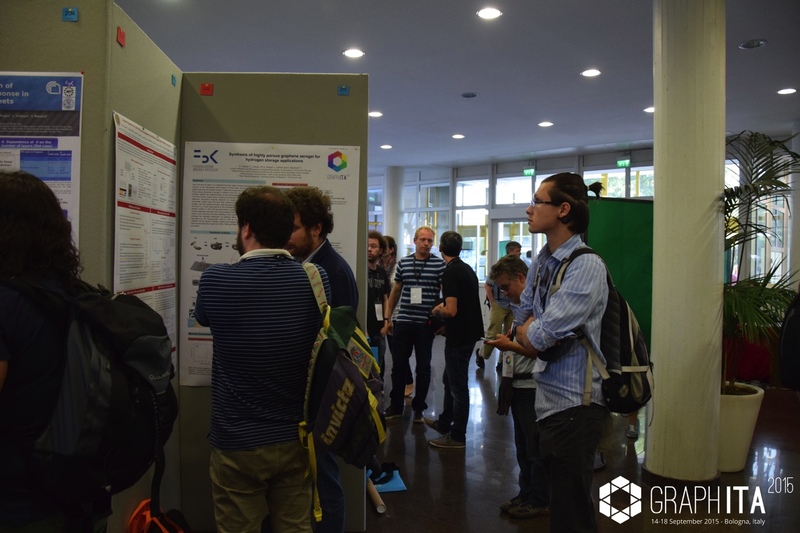 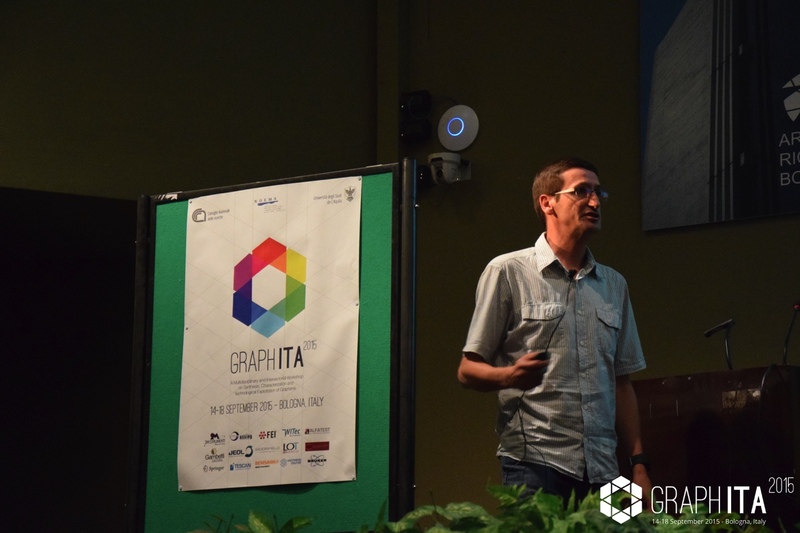 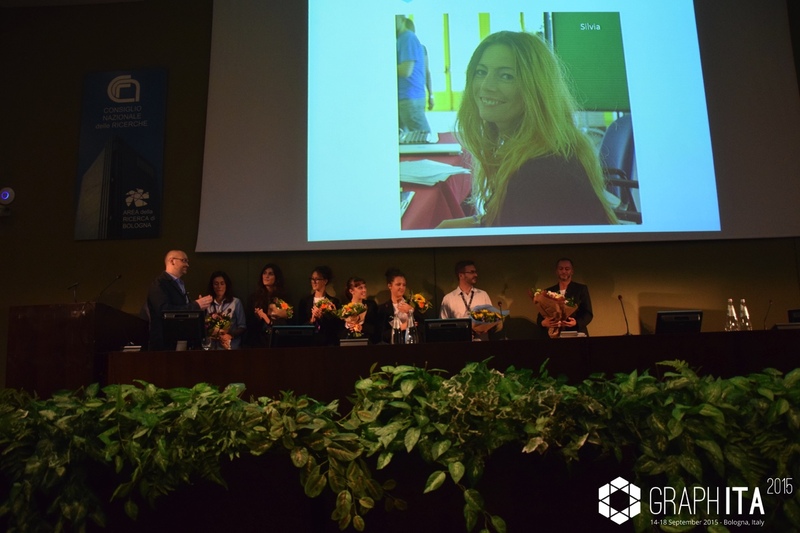 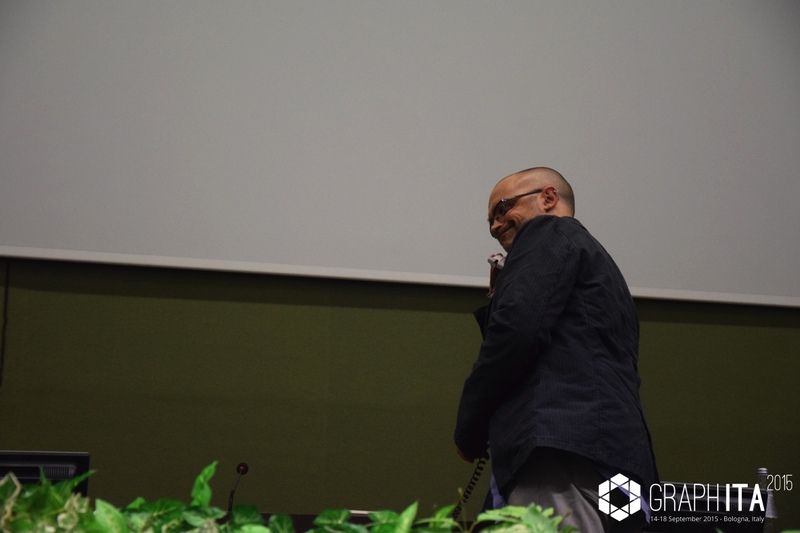 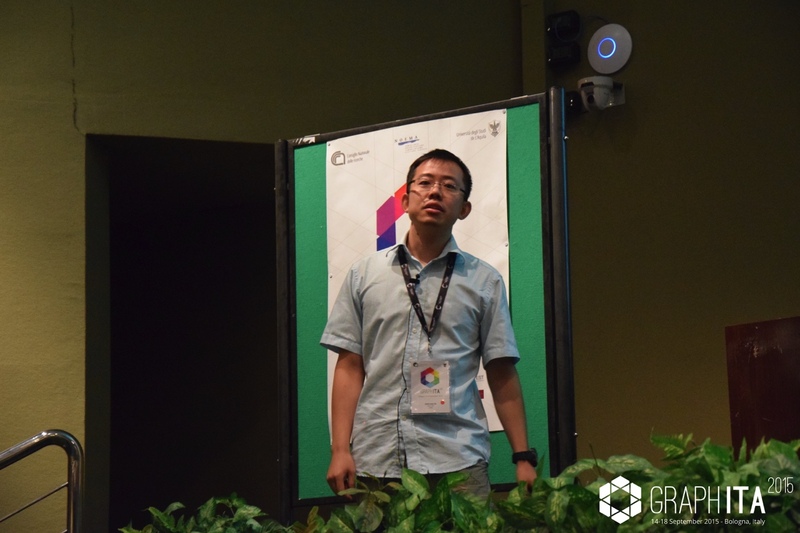 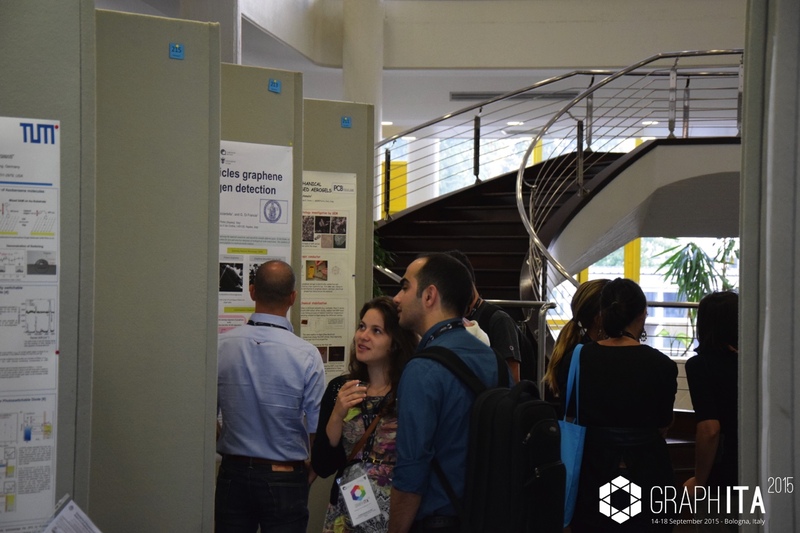 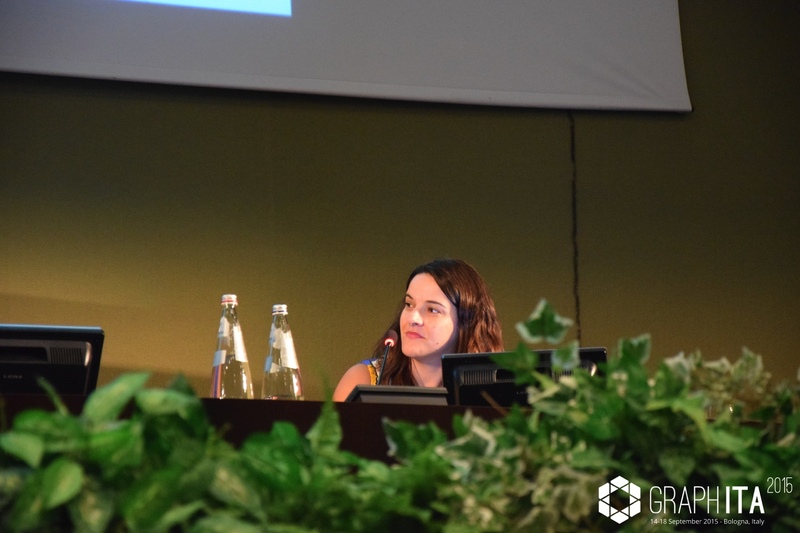 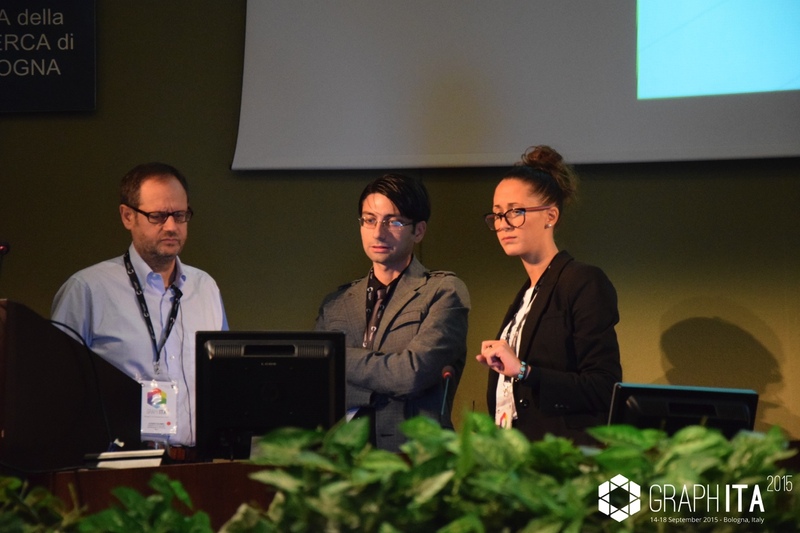 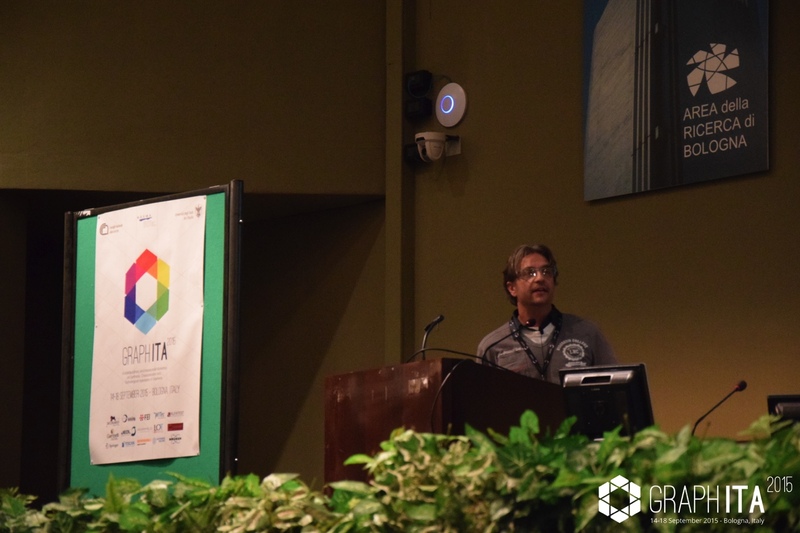 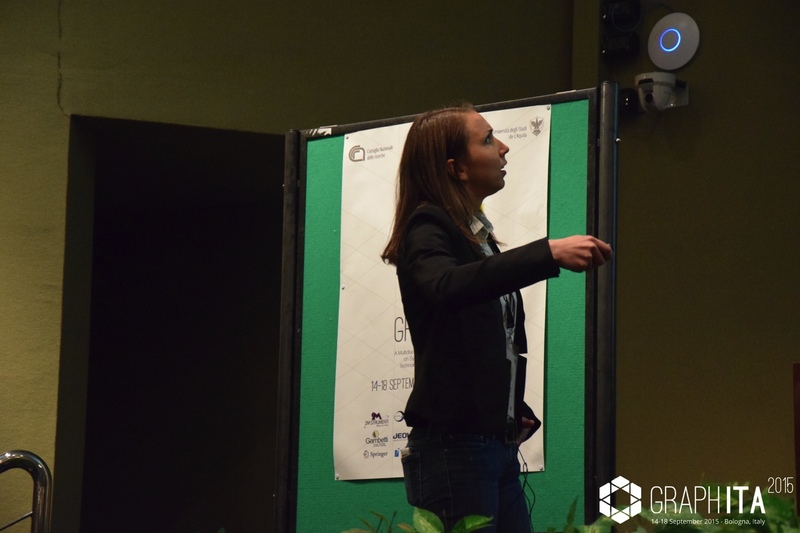 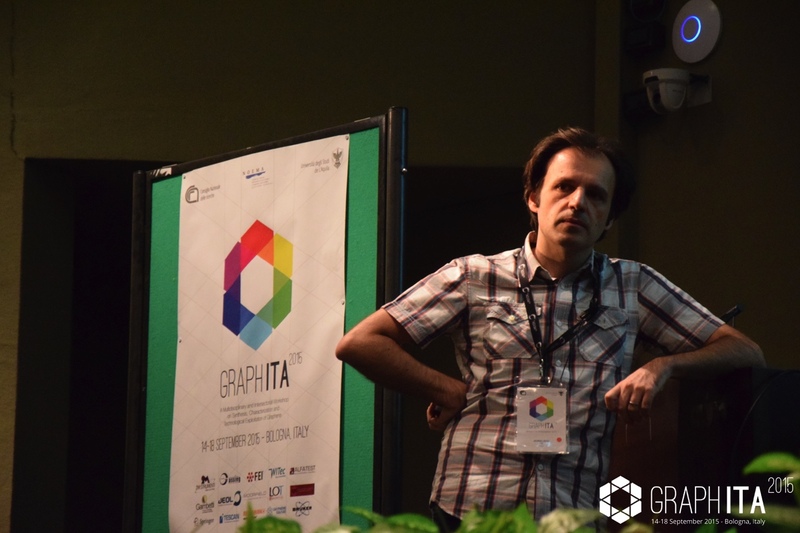 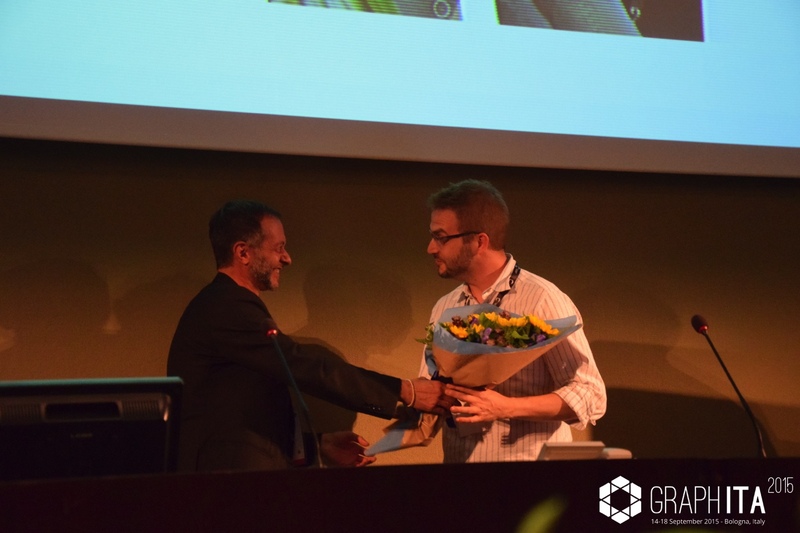 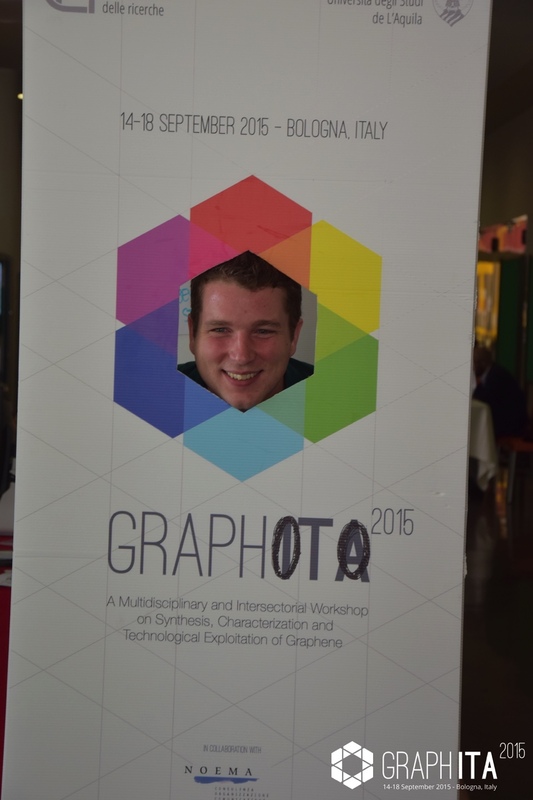 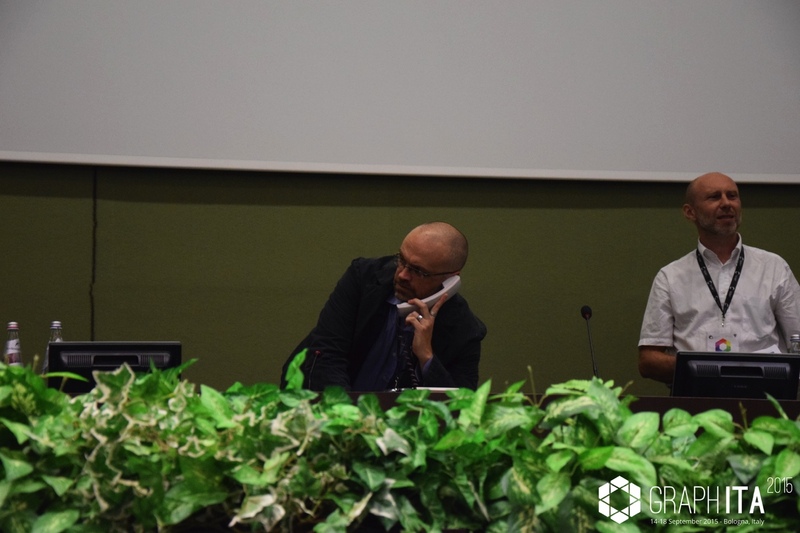 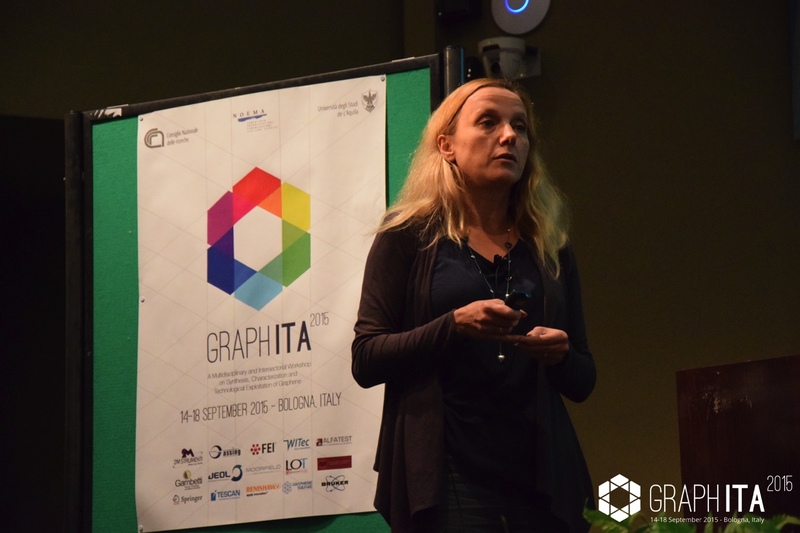 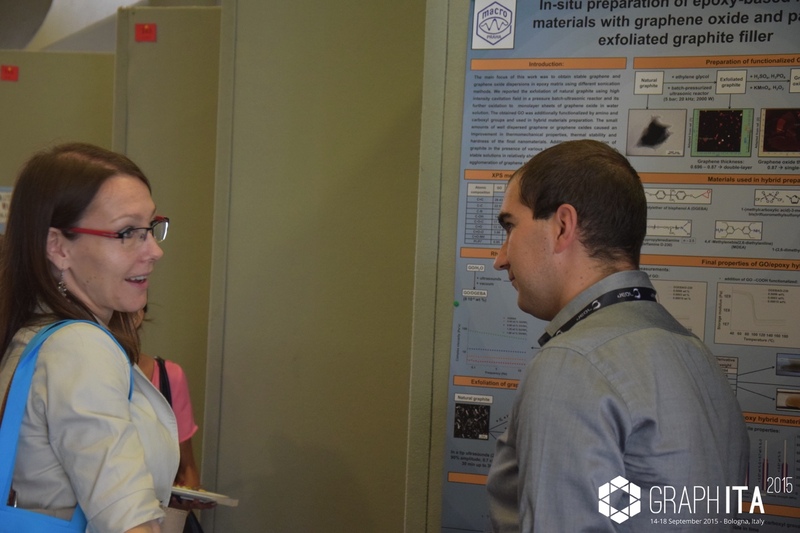 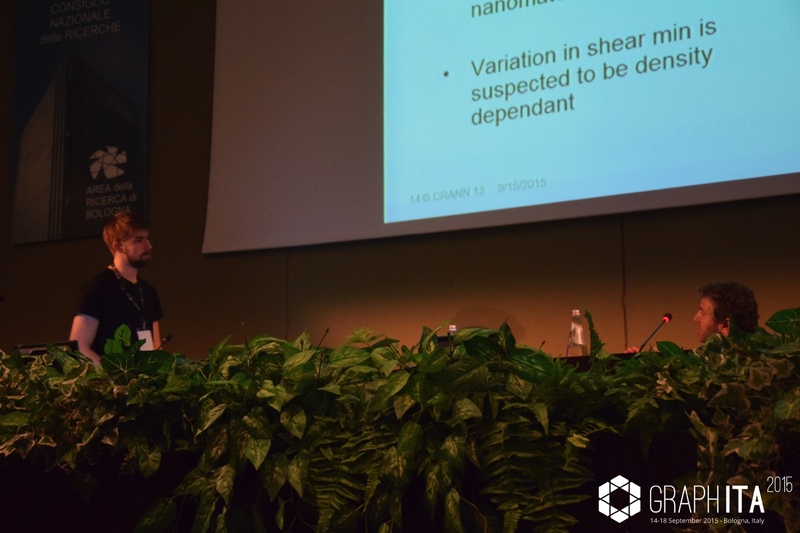 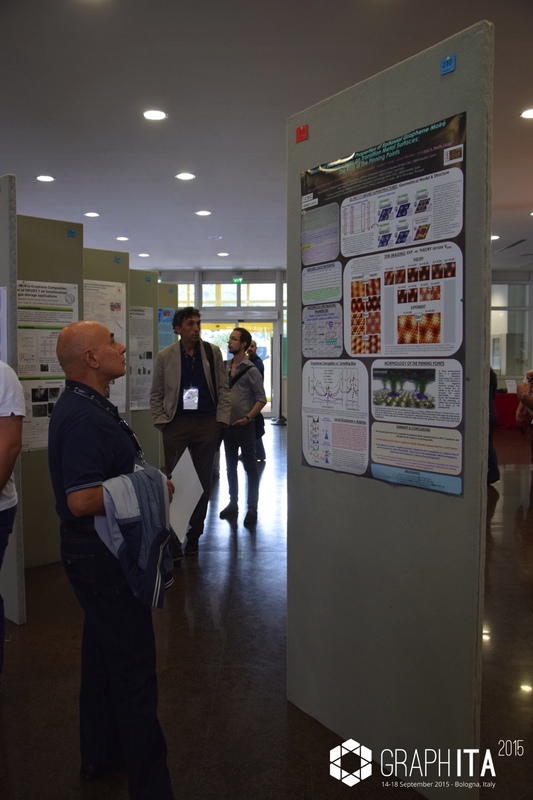 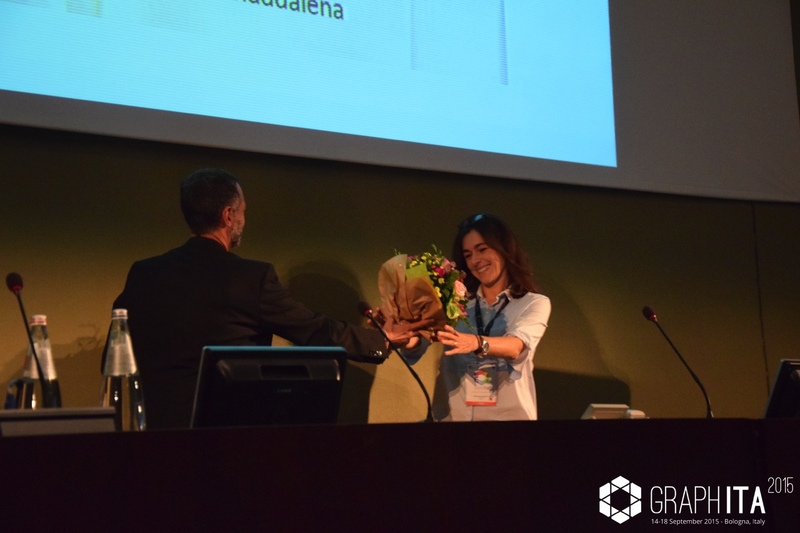 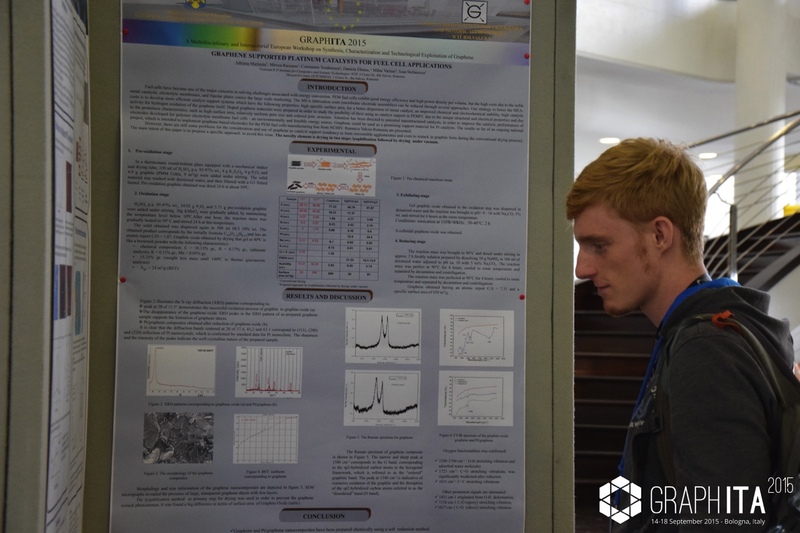 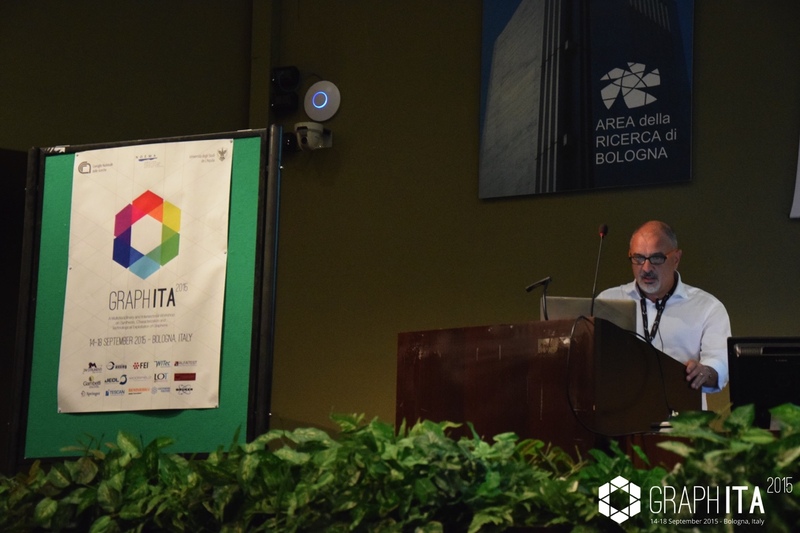 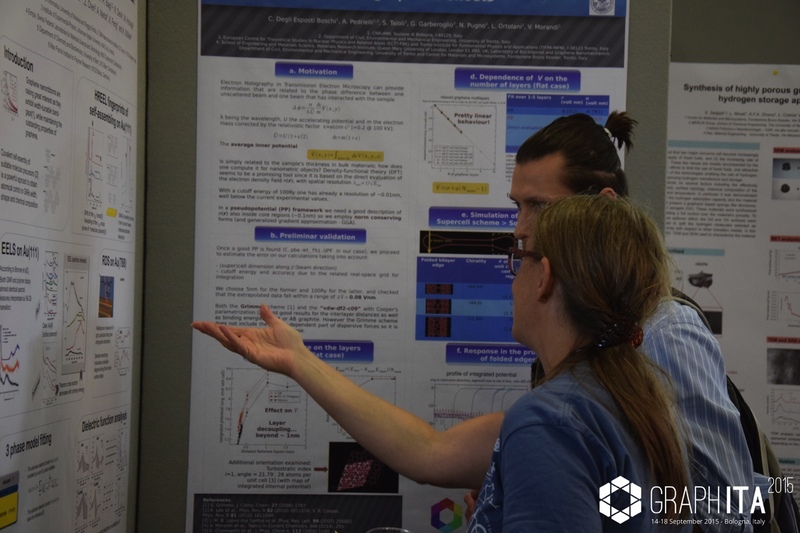 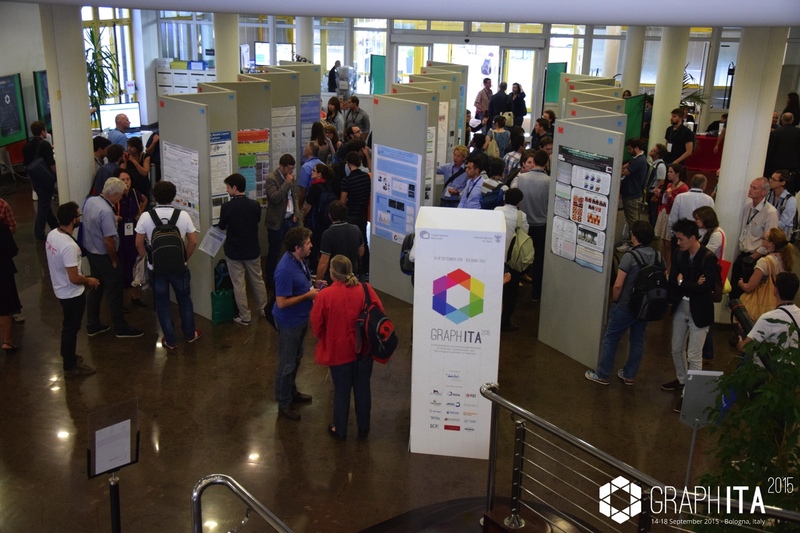 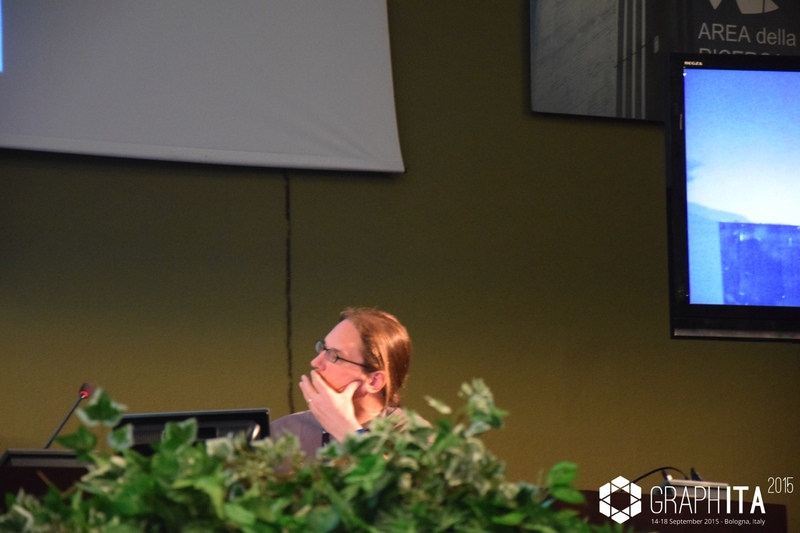 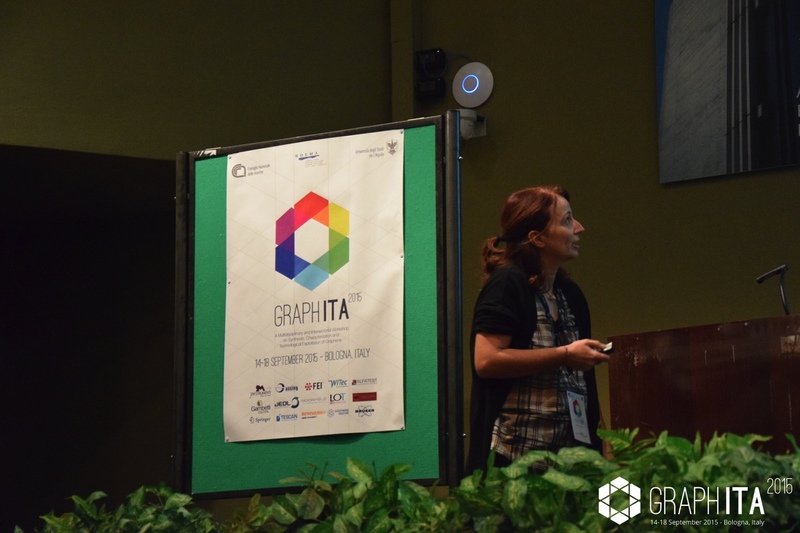 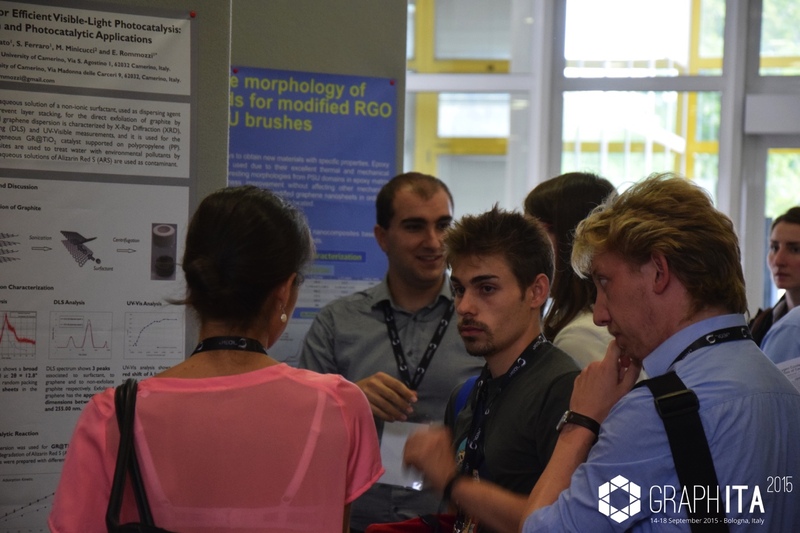 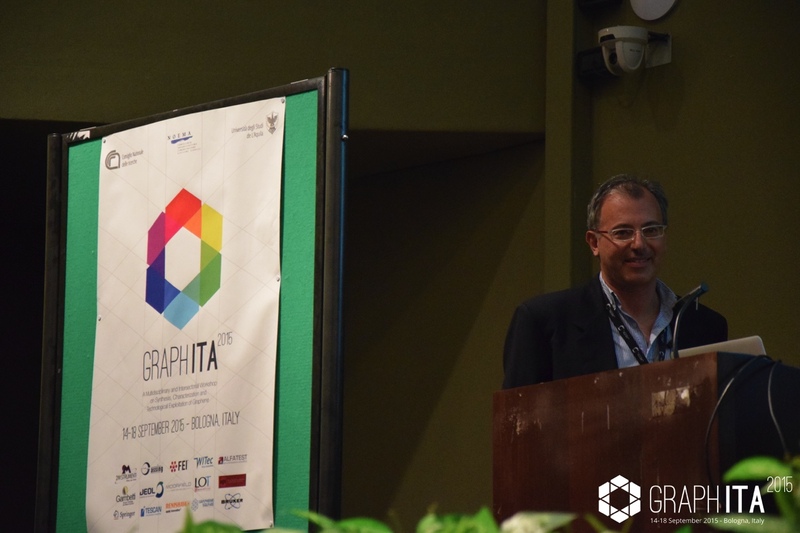 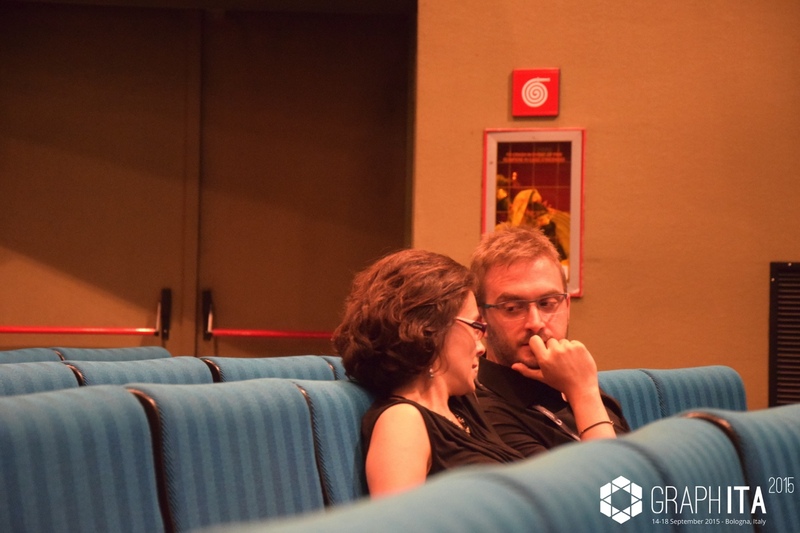 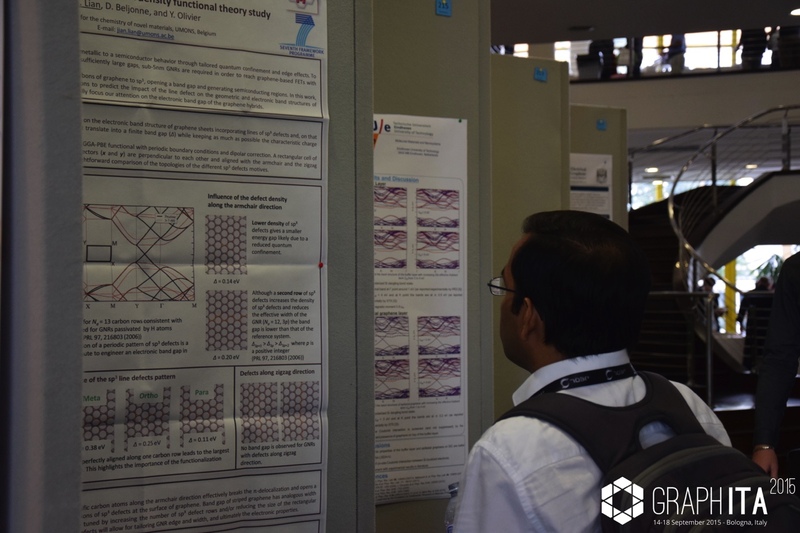 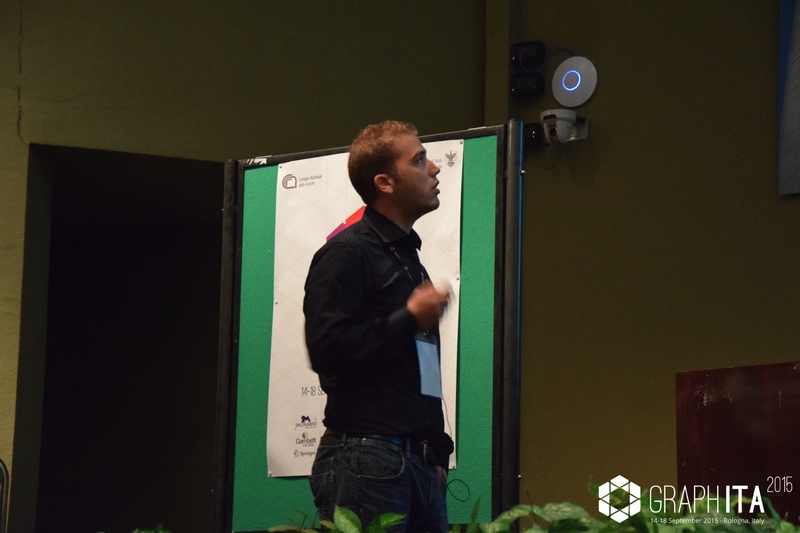 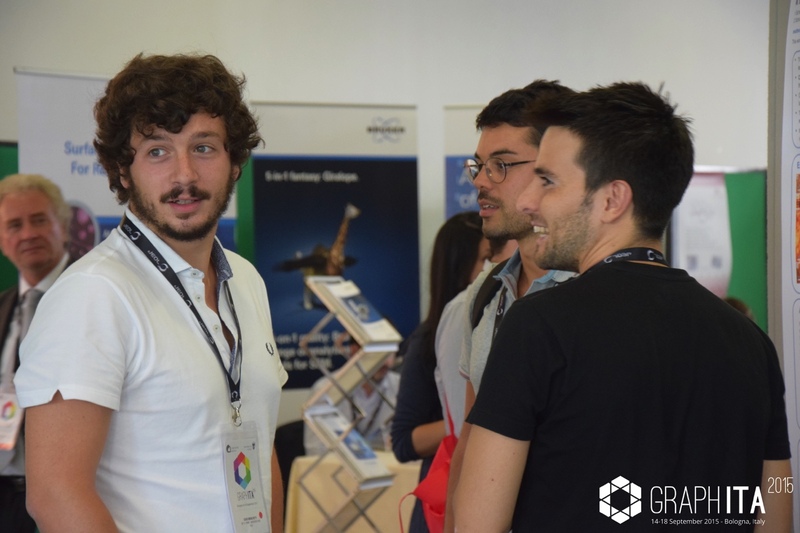 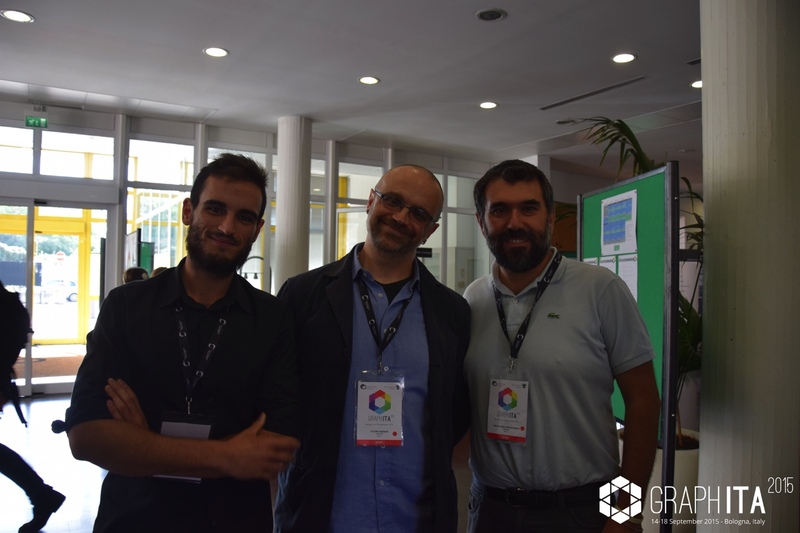 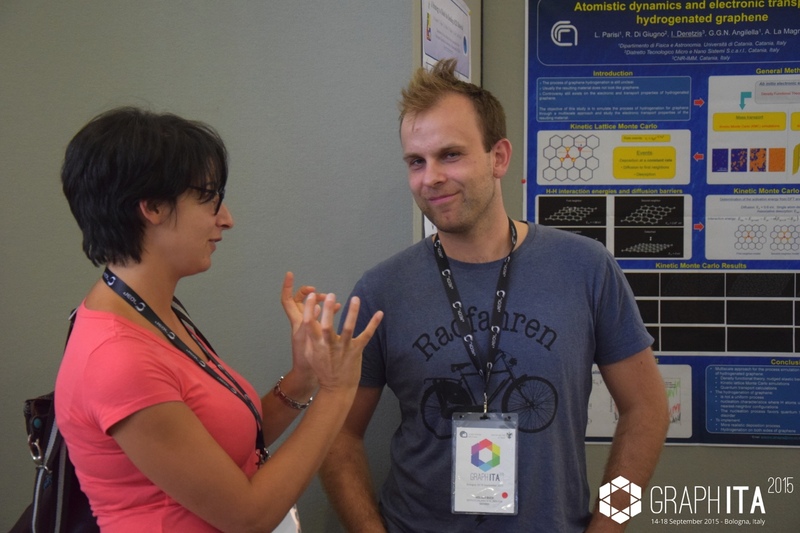 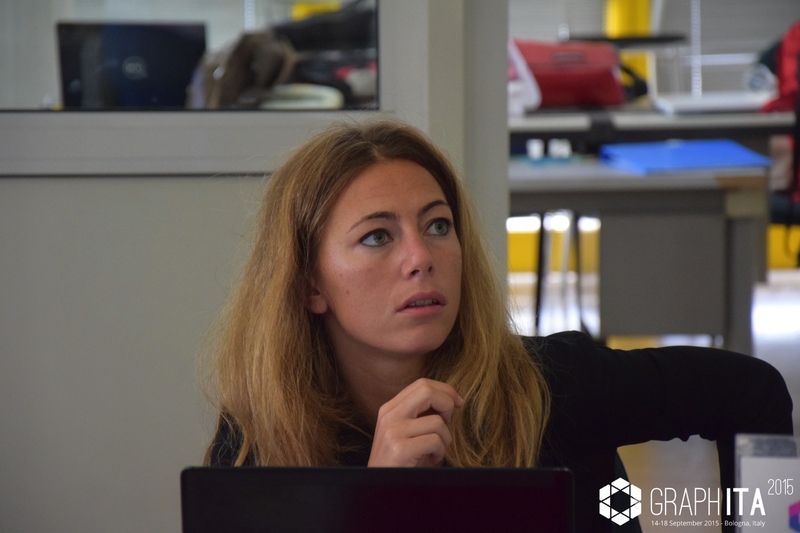 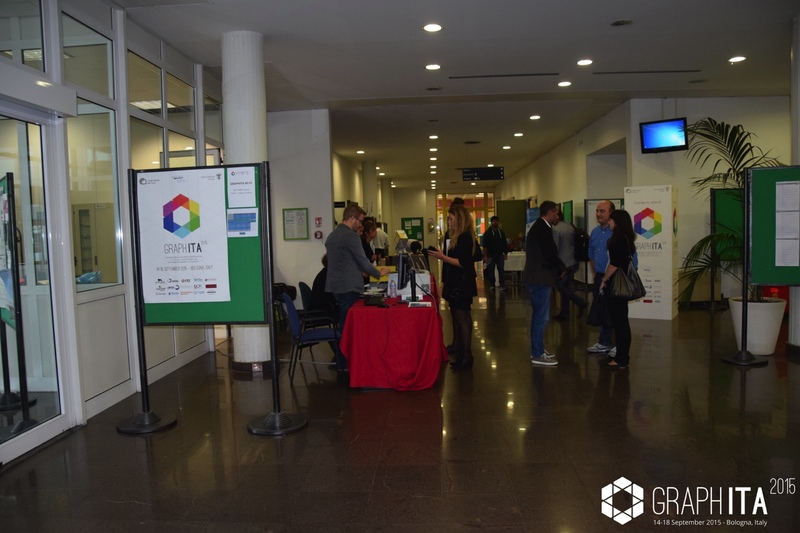 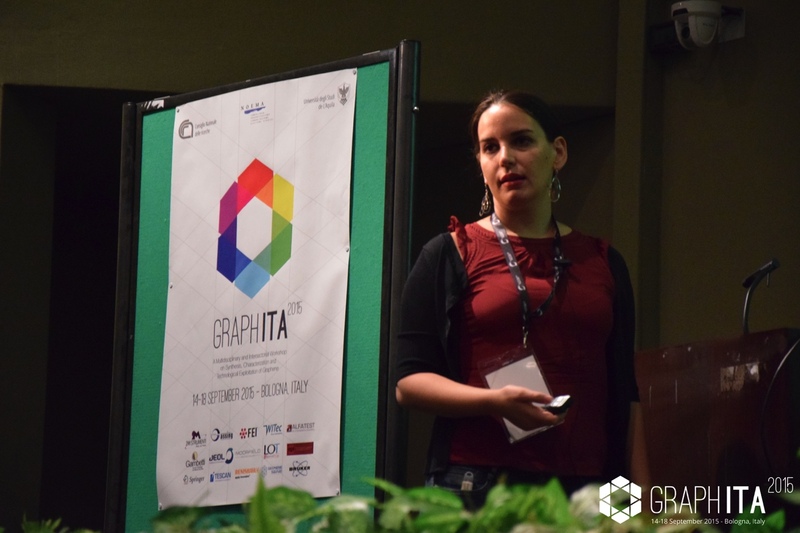 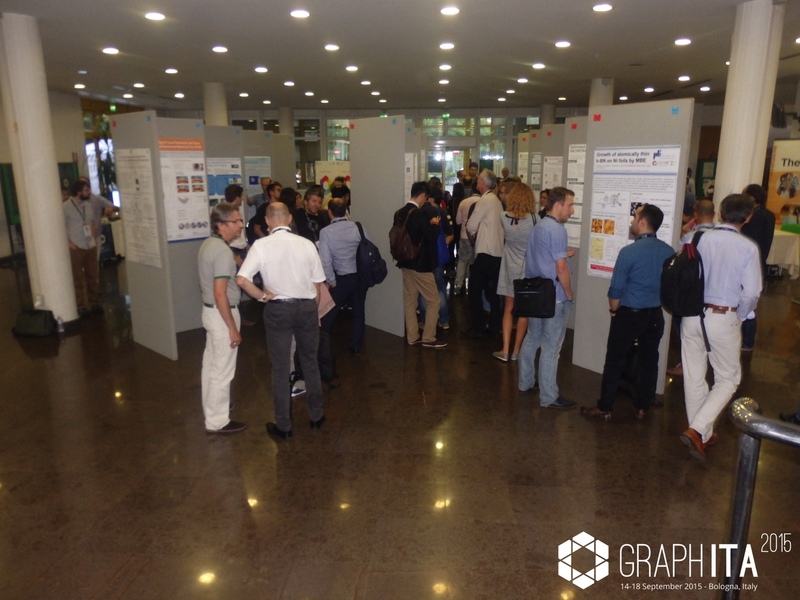 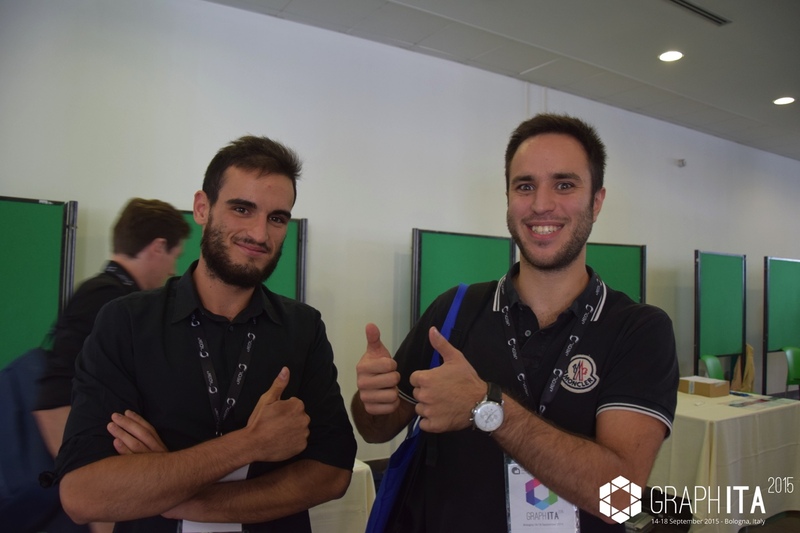 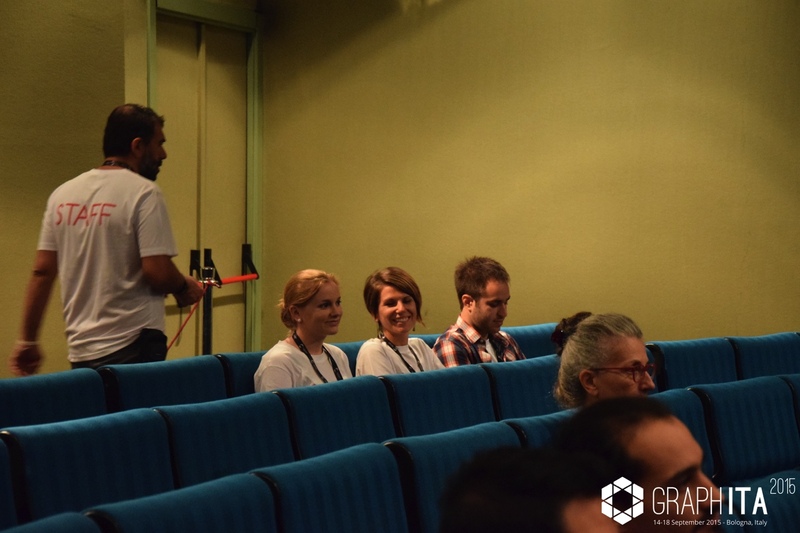 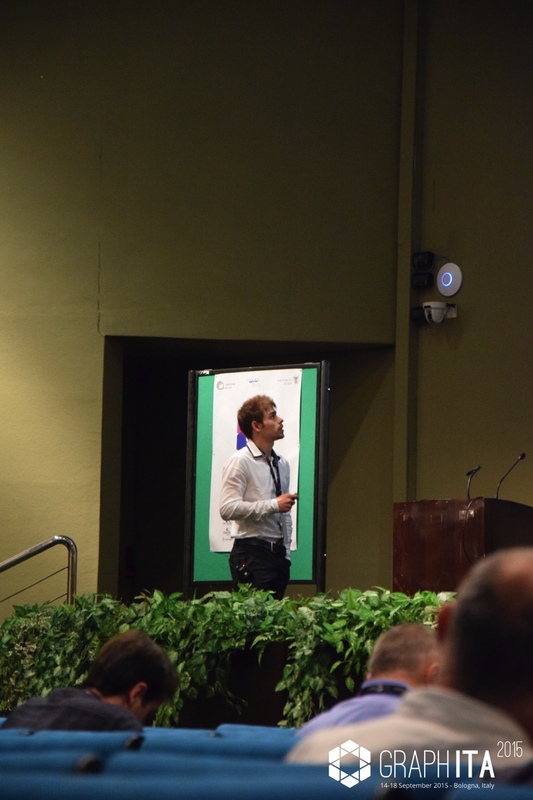 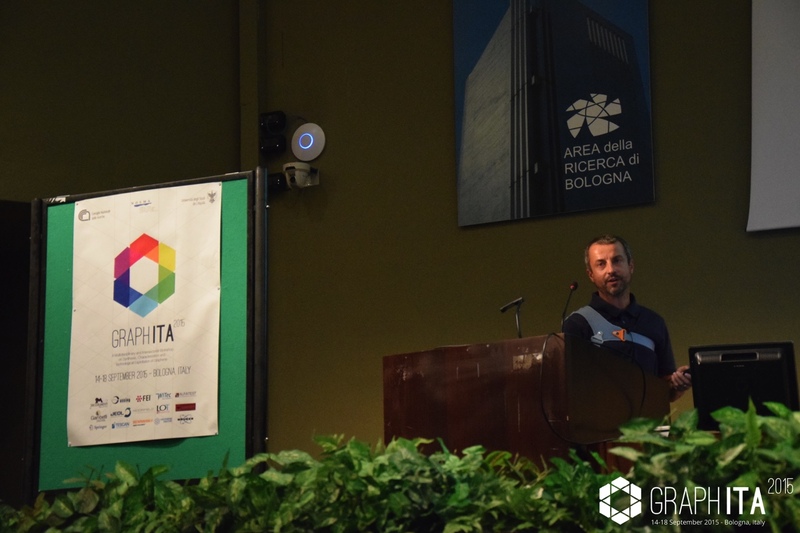 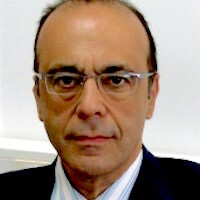 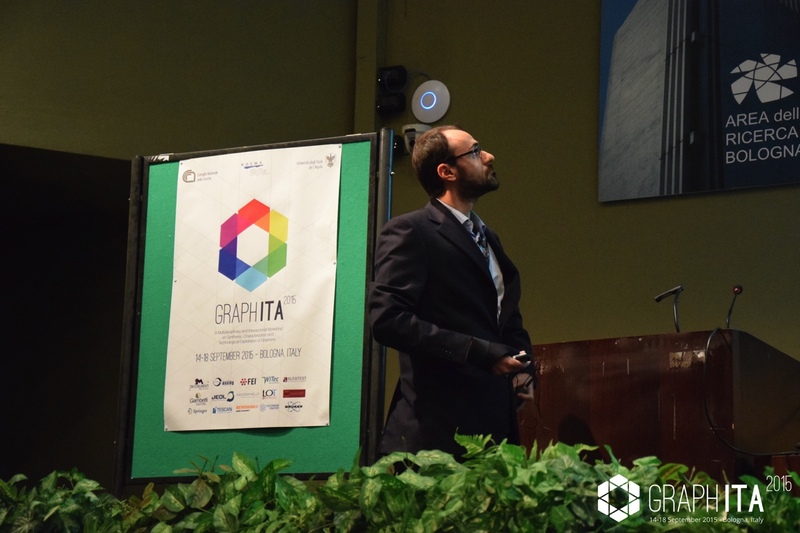 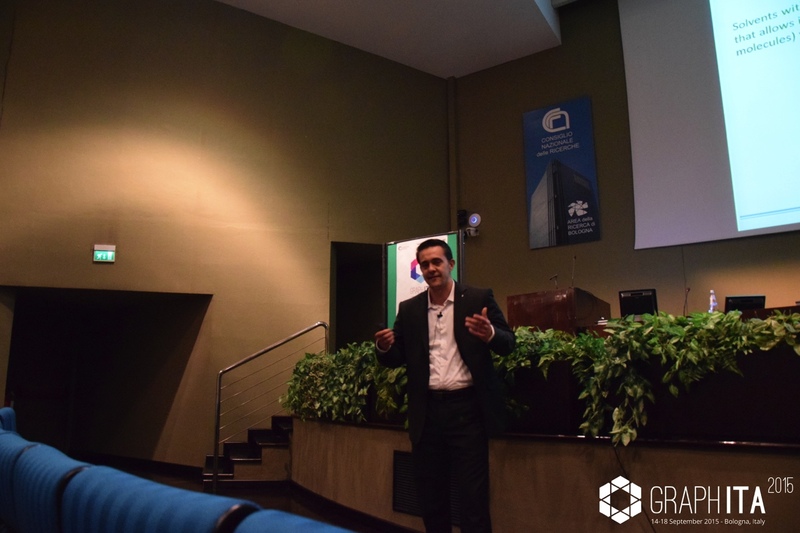 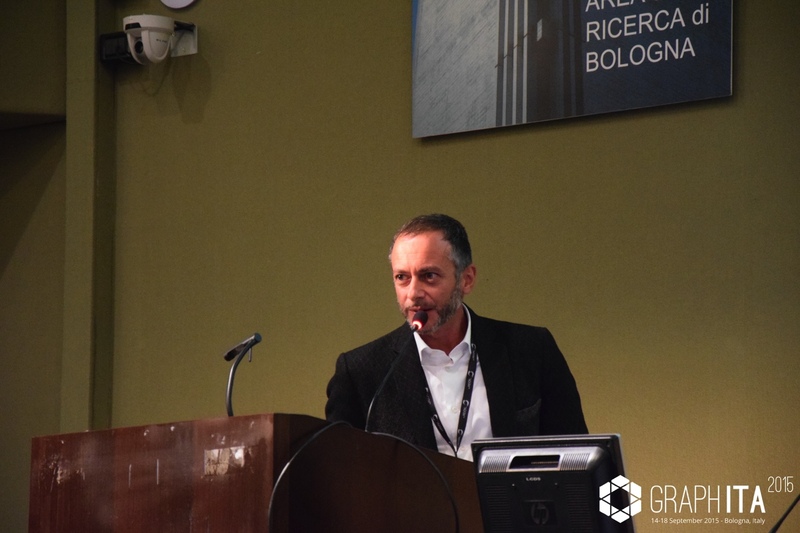 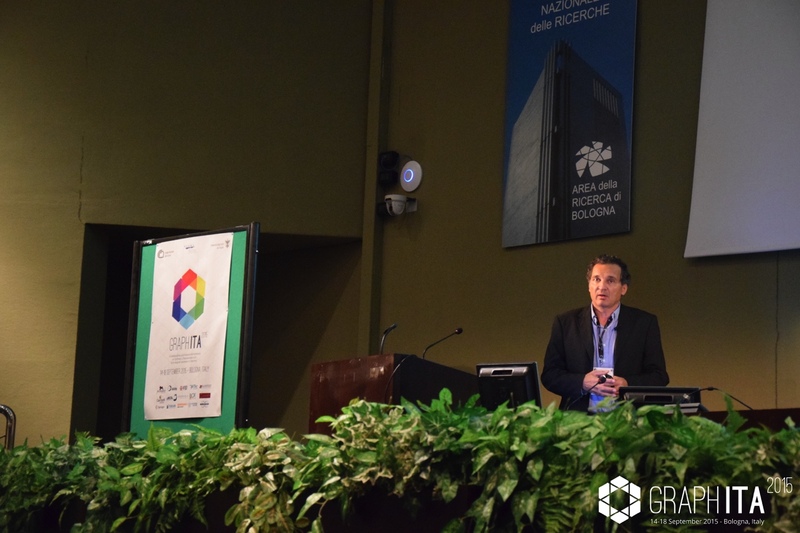 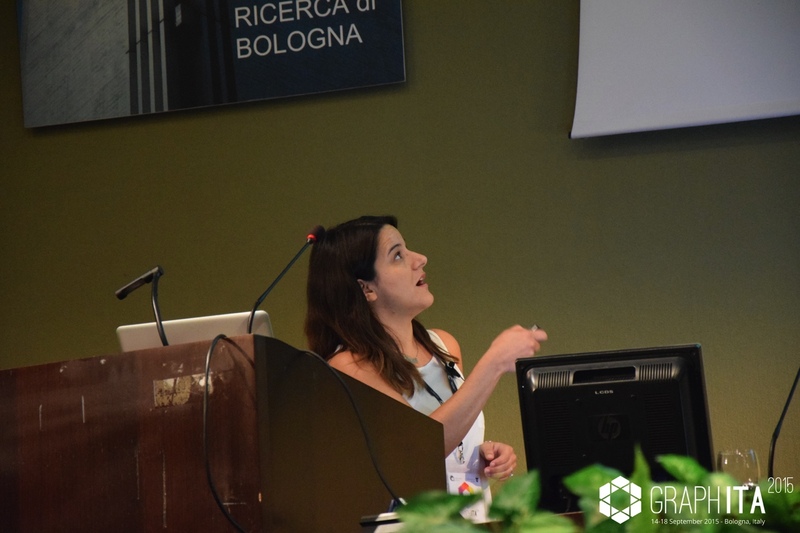 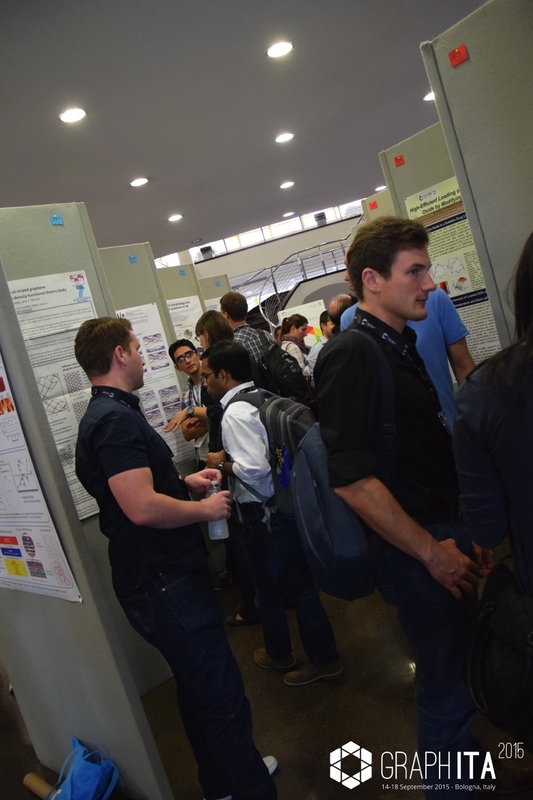 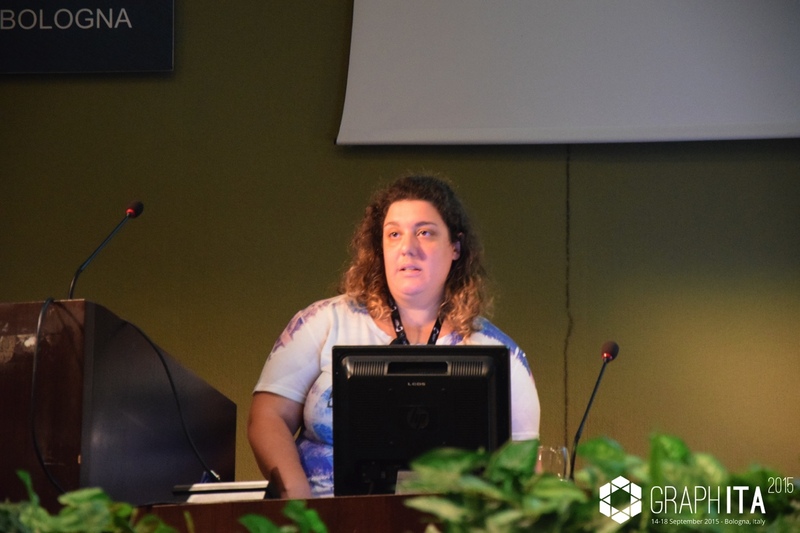 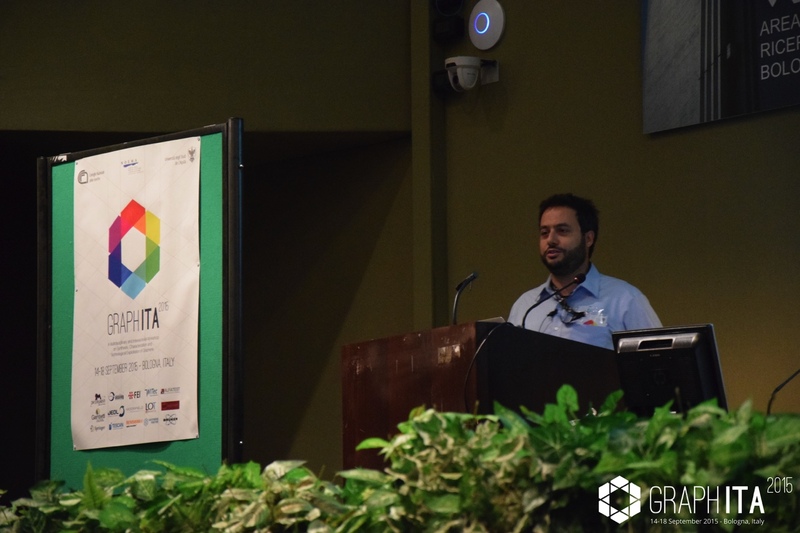 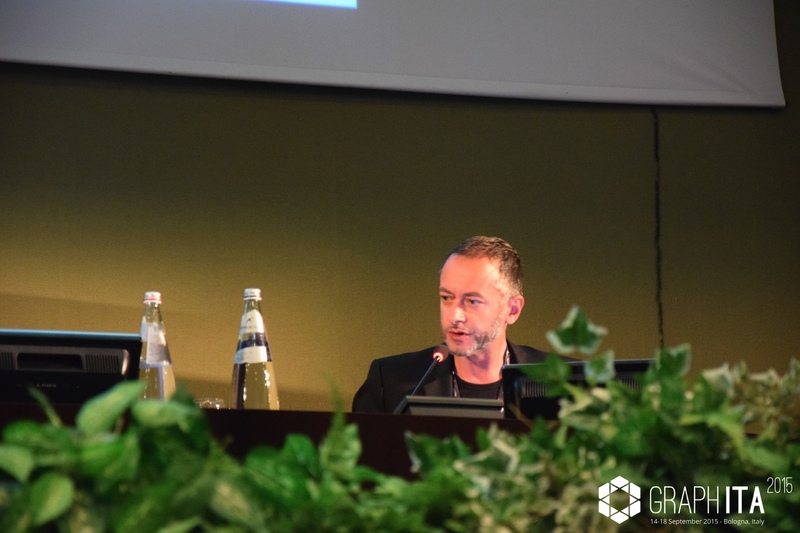 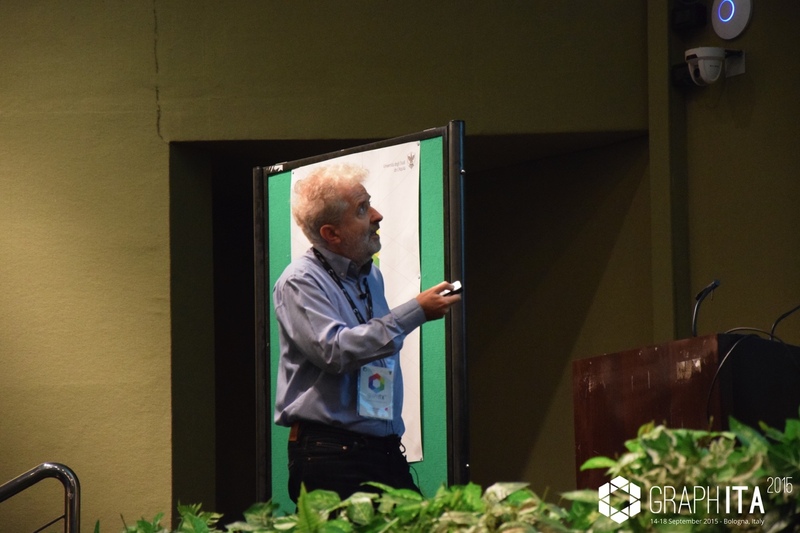 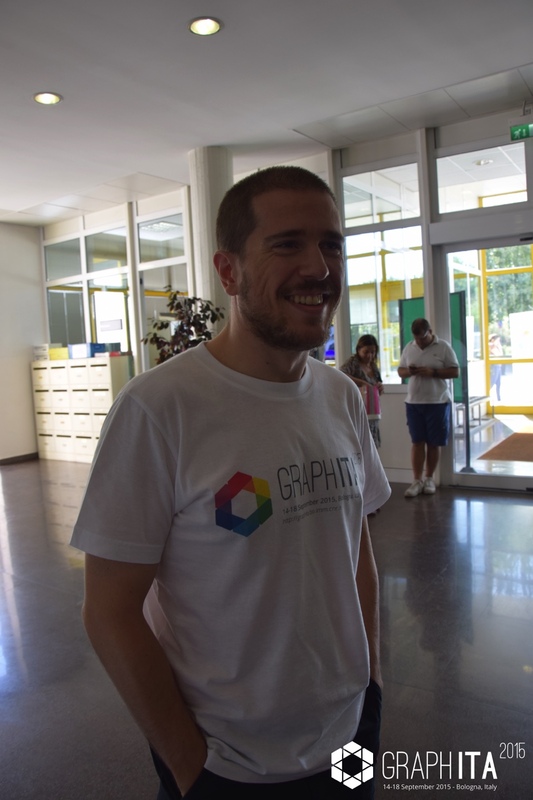 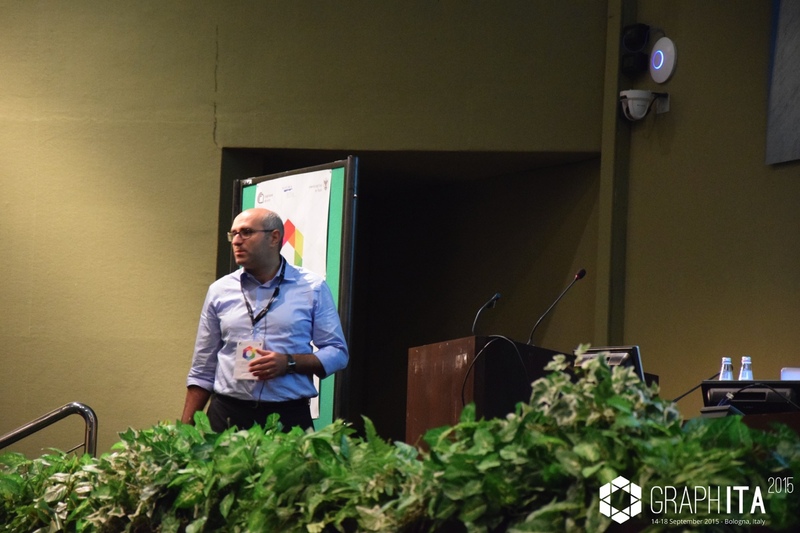 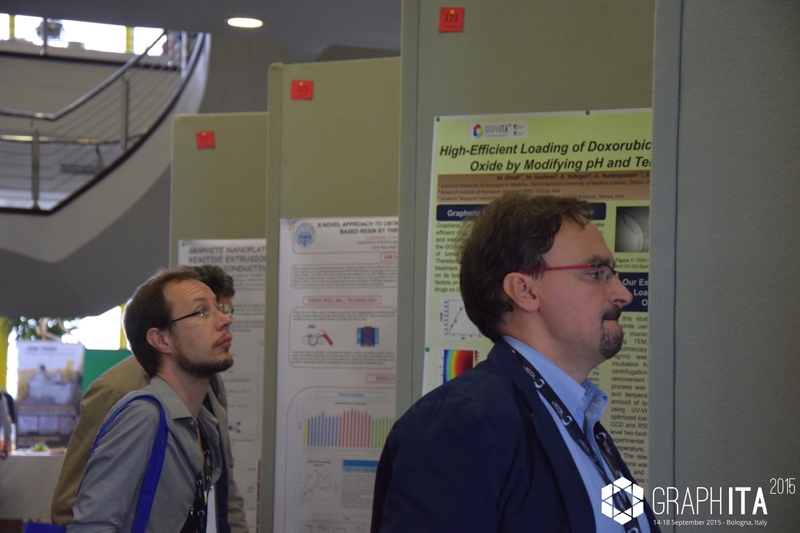 GraphITA2015 aims at keeping the spirit of the previous editions, bringing together scientists and engineers working on different technological uses not only of graphene, but also of 2D materials beyond graphene, in a multidisciplinary and multisectorial (academia/industry) environment. 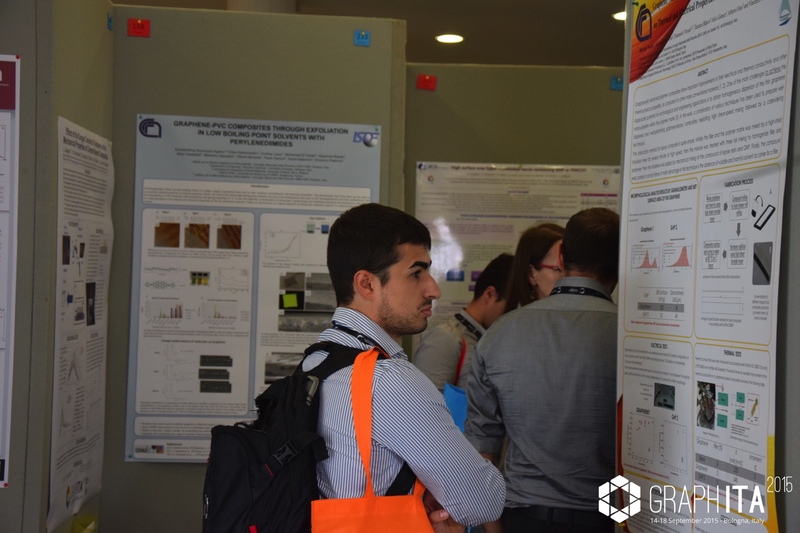 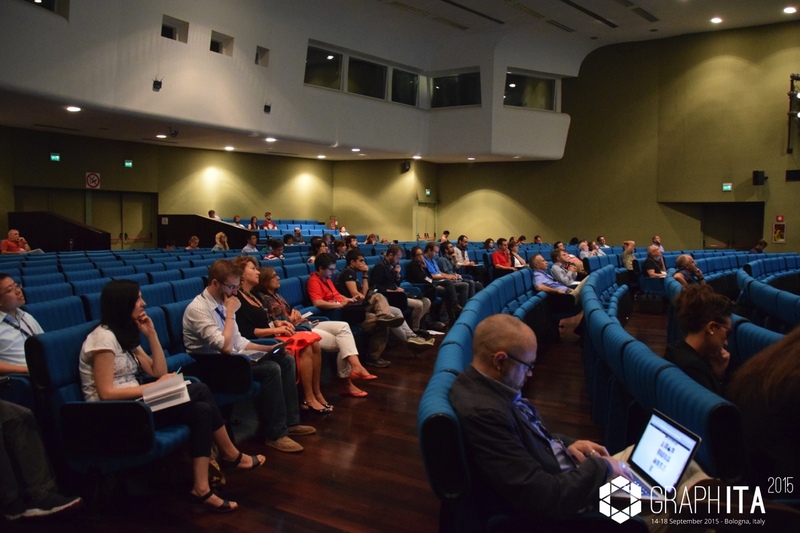 As in the previous editions, participation of early stage researchers, PhD students and post-docs is strongly encouraged, with a particular care to all the emerging countries, south and east Europe. 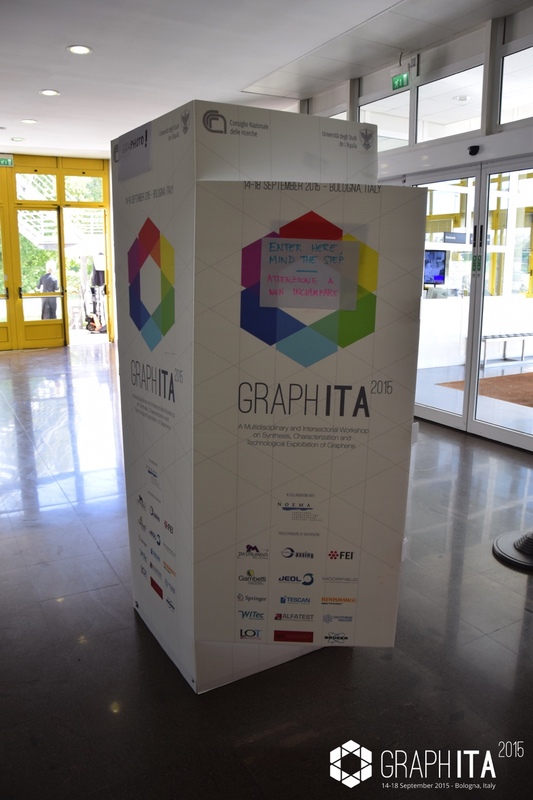 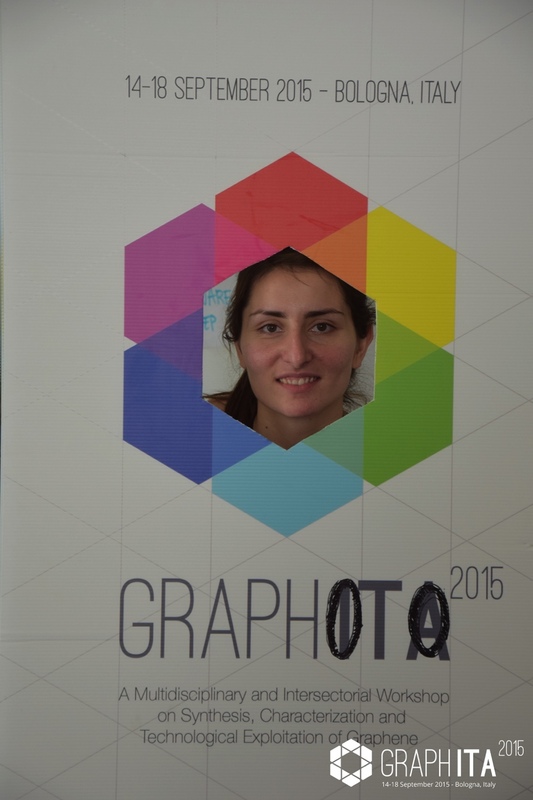 Your Company Logo will be displayed on GraphITA2015 website. 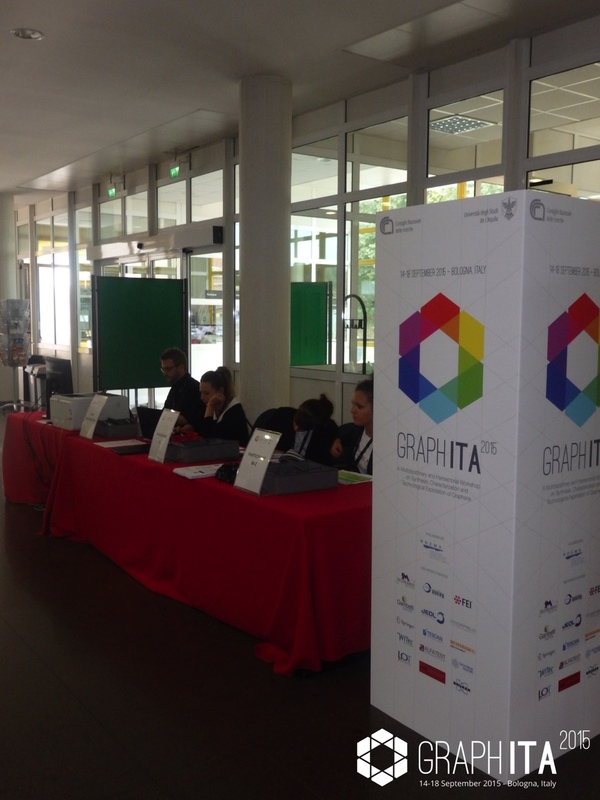 Promotional materials will be delivered to every participant inside the Conference Bag. 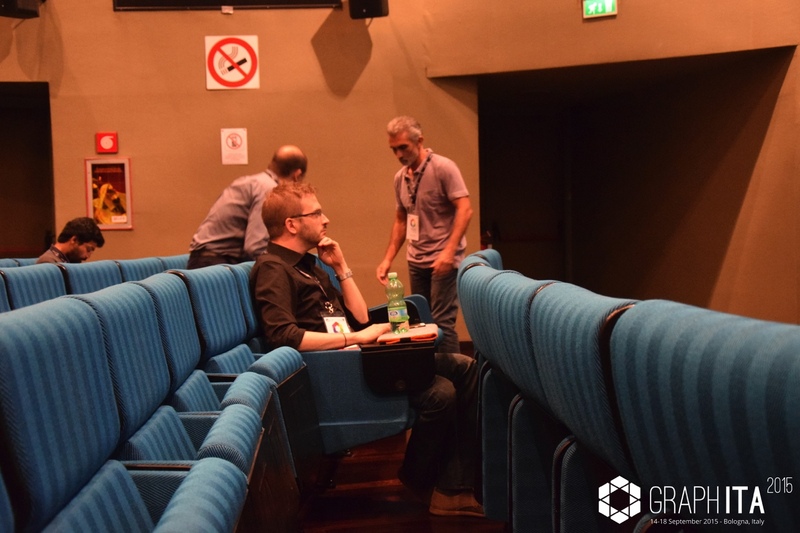 A dedicated space (approx. 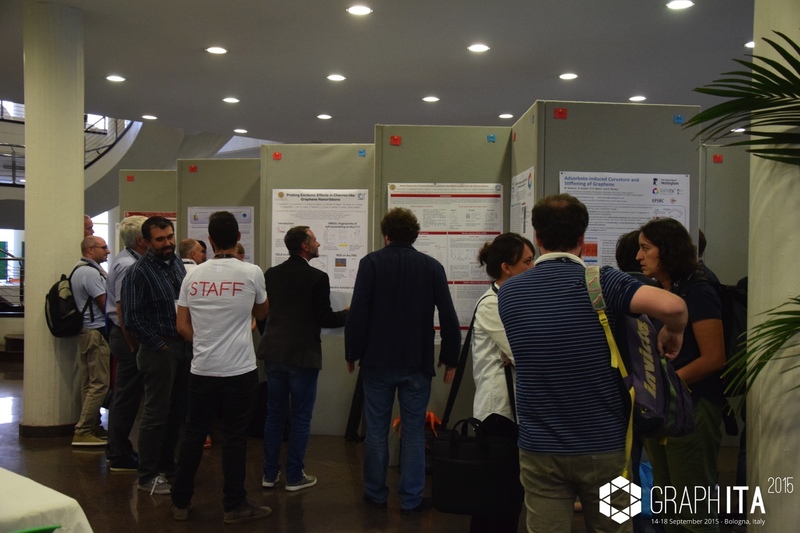 2x2.5 mt) will be available for your Company, included with one table, two seats, electrical and wi-fi connection and a poster standing panel. 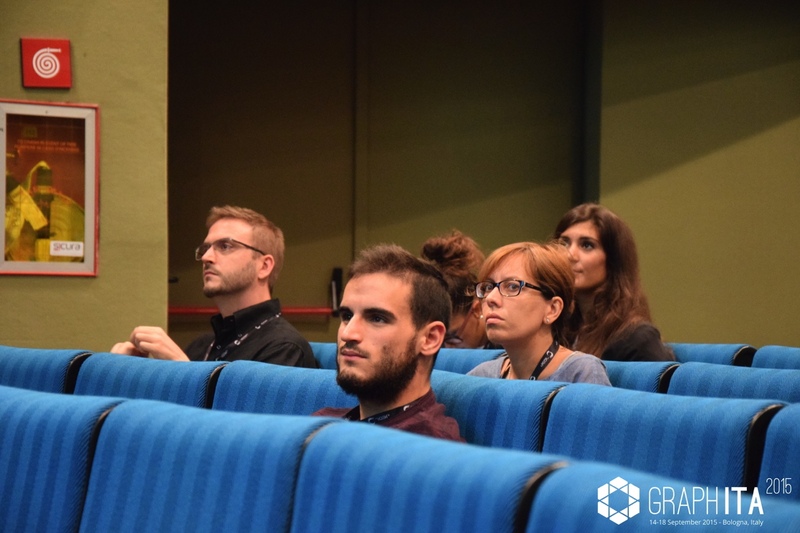 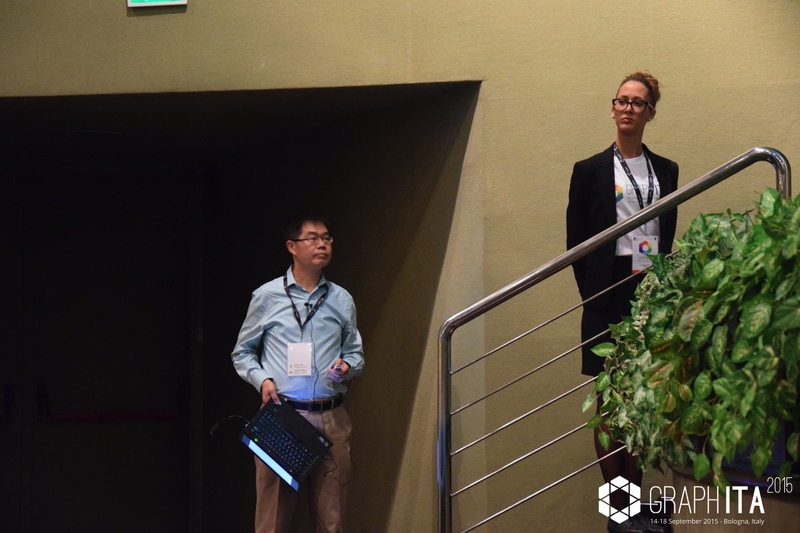 A dedicated time slot of 15 minutes will be reserved in one of the conference sessions for you to give a commercial presentation. 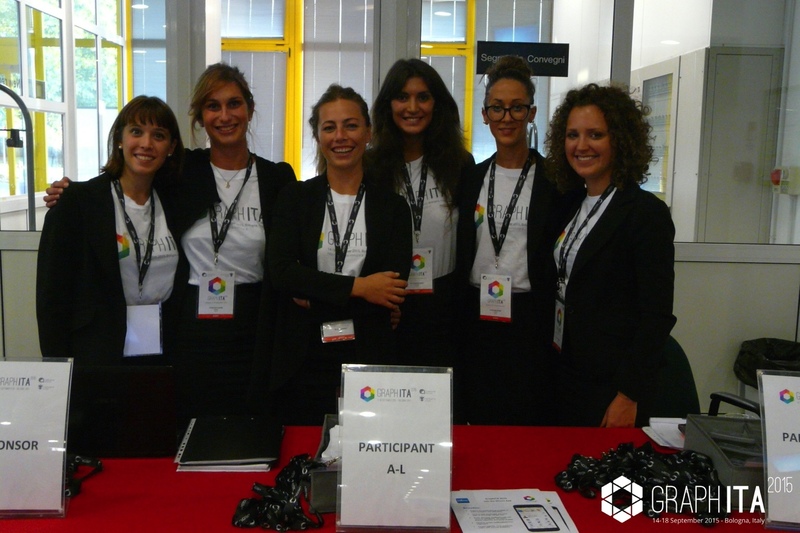 We offer you the possibility to contribute to the Gala Dinner, Wednesday September 16th. 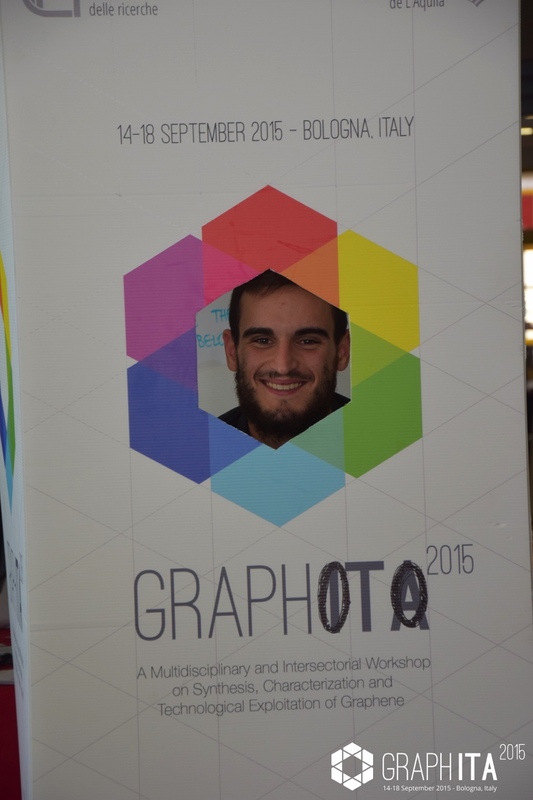 This package offers the opportunity to personalize the dinner with dedicated advertising material. 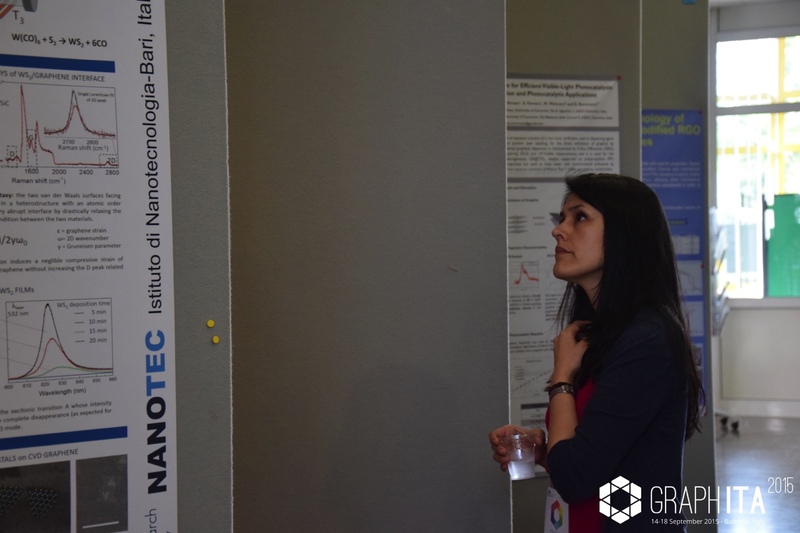 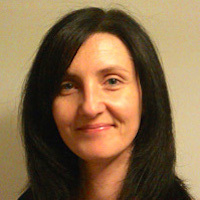 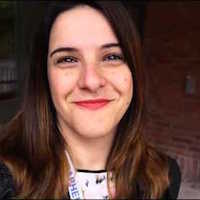 Please contact NOEMA's Delegate, Silvia Cremona, for further information about our sponsorship opportunities and to request a quote. 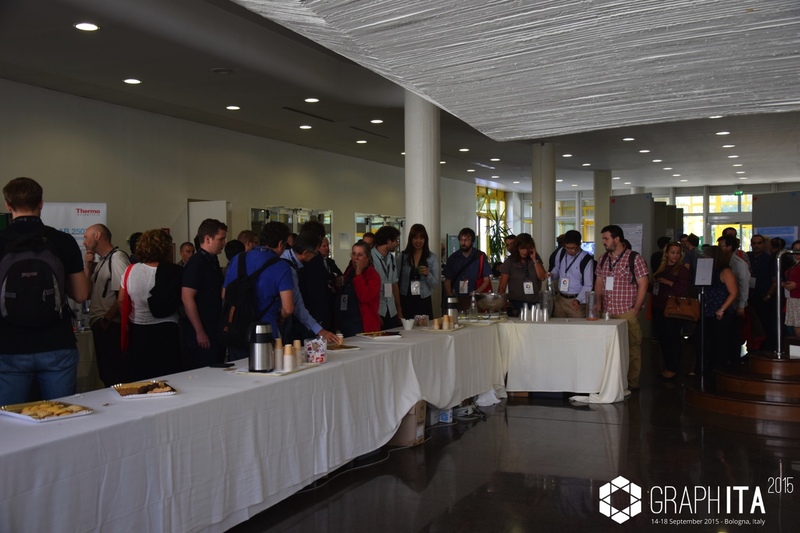 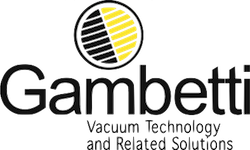 NOTE: Please note that sponsors who decide to purchase a 15 minutes Talk are required to submit abstracts through the electronic system of the Conference website. 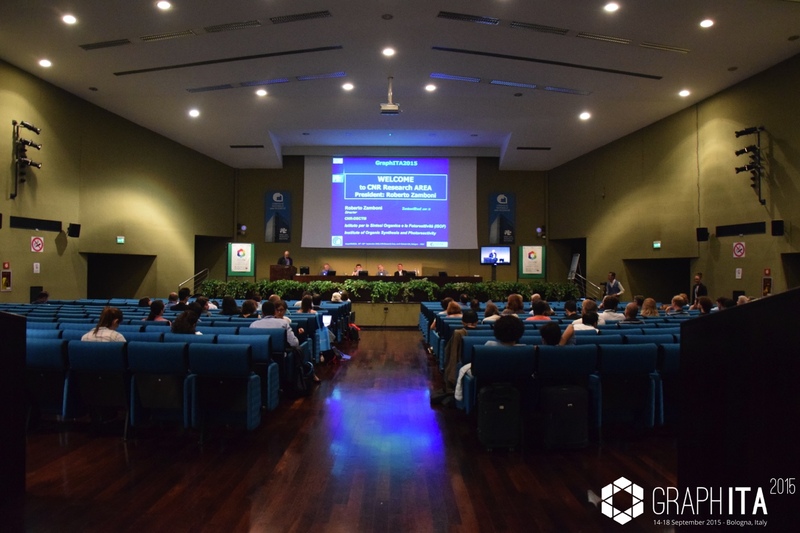 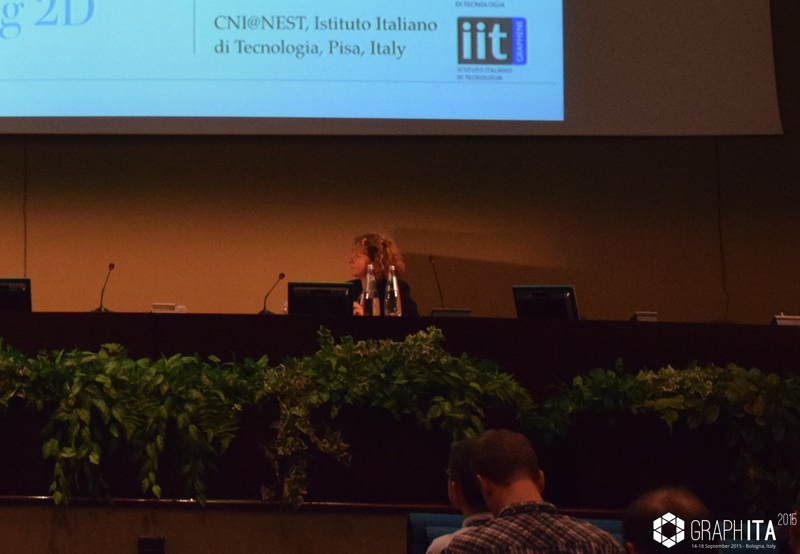 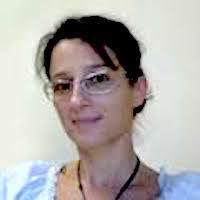 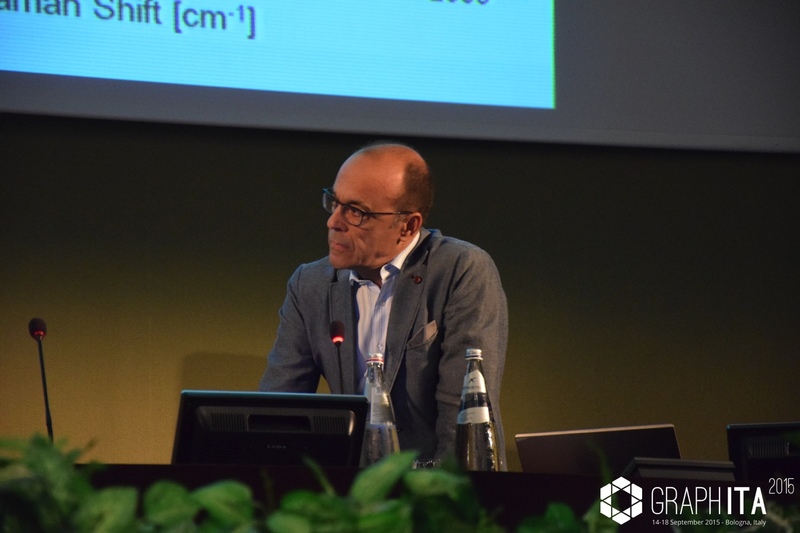 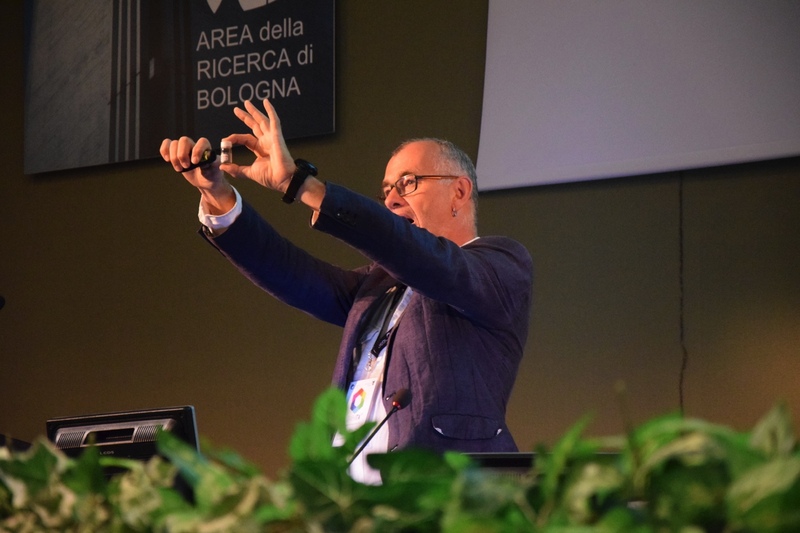 The Bologna Research Area offers services and support to the Italian National Research Council (CNR) and the National Institute for Astrophysics Institutes present on the site as well as to those in other cities in Emilia-Romagna. 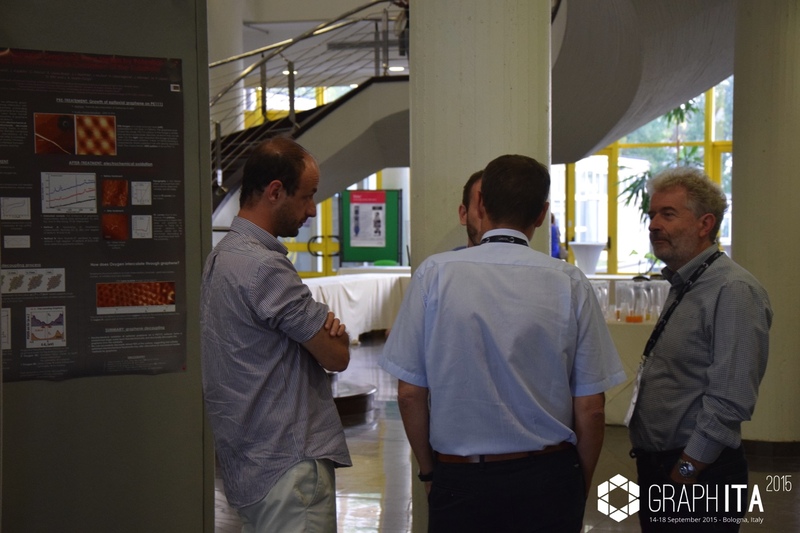 On the campus in Via Gobetti there are a total of eight Institutes belonging both to the CNR and to the Italian National Astrophysics Institute (INAF) together with the central Area Library, Conference Centre and ancillary services. 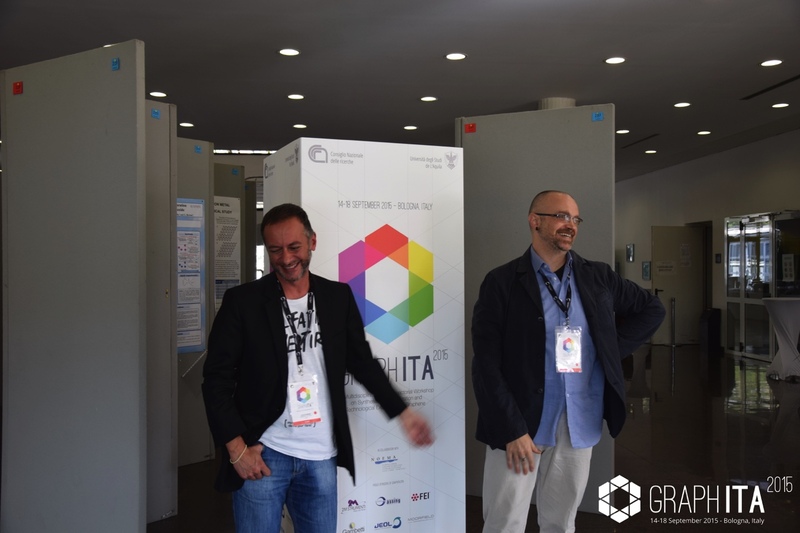 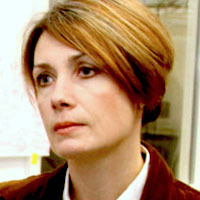 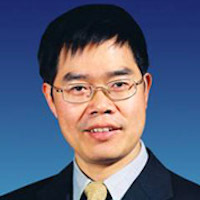 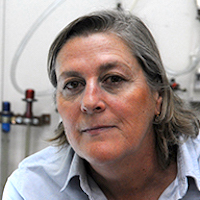 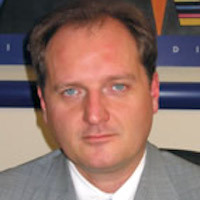 The site also accommodates ASTER (regional government science and technology agency) and various groups working within the framework of SPINNER projects (promoting innovation and research). 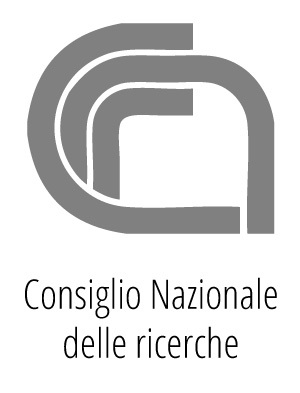 IMPORTANT: Depending on your country of origin, you may require a visa to come to Italy. 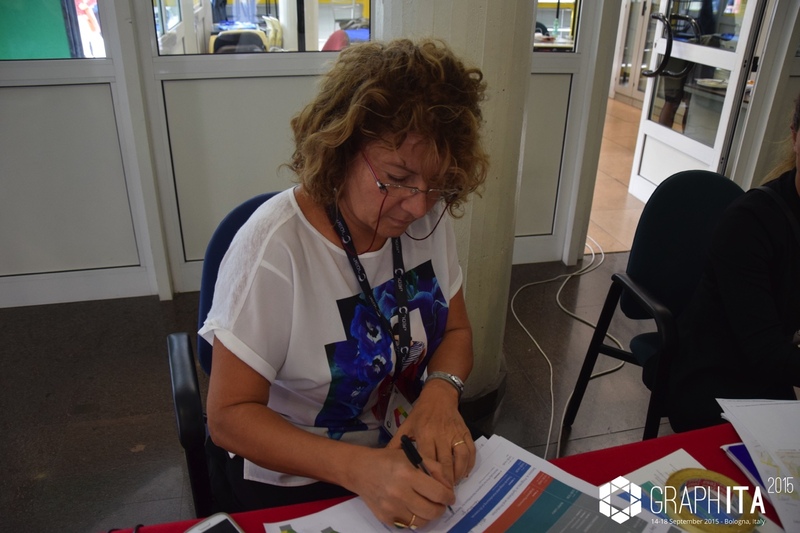 If you need an invitation letter to partecipate to our workshop, we will be happy to provide it to you to facilitate the process. 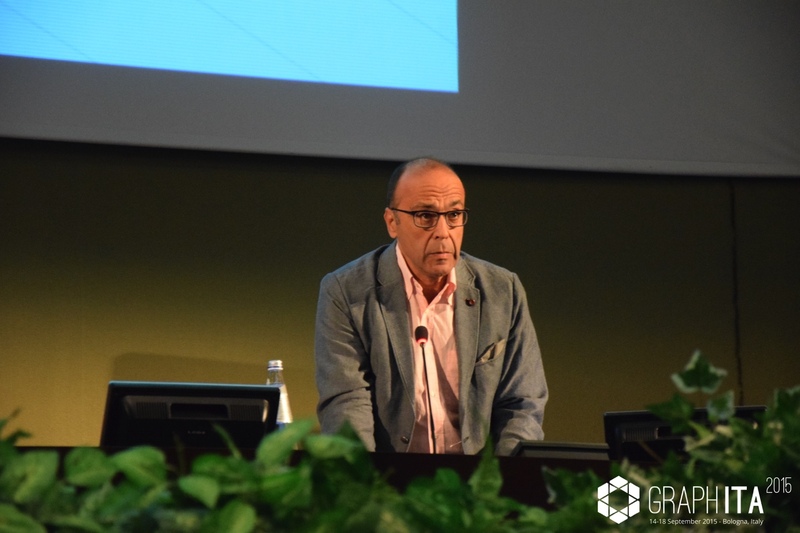 Verona Airport: A shuttle service will connect the airport with Verona train station, where you will find regional trains connecting with Bologna Central Train Station. 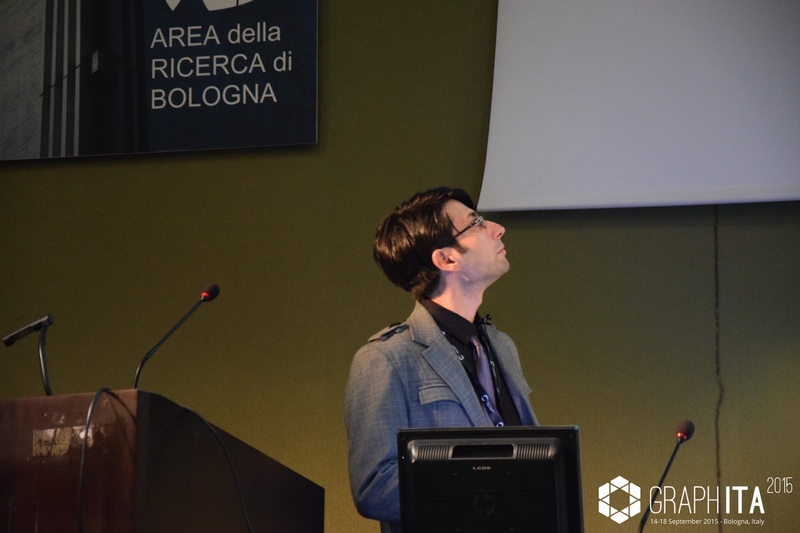 Firenze: The shuttle service will deliver you at the Train Station, where you will find high speed trains leaving for Bologna every hour. 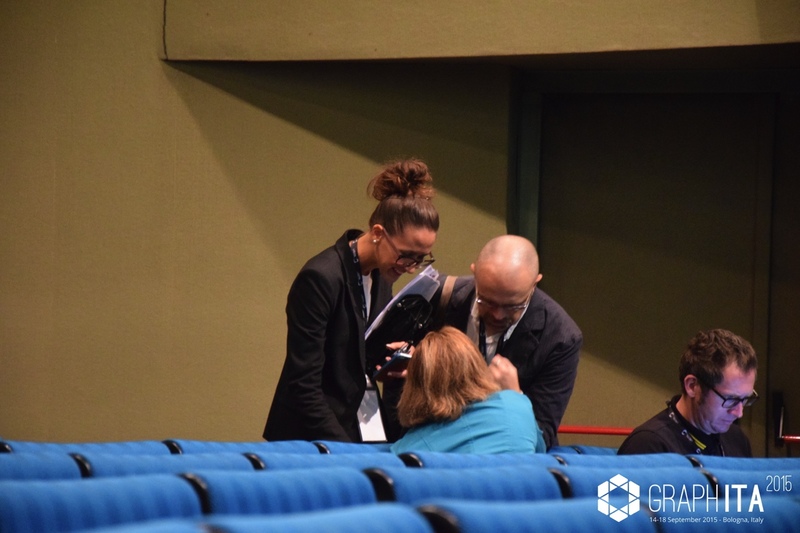 Arriving at Bologna Central Train Station you will find bus lines 87, 11A, 11B or 11C taking you close to CNR Area della Ricerca. 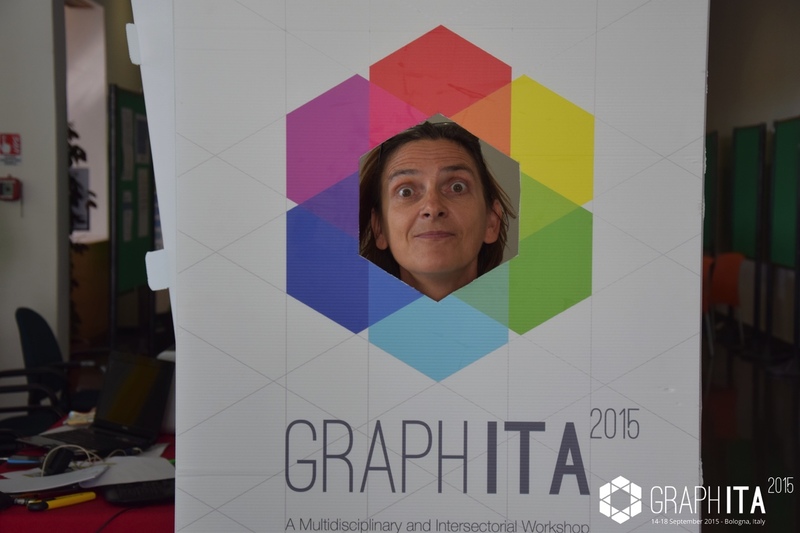 See the map below for further details. 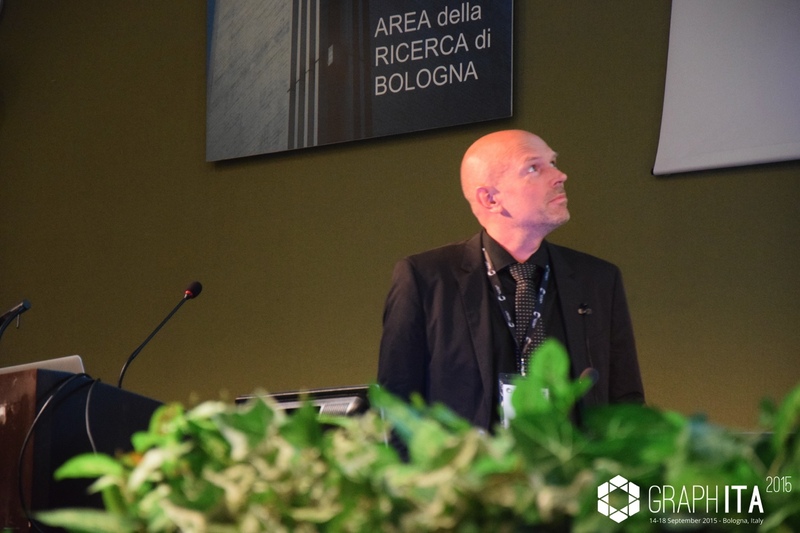 Hotel near Bologna Central Station and Bologna Fiera This Urban Design Hotel is located next to Bologna Fiera, close to Via Stalingrado, Viale Aldo Moro and Piazza della Costituzione. 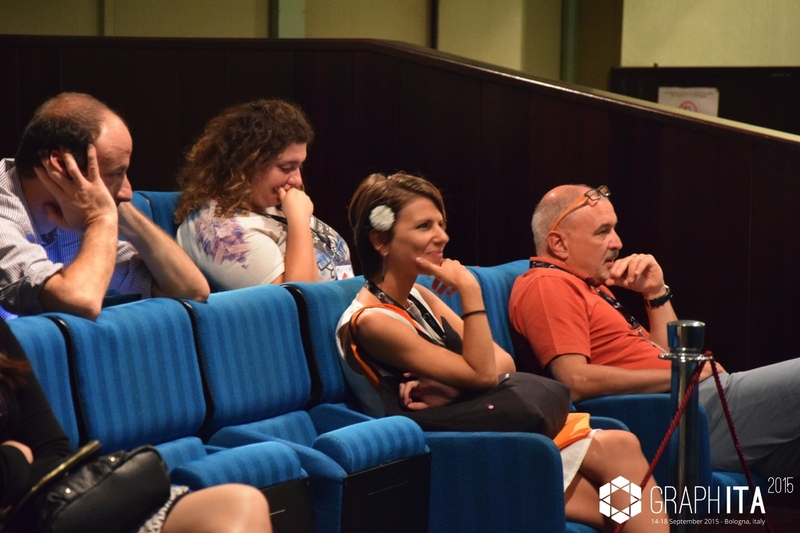 AC Hotel Bologna is just 10 minutes walking distance from central station High Speed Trains entrance, 15 minute by car from the Airport and allows easy access to public transportation. 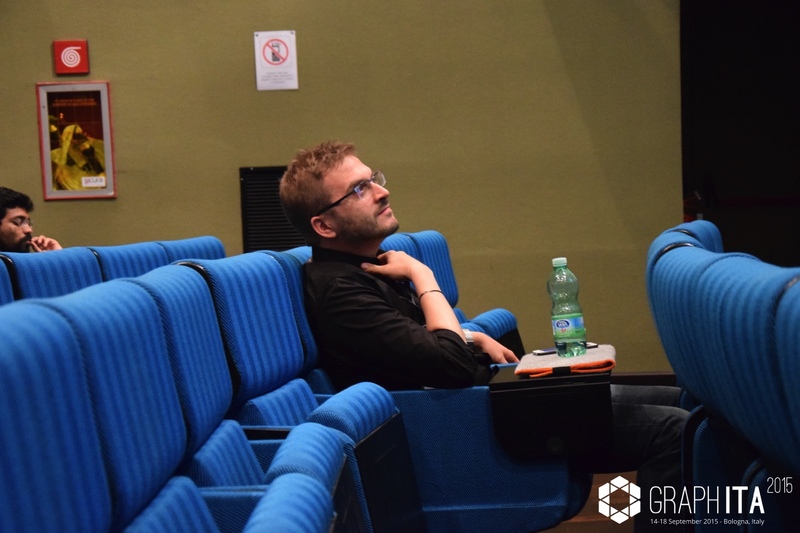 AC Hotel Bologna enjoys a perfect location for business and tourism, next to Bologna Exhibition Centre and the historic center of the city with its Art and Beauty: Piazza Maggiore Square, Neptune Fountain, the Two Towers and Pinacoteca Nazionale. 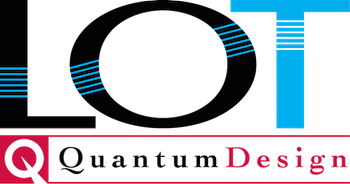 Wireless Internet available in common areas, in-room minibars, room service, reading lamps, 24H fitness center, and AC Bar. 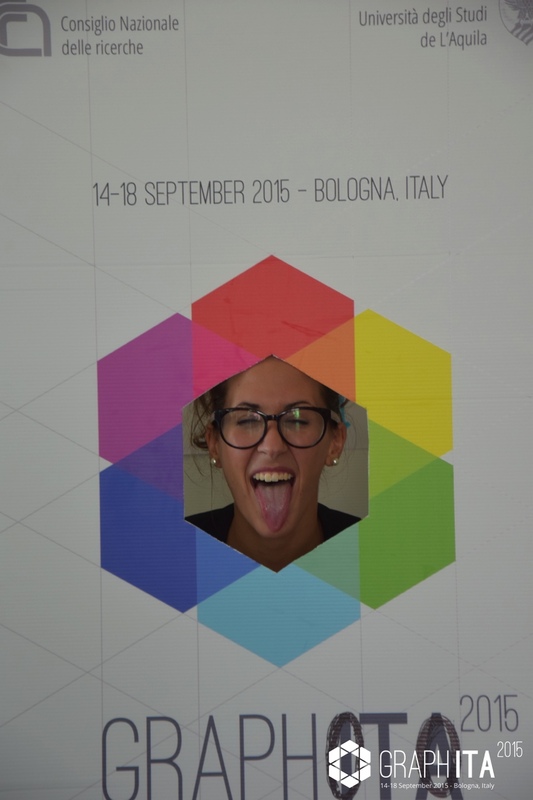 Relax in the AC Hotel Bologna's Turkish bath before a meal of Bolognese culinary traditions in our restaurant. 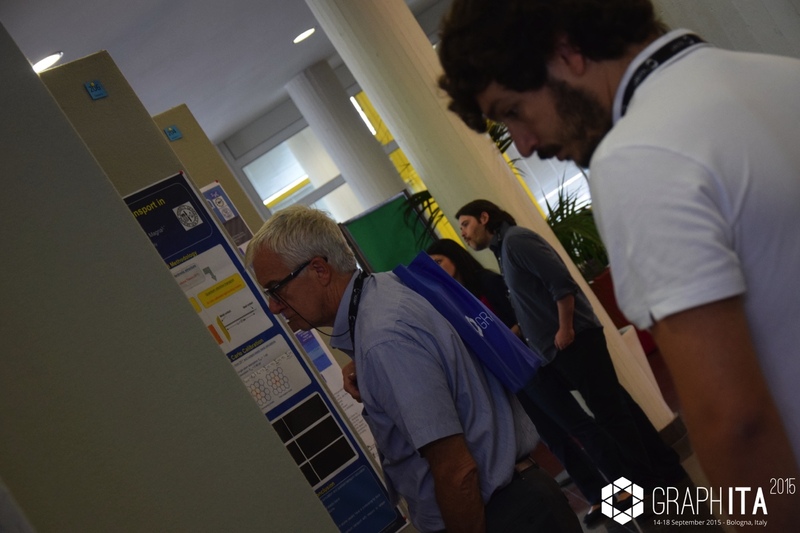 Buy everything you may need during your journey at our easily accessible My Market area near reception. 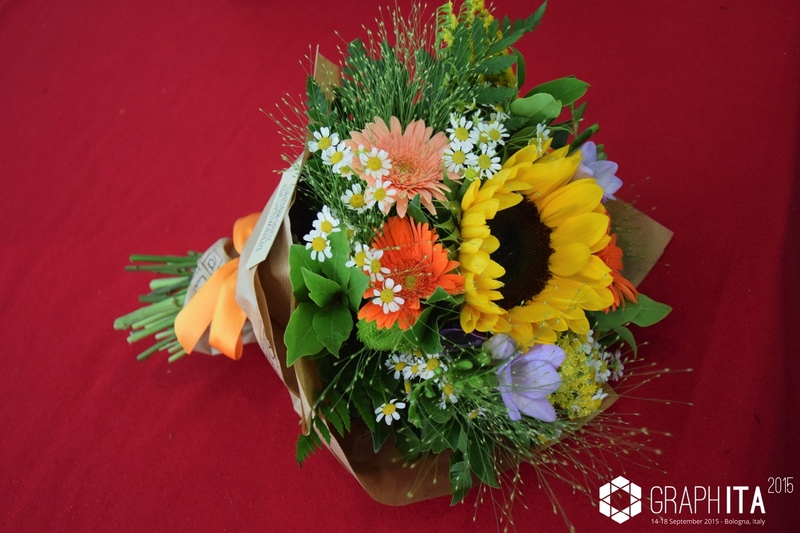 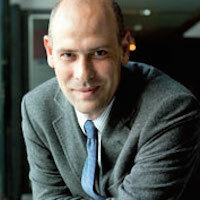 The hotel also features three exquisitely designed event rooms for meetings or celebrations. 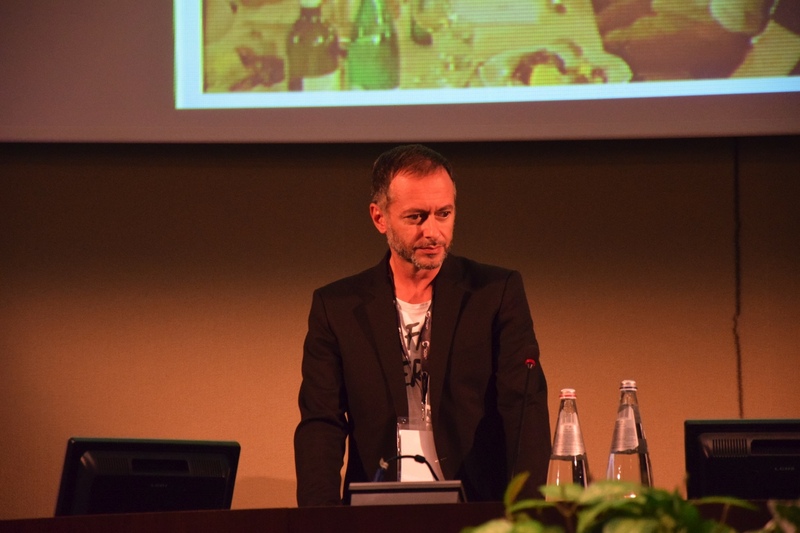 A blend of total relaxation and vibrant energy, the hotel was born from the desire to meet the needs of those travelling for work or for pleasure, offering a new standard of urban hospitality. 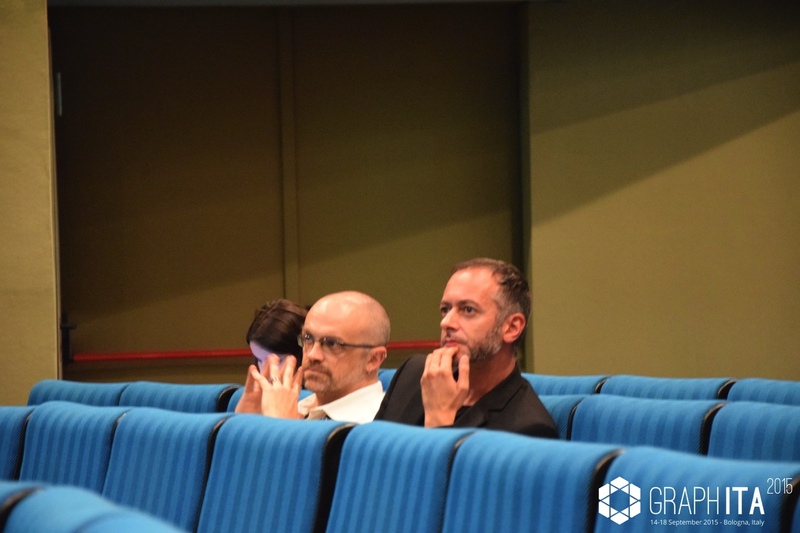 The bright and polyhedral lobby is characterised by a design which is never aggressive but welcoming and stimulating, a window open onto the outside world, a place for meeting and relaxation, events and presentations in the historic city centre. 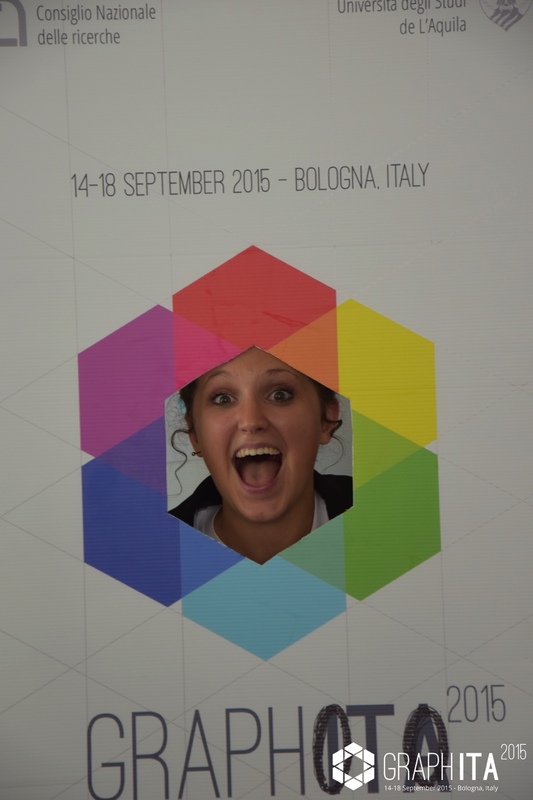 The hotel facilities include a Turkish bath, colour therapy treatments, emotional shower and a fitness suite. 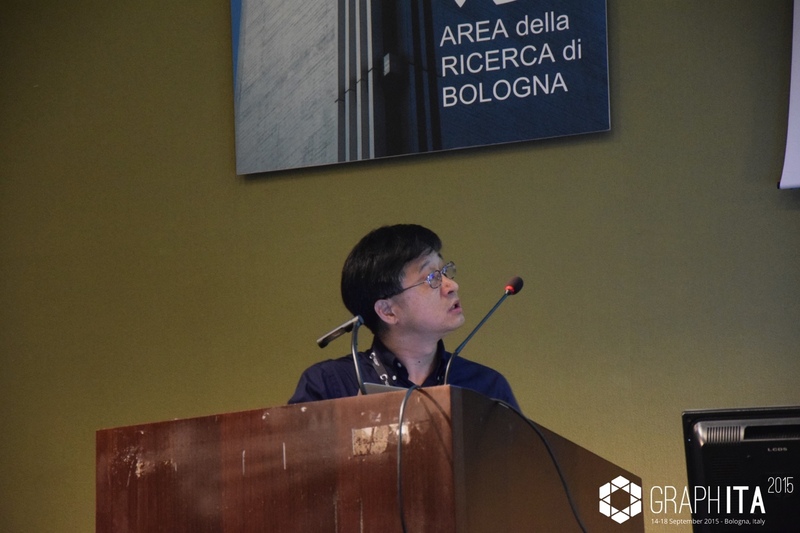 The BEST WESTERN City Hotel, is a 4 star hotel in Bologna with a history of over 20 years of hospitality and completely refurbished in 2005, has always treasured the best traditions of the city. 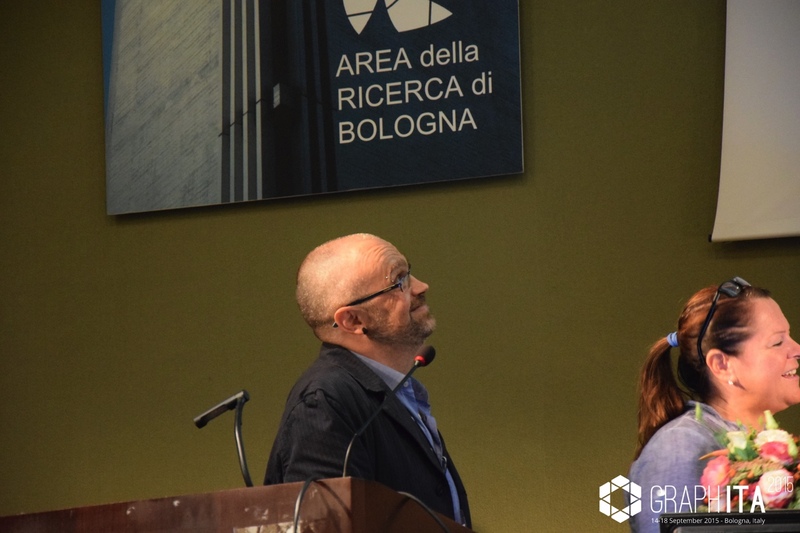 Indeed, among the various stereotypes associated with the name of Bologna, there are at least a couple that respond to reality: the fact that this is an hospitable city and that it likes to live comfortably. 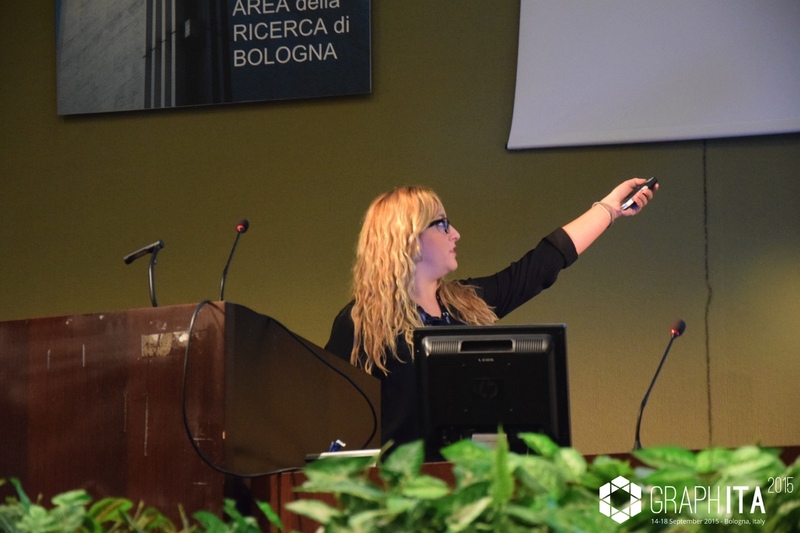 The Mercure Bologna Centro boasts a strategic location opposite the train station, just 1.9 miles (3 km) from the exhibition center and at the gateway to the historic center, making it ideal for both business and leisure travelers. 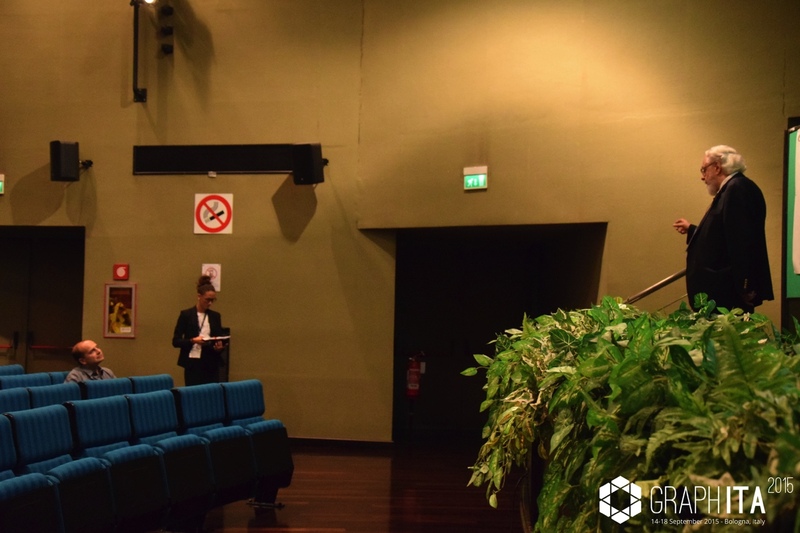 The hotel has 244 rooms with all the modern comforts, 5 naturally-lit modular meeting rooms and a private park spanning 53,820 sq. 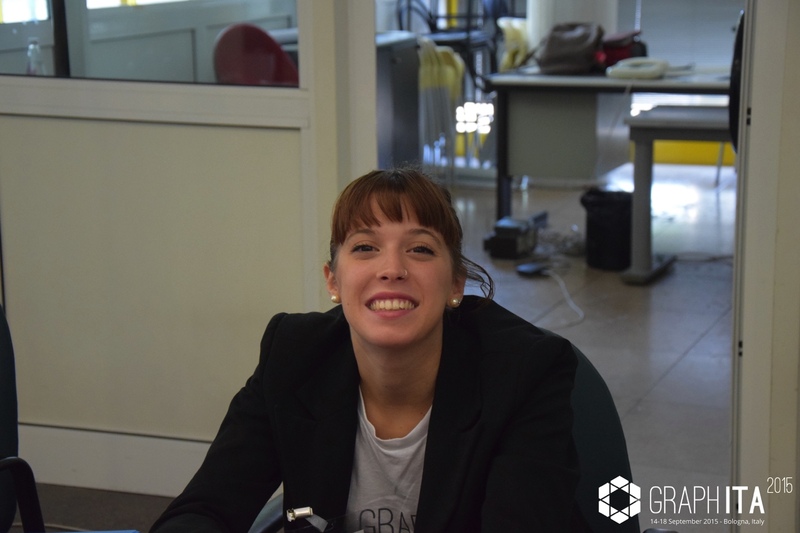 ft. (5000 m2). 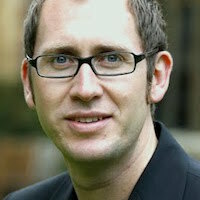 Free WIFI throughout the hotel. 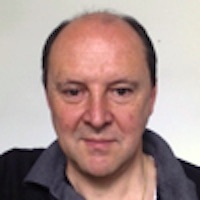 Private car park with direct access to the hotel. 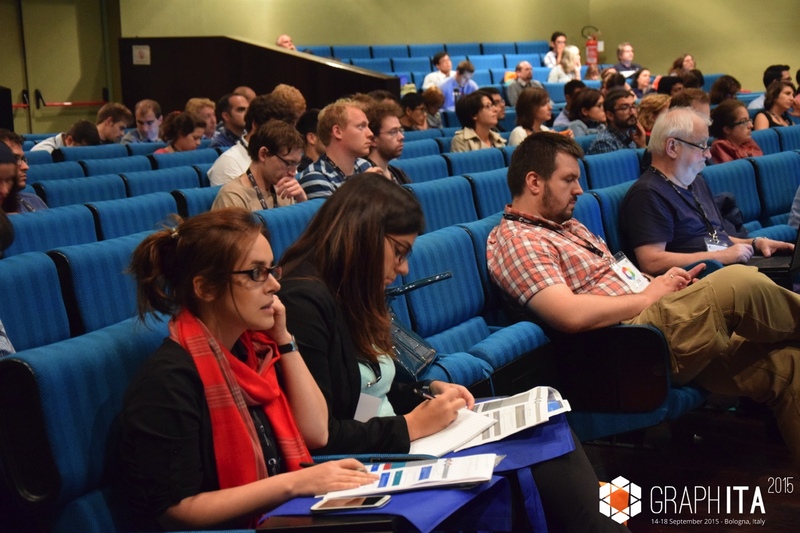 Hotel booking can be done directly during the online registration procedure until July, 15th 2015. 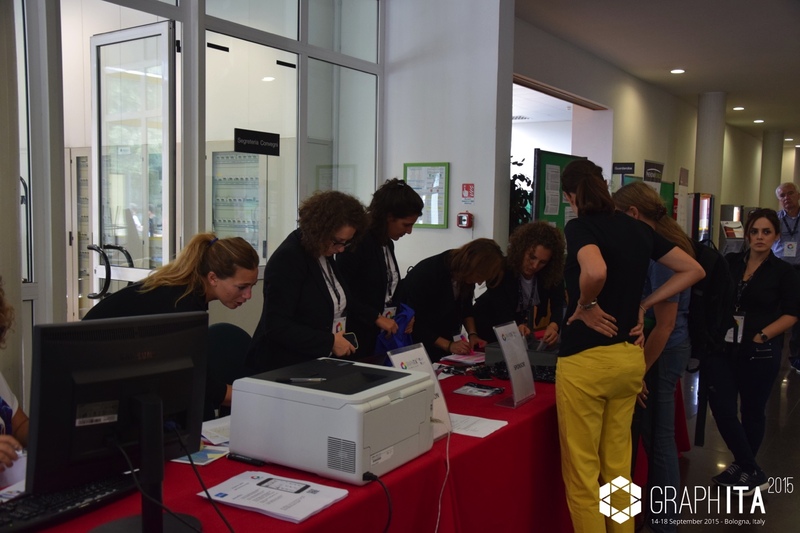 After that date we will not guarantee the discounted rates listed above, but we will be still be able to assist and to support you choosing your accommodation in Bologna.